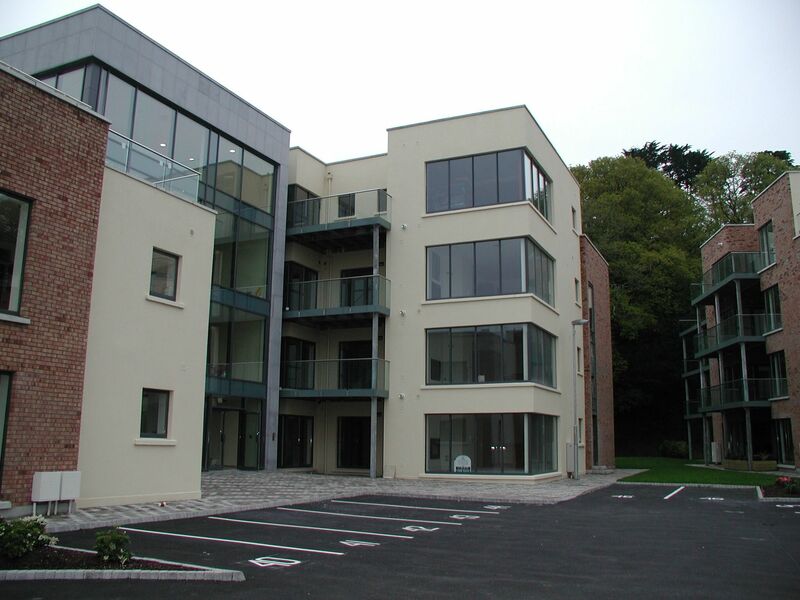 Get in Contact With Our Offices Today. 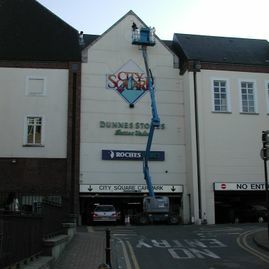 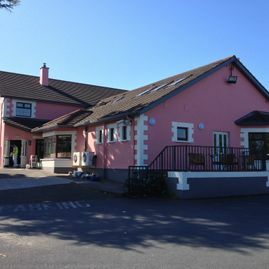 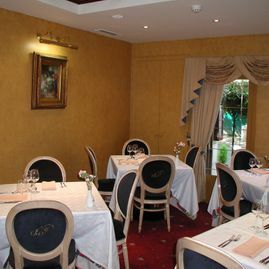 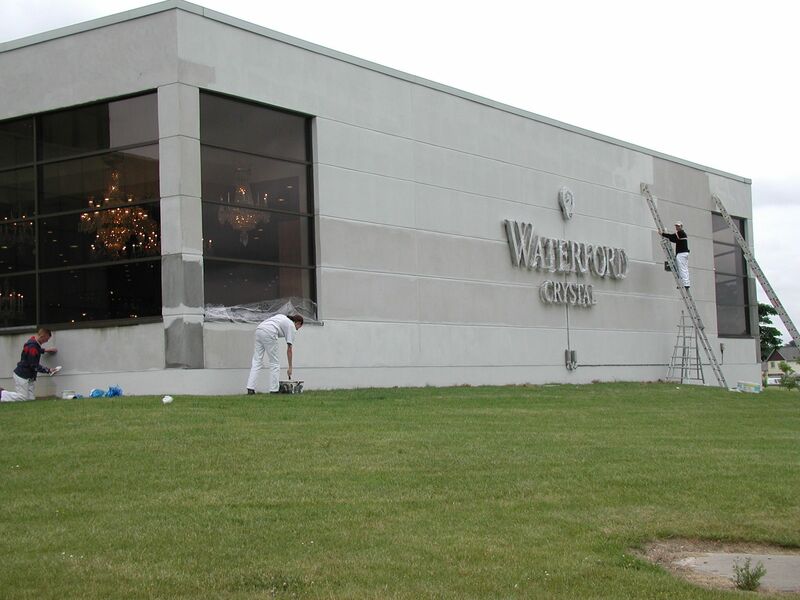 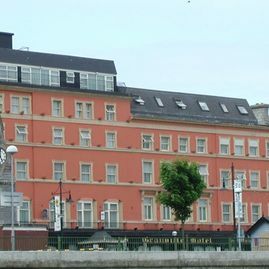 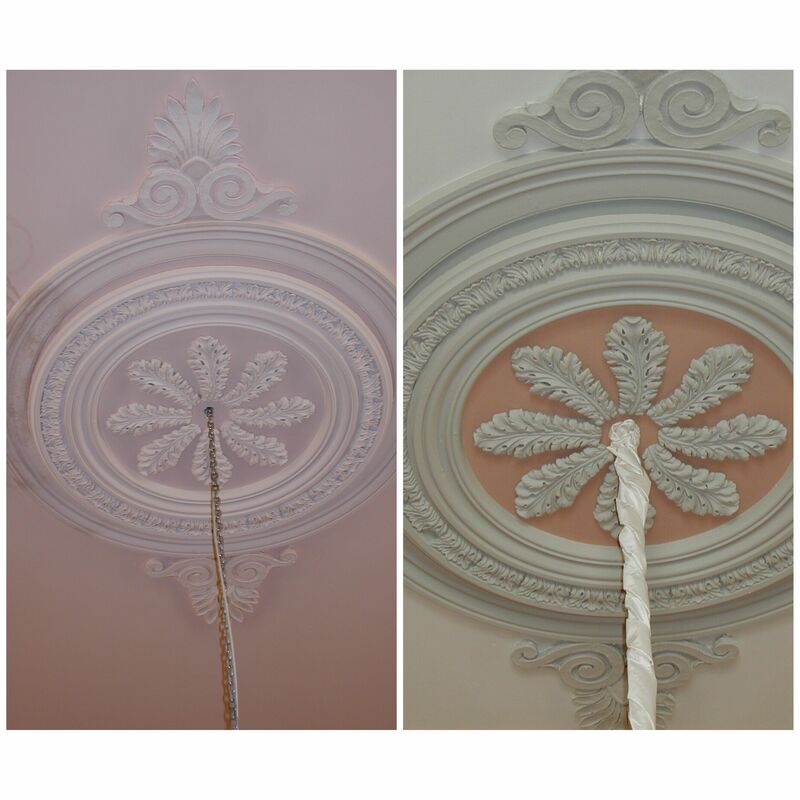 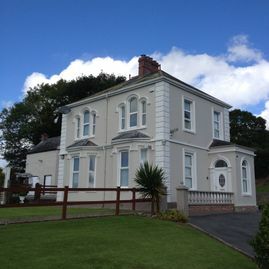 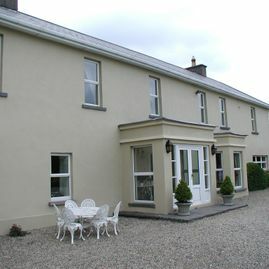 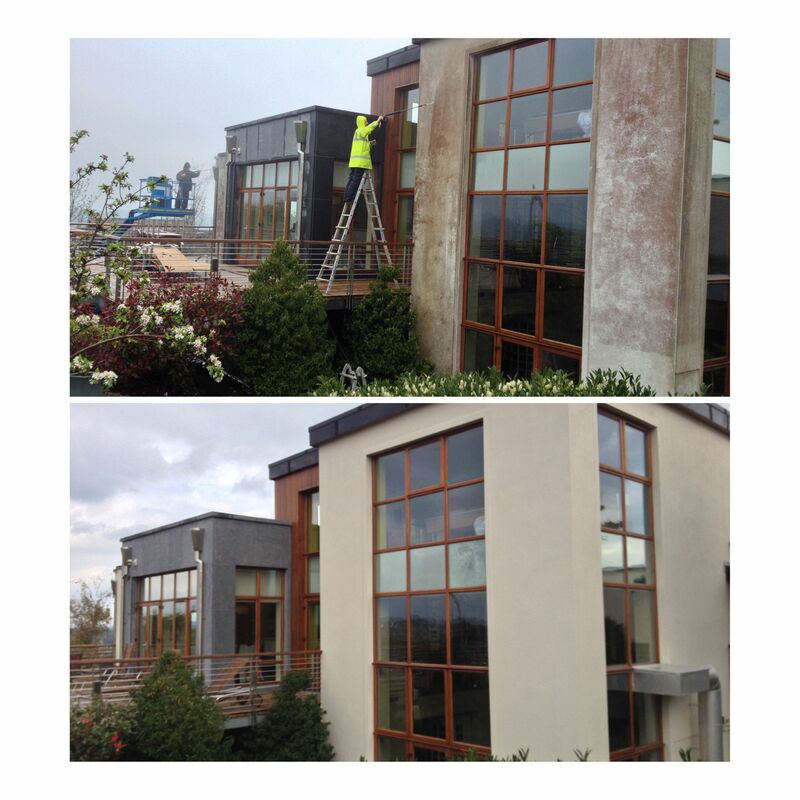 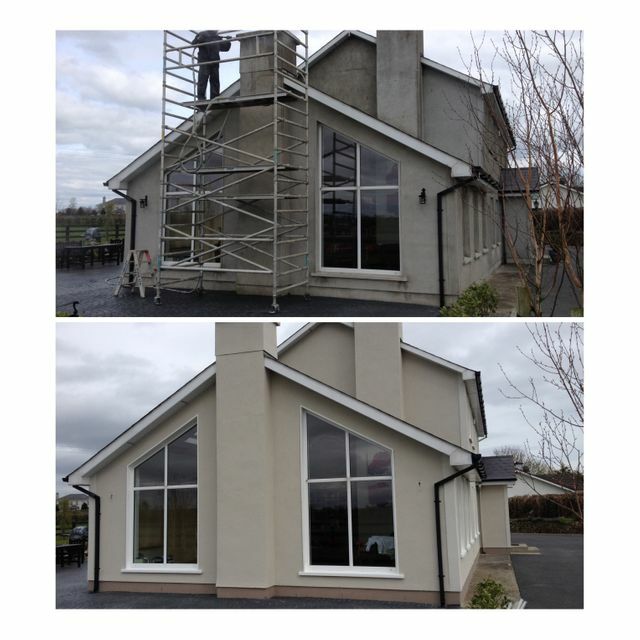 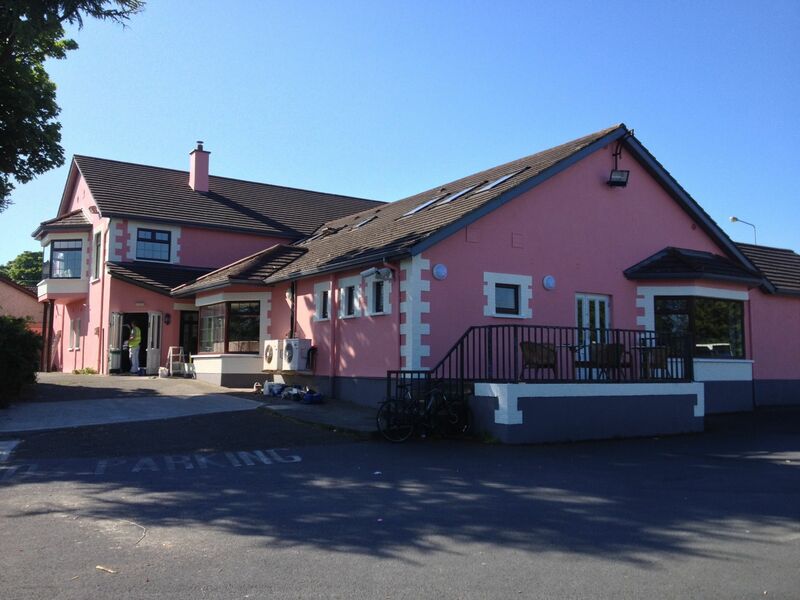 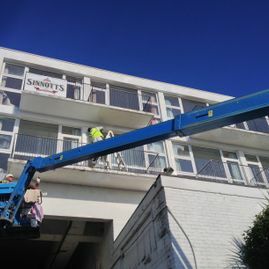 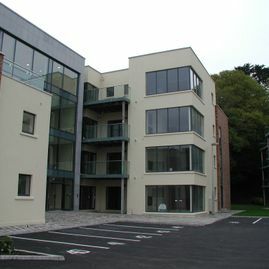 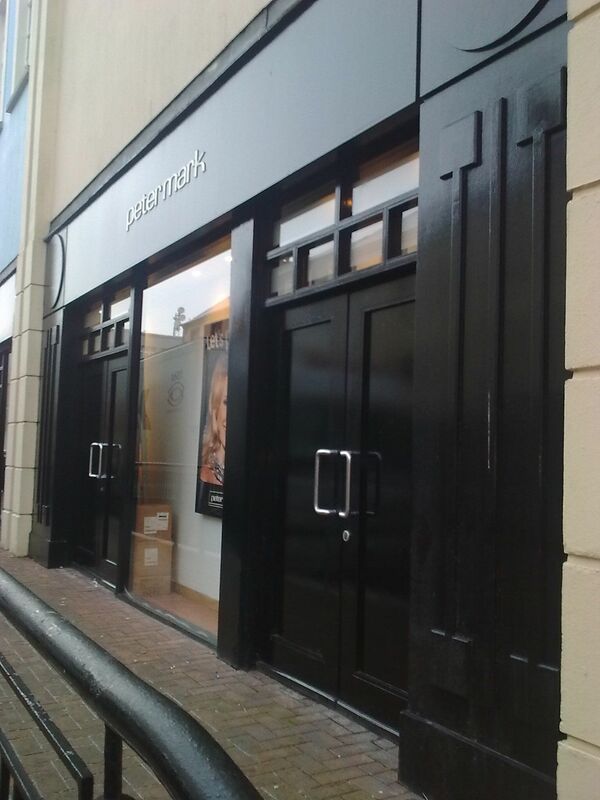 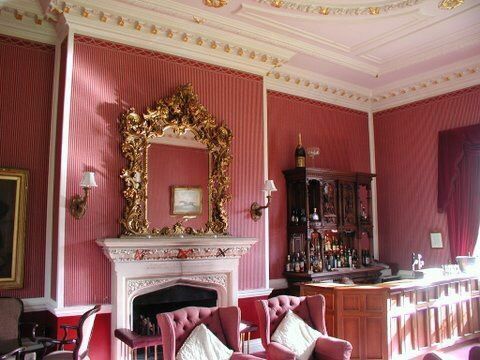 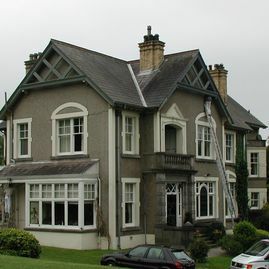 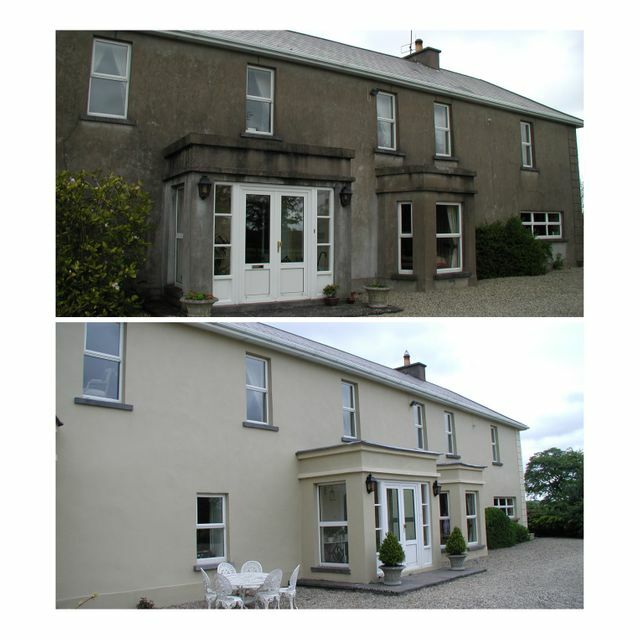 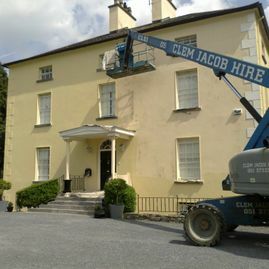 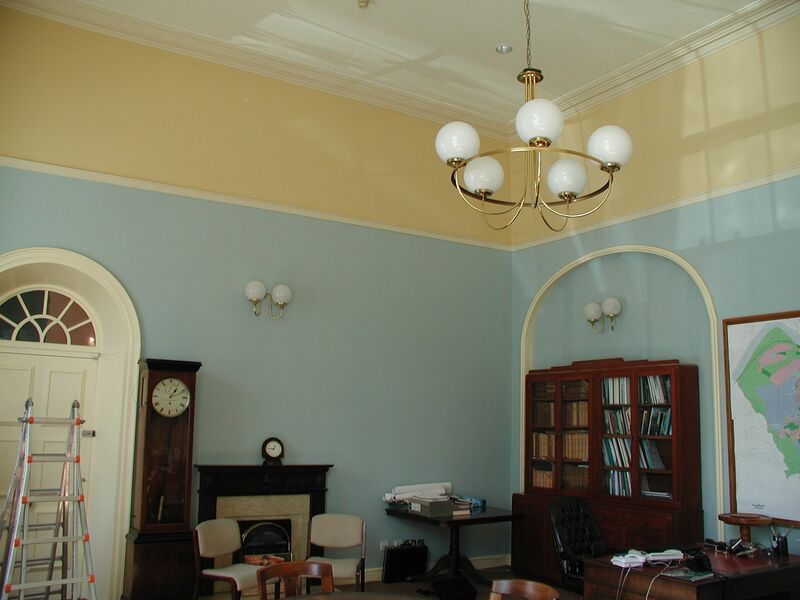 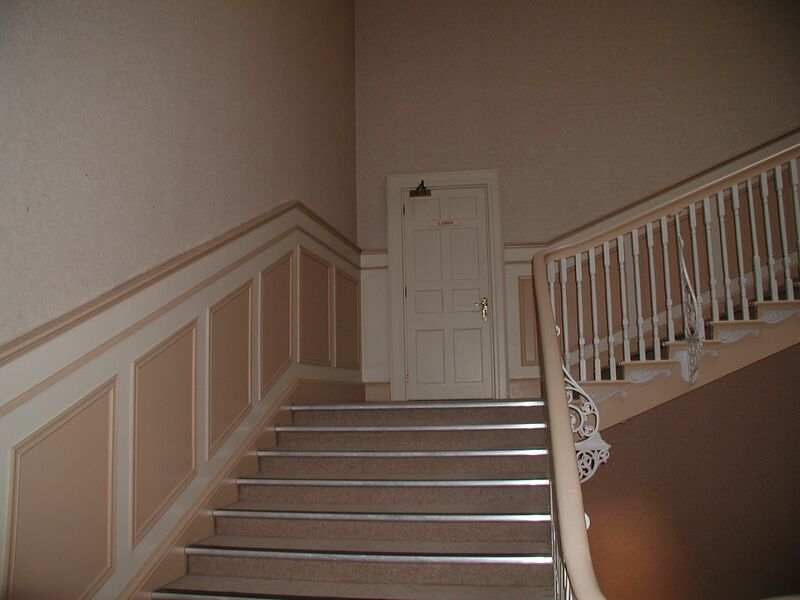 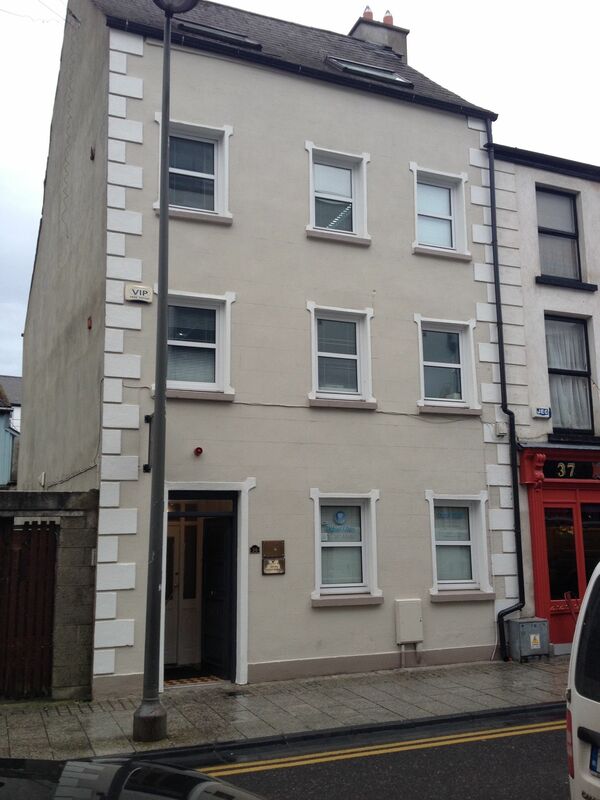 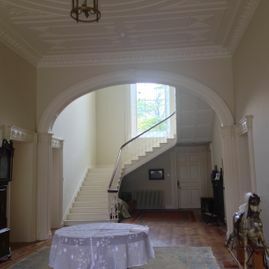 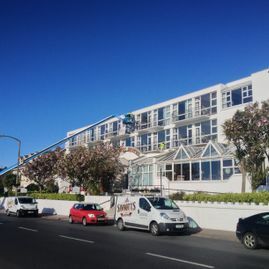 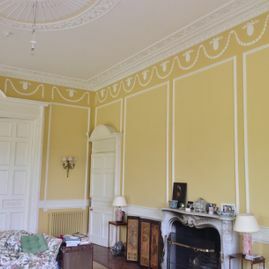 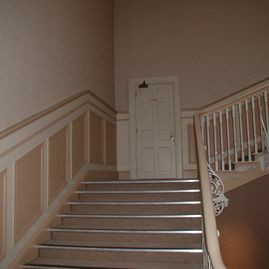 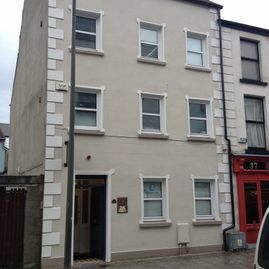 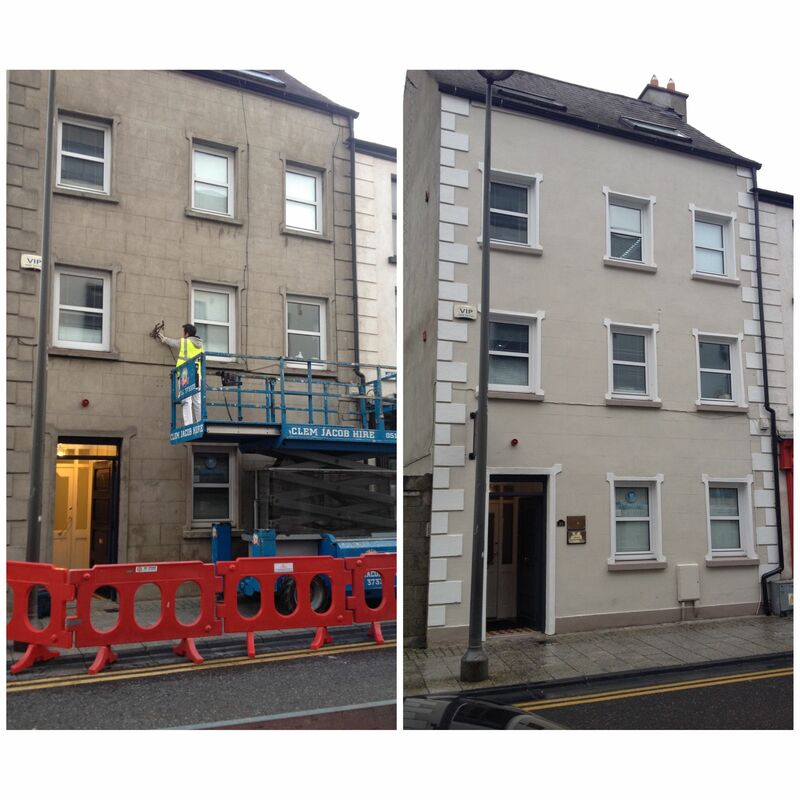 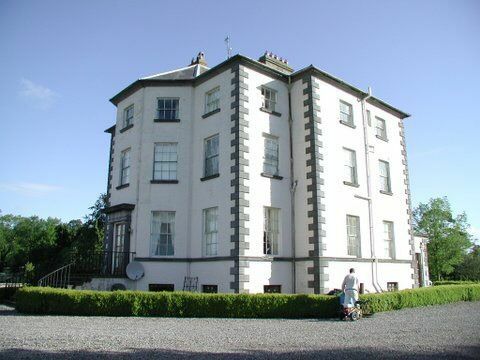 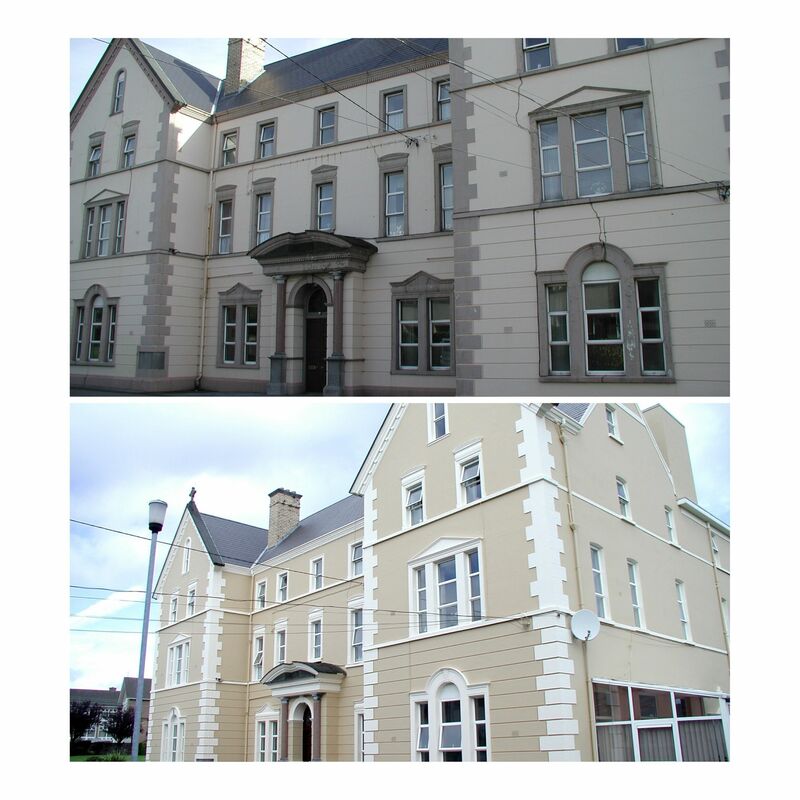 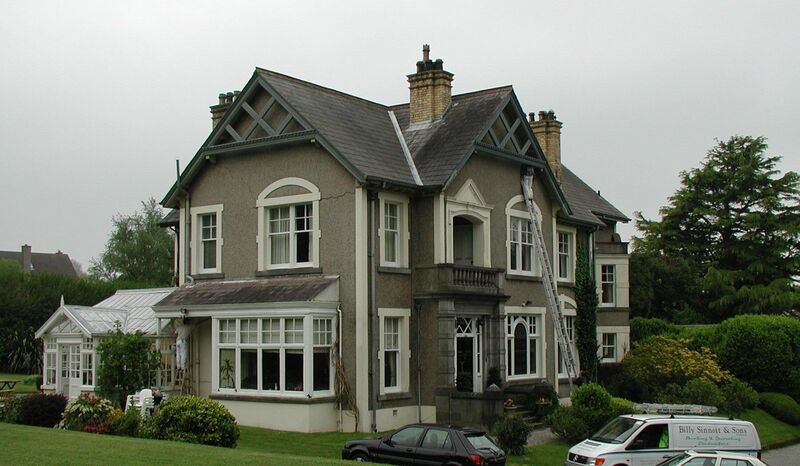 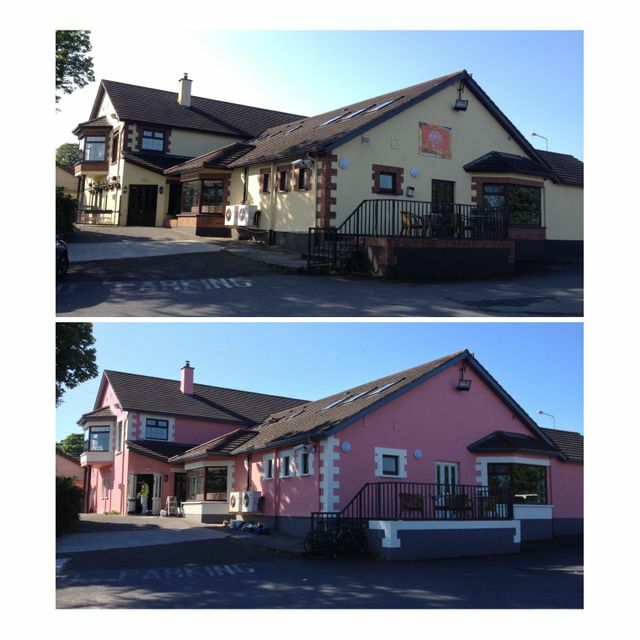 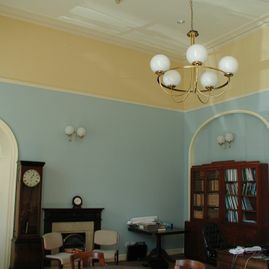 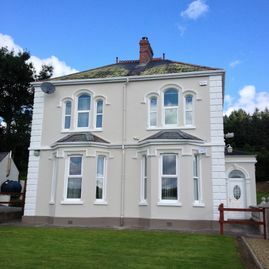 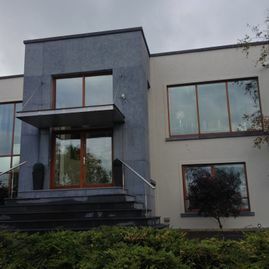 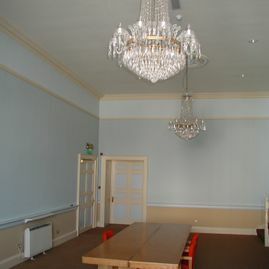 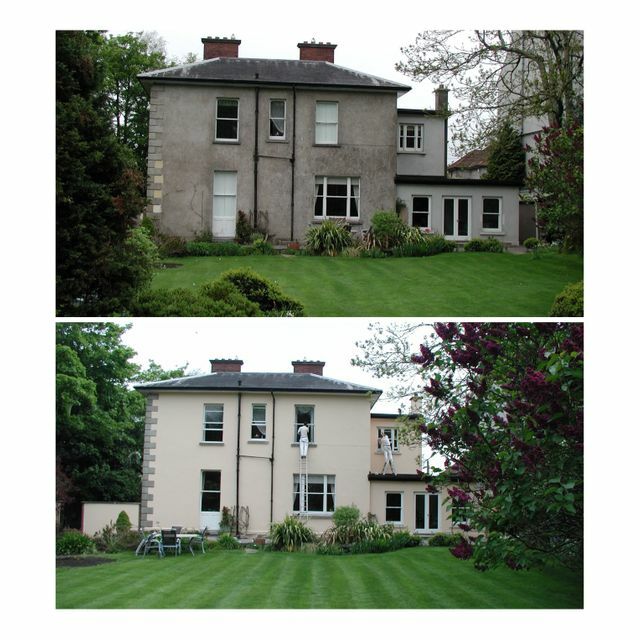 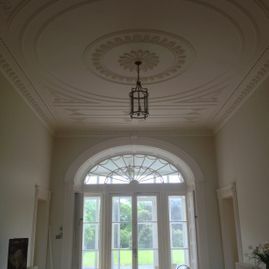 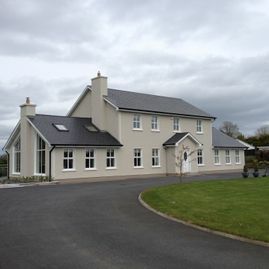 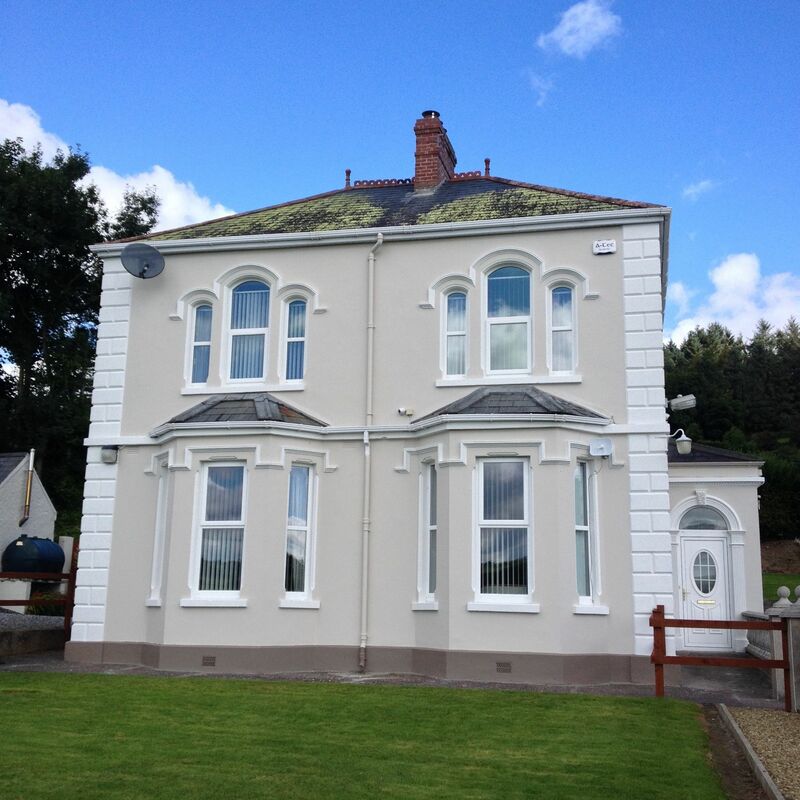 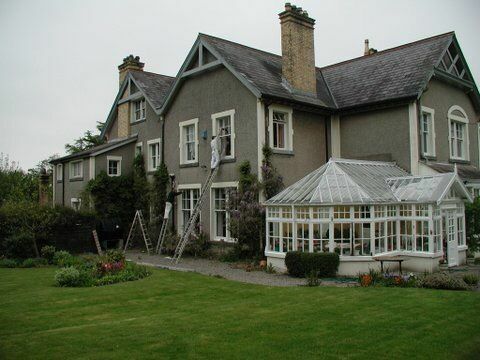 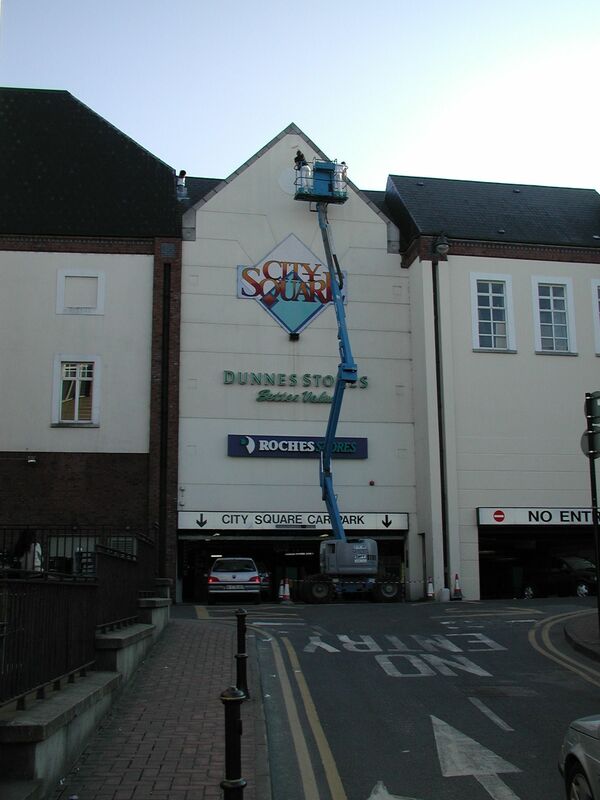 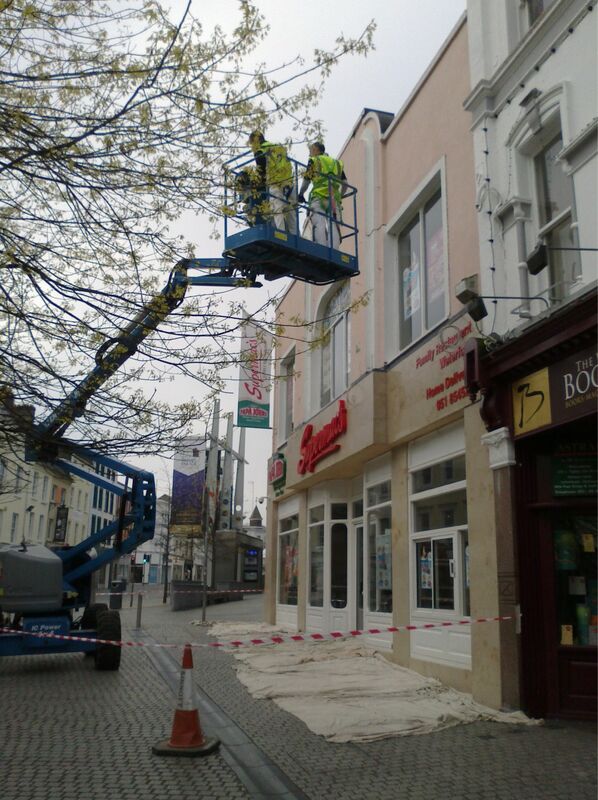 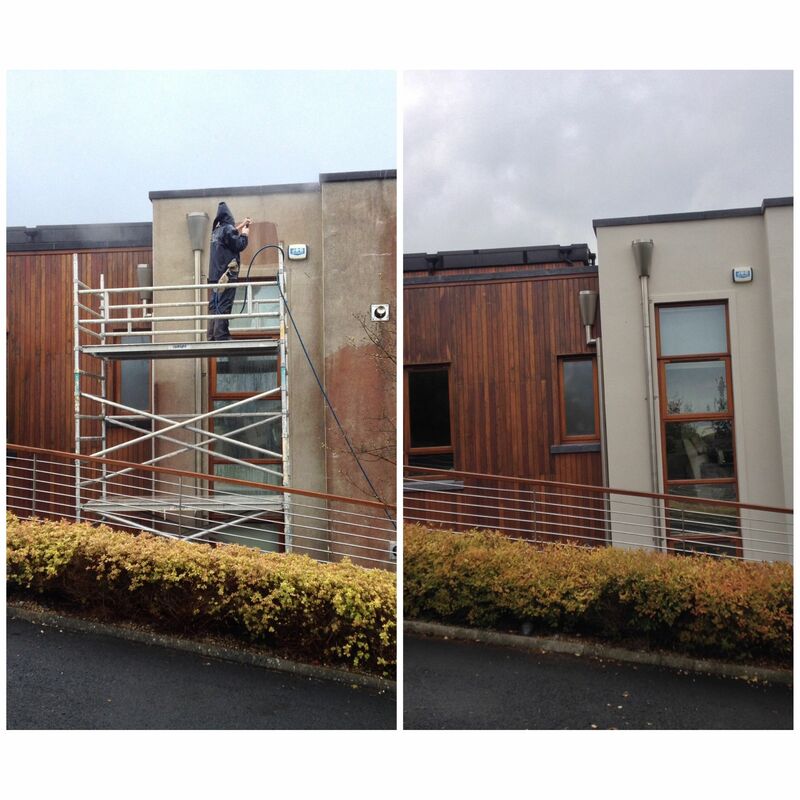 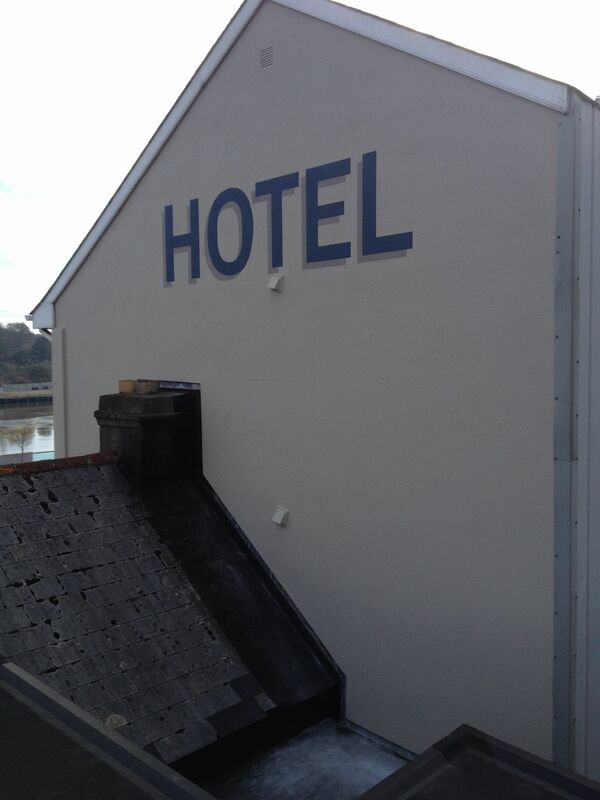 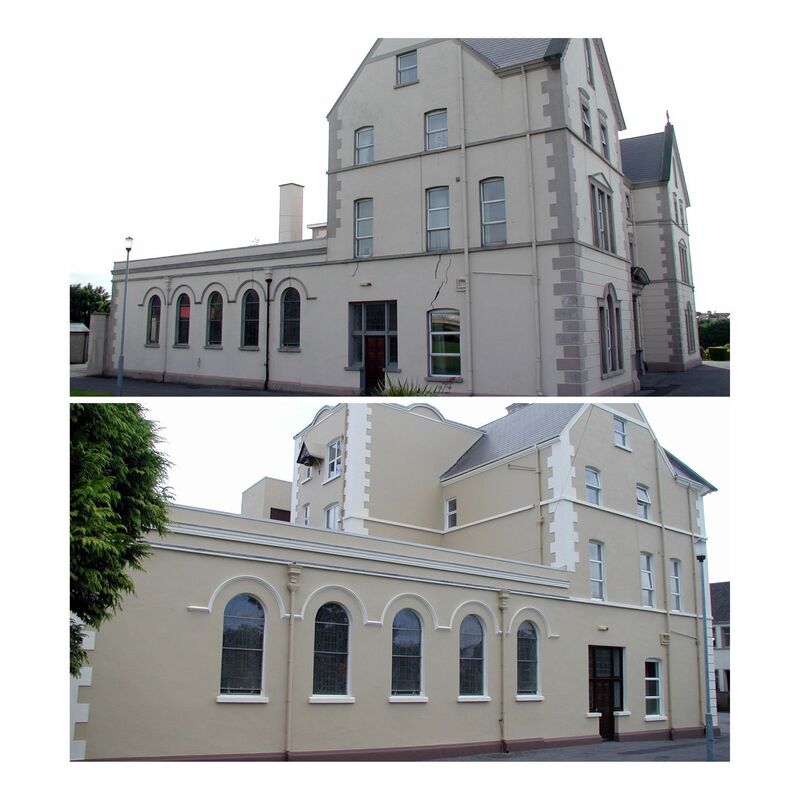 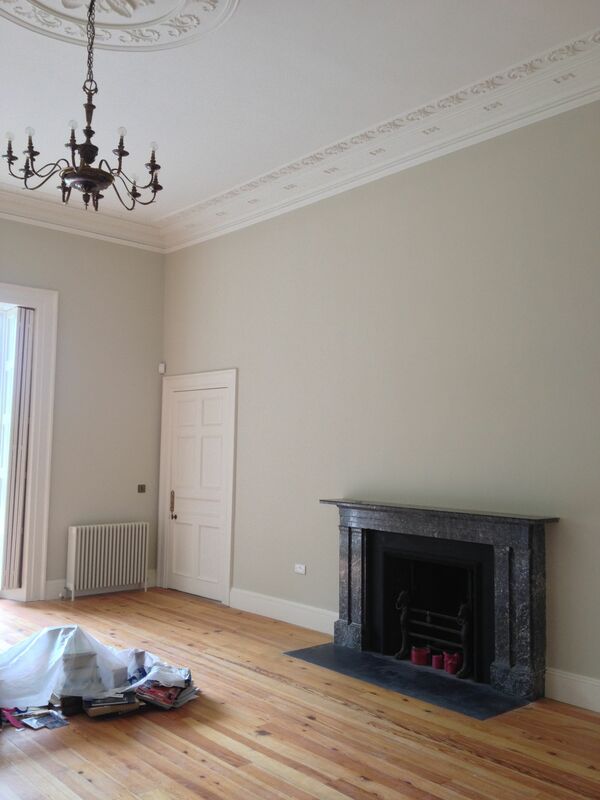 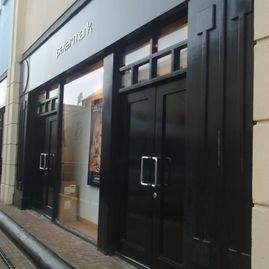 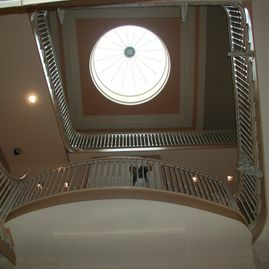 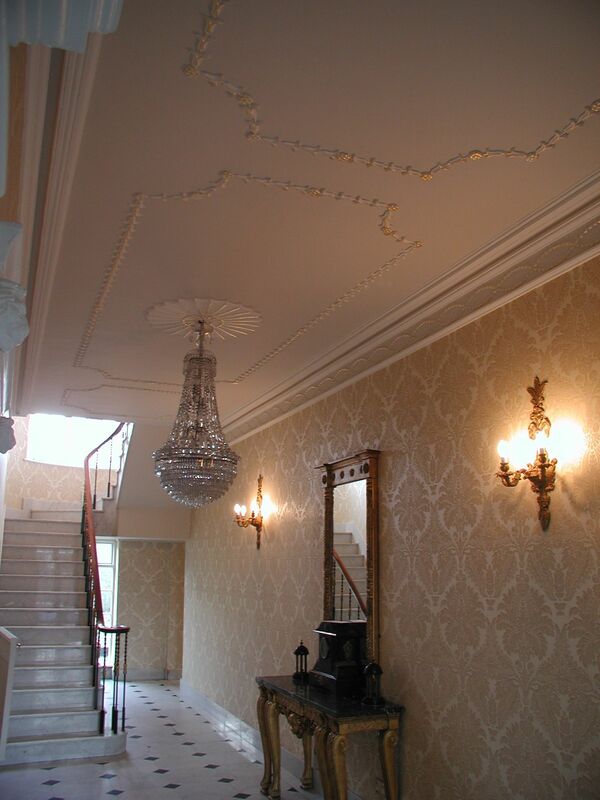 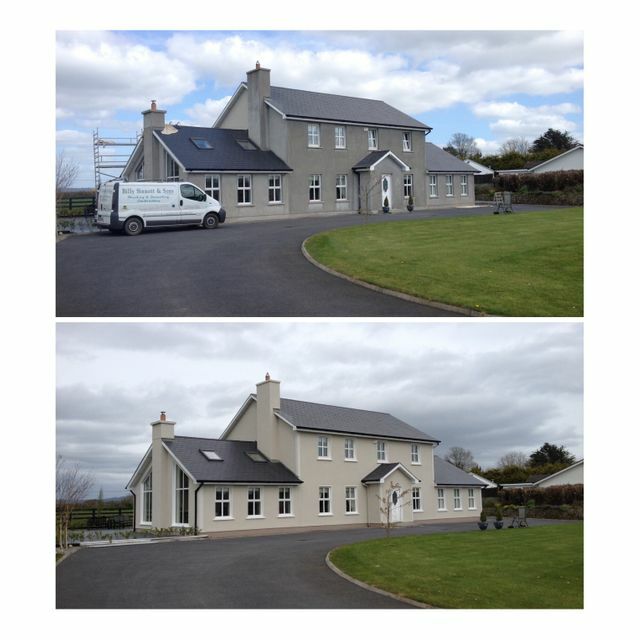 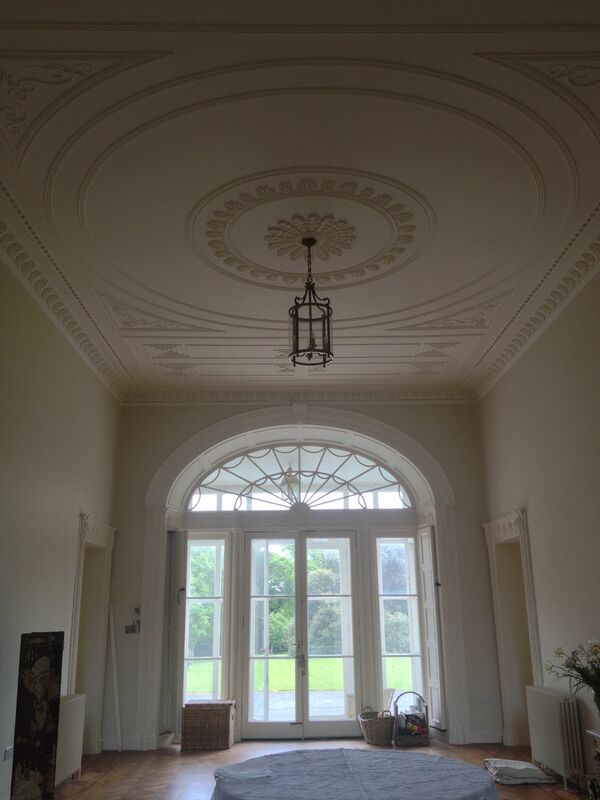 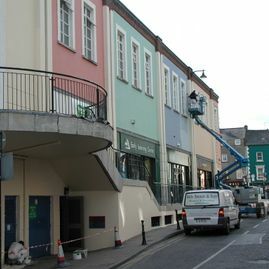 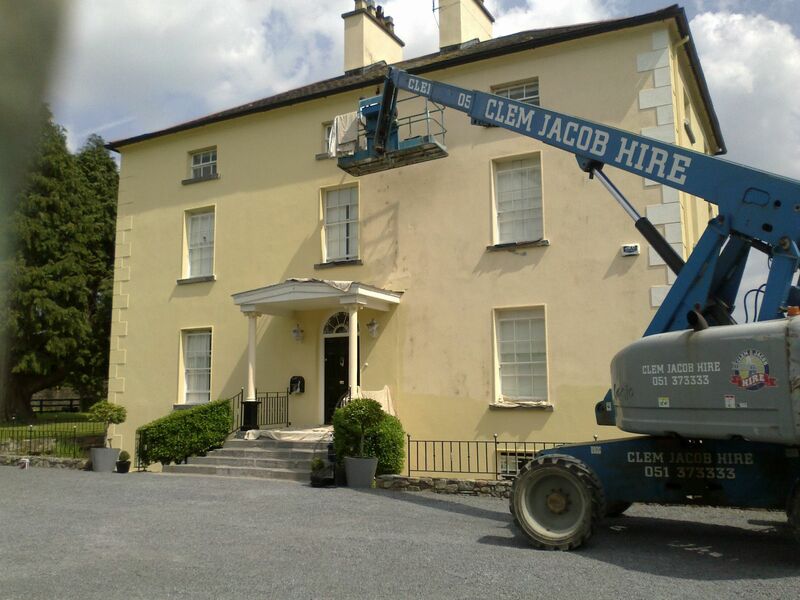 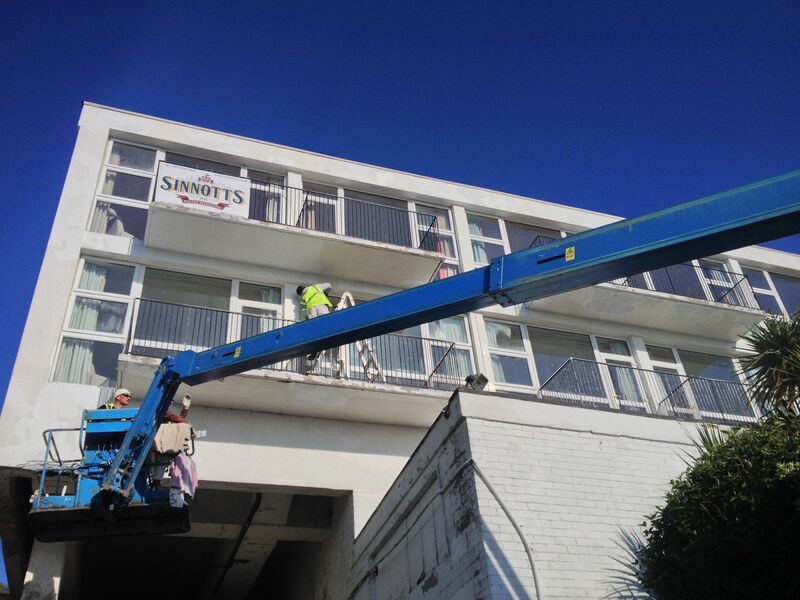 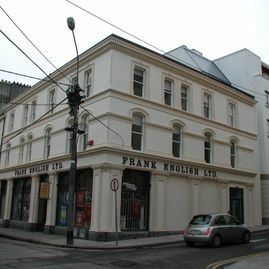 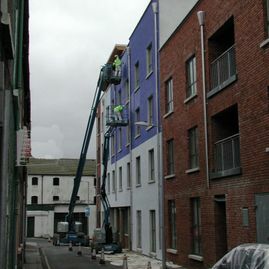 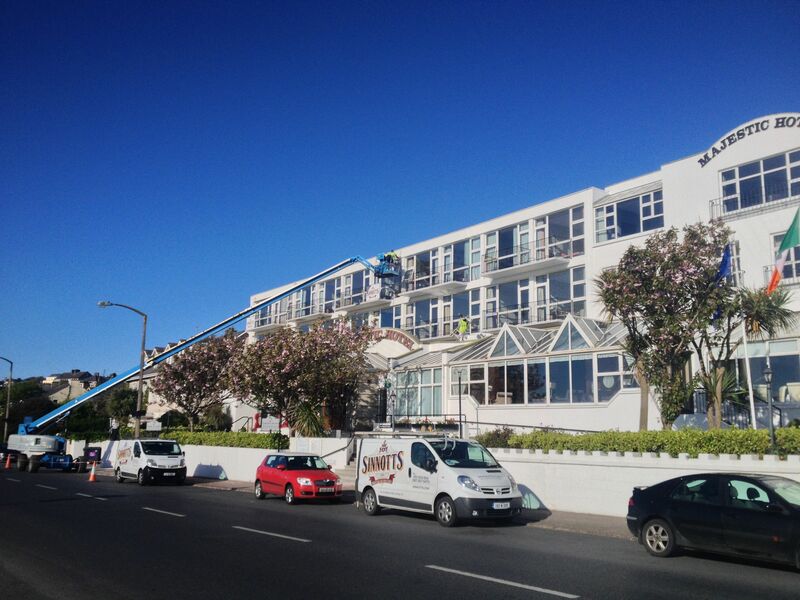 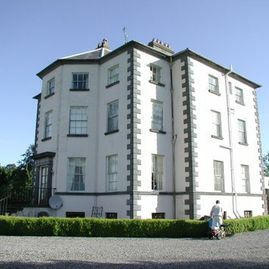 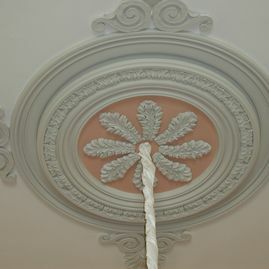 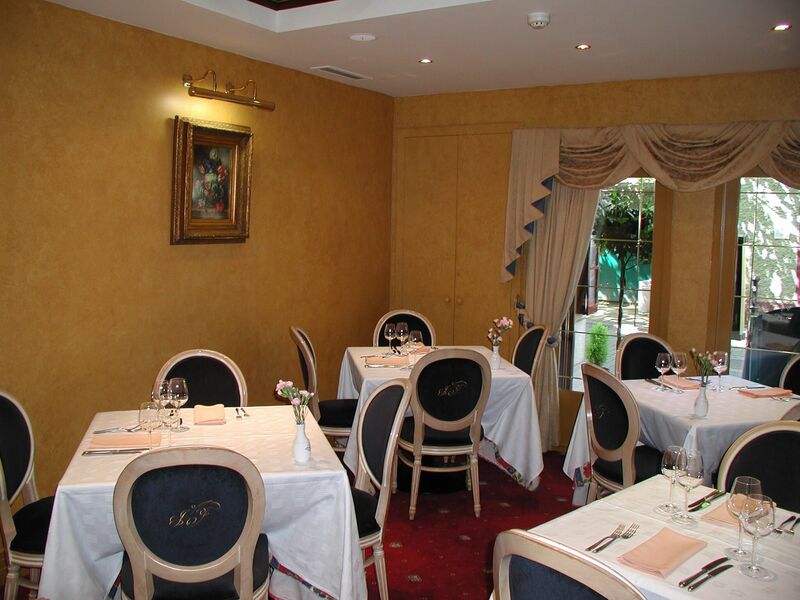 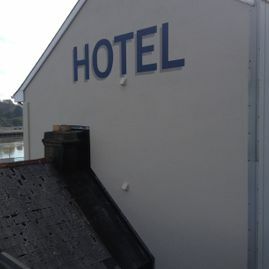 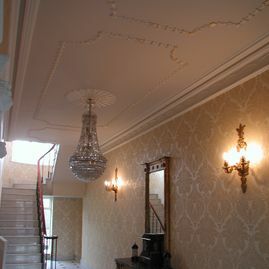 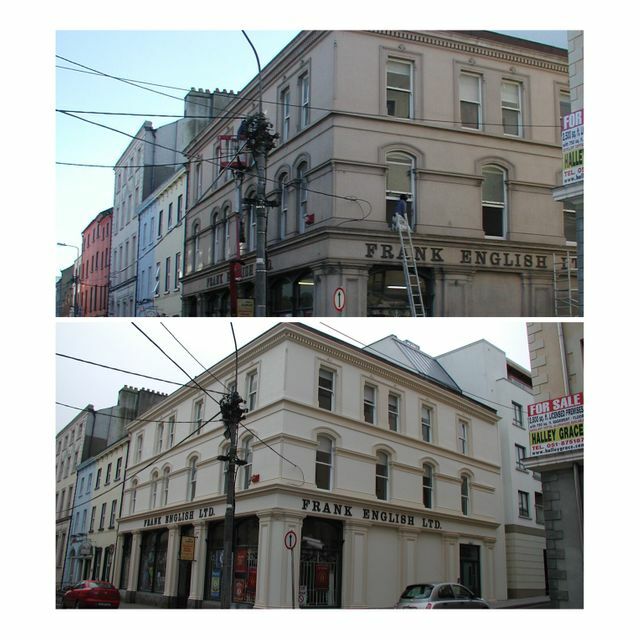 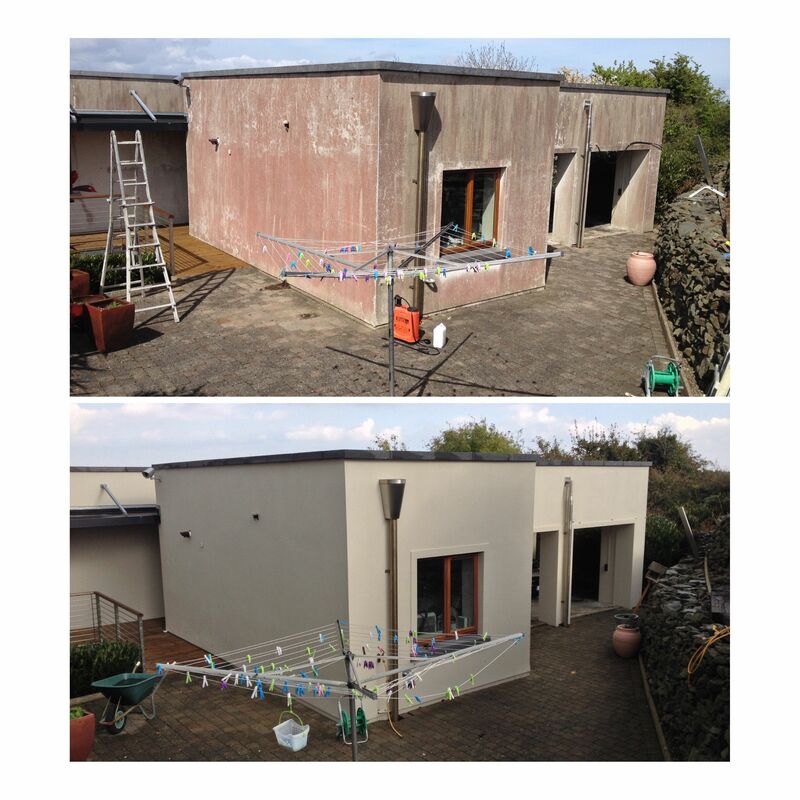 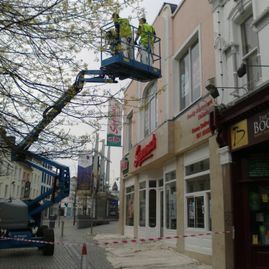 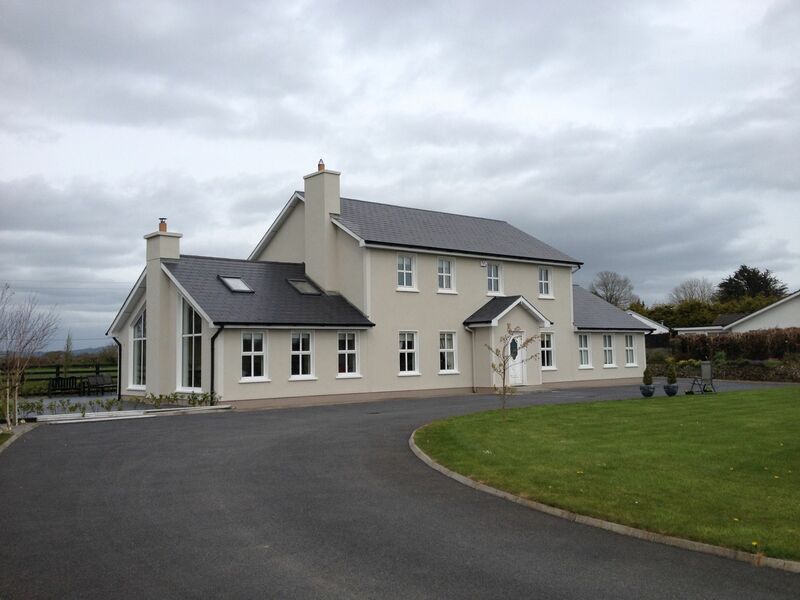 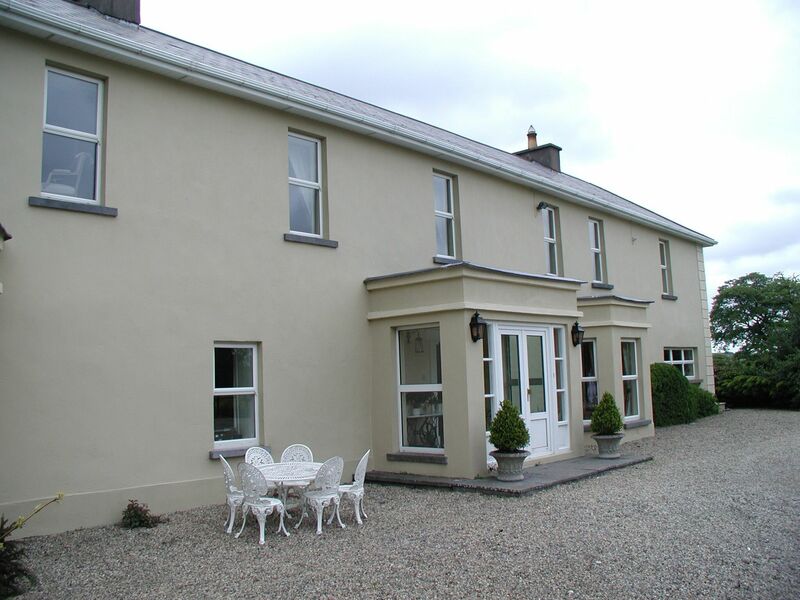 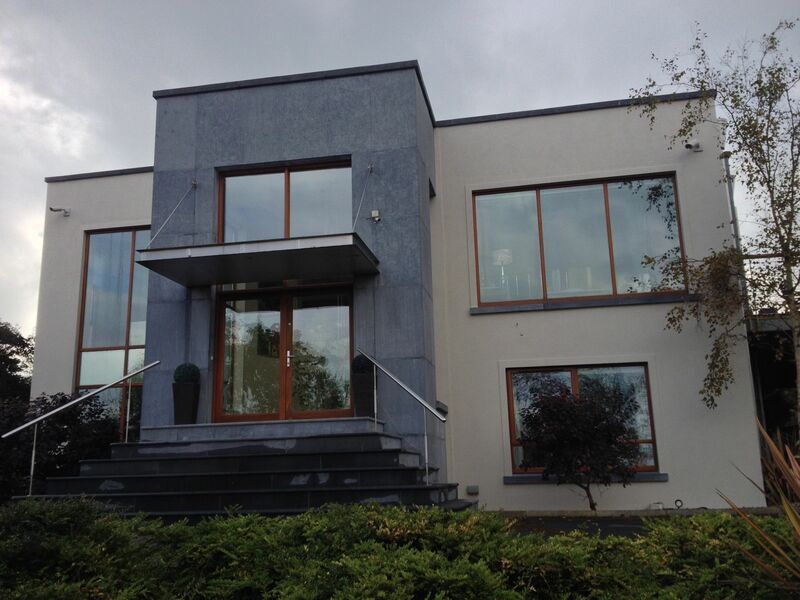 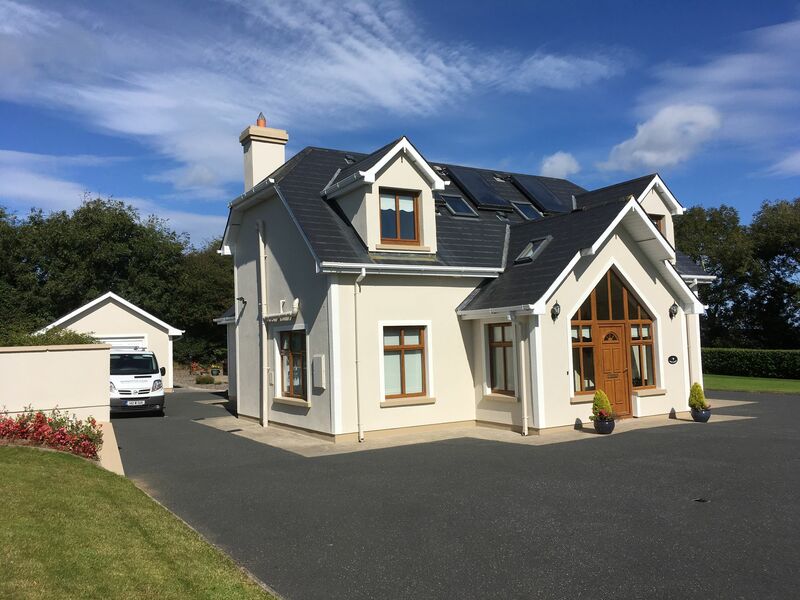 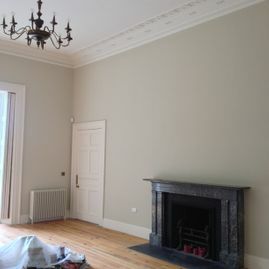 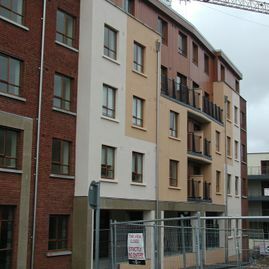 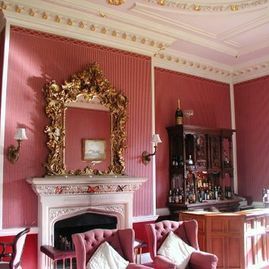 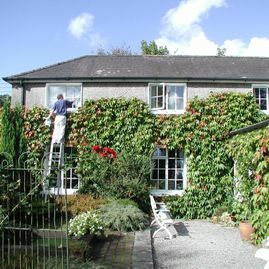 Sinnotts Decorators is a traditional painting and decorating service that has been operating in Waterford since 1940. 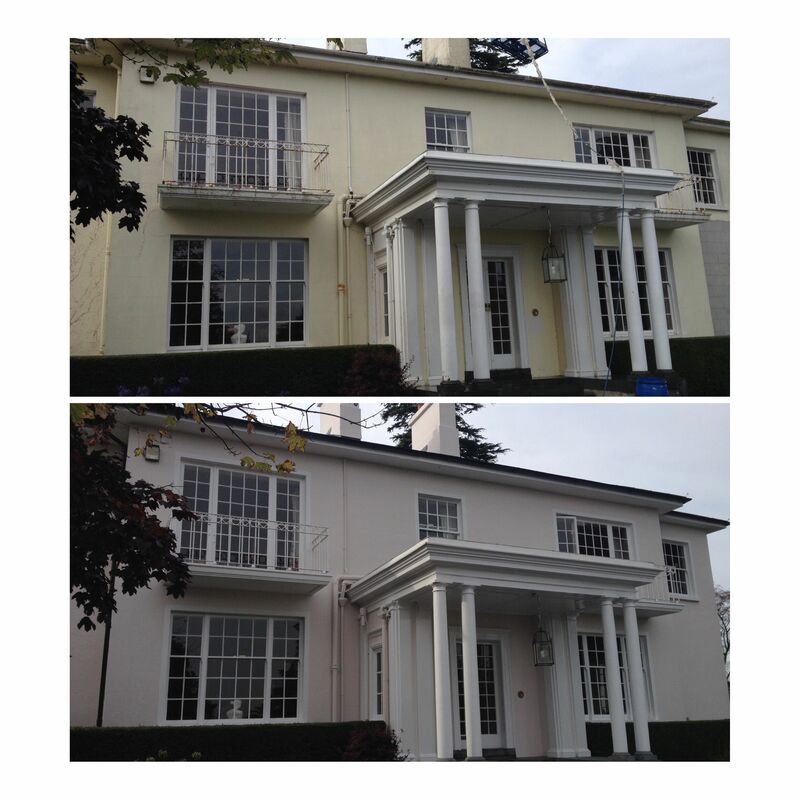 We bring 3 generations of professional experience to every project we undertake. 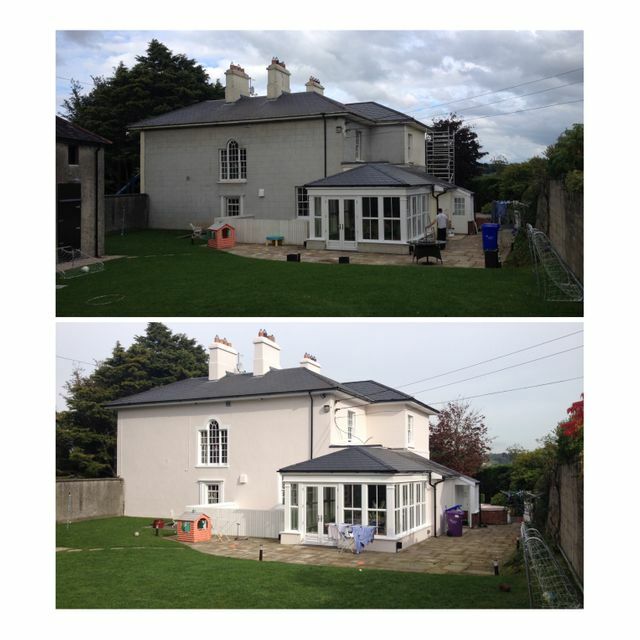 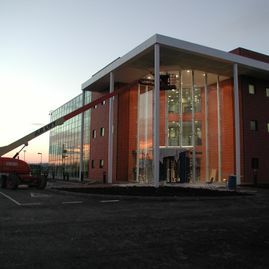 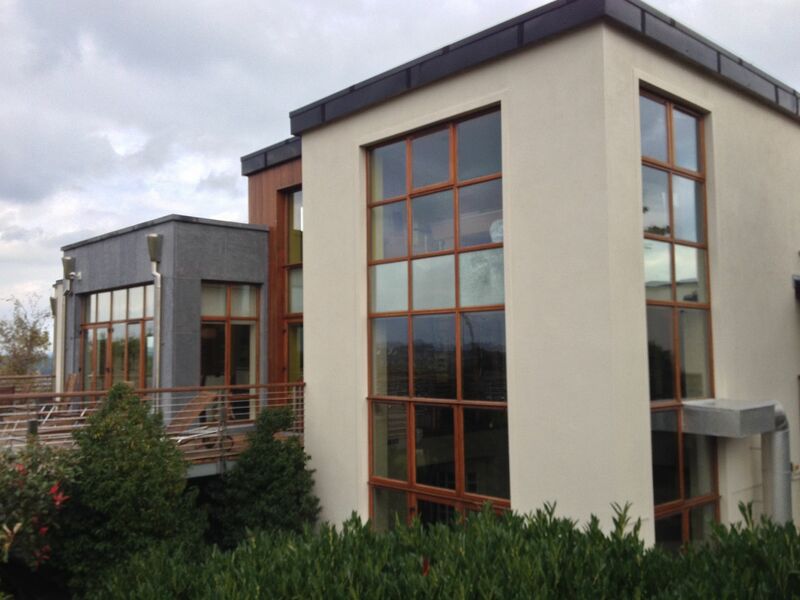 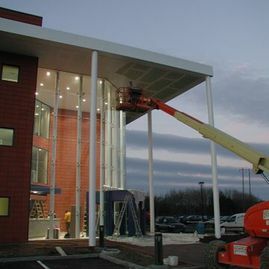 Our projects are overseen by a professional team who complete all work to the very highest of professional standards. 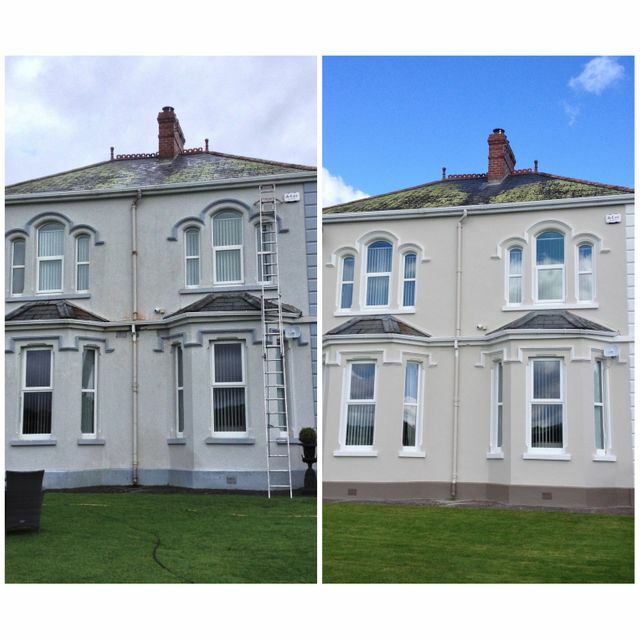 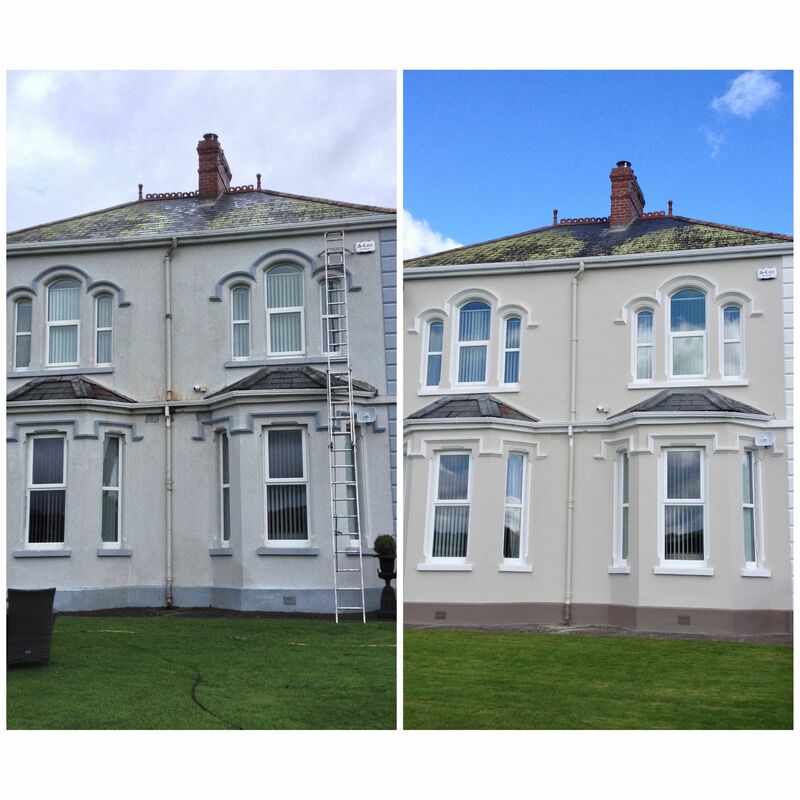 Our non-invasive, efficient painting and decorating procedures cause the minimum amount of disruption to the day-to-day running of a property as possible. 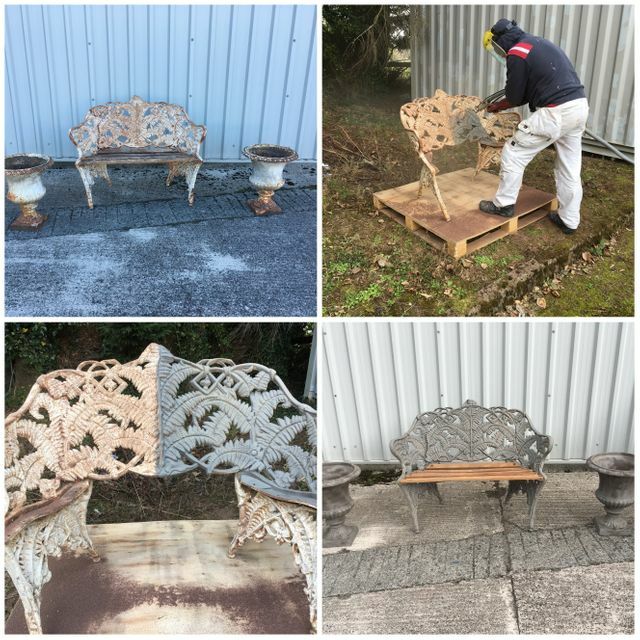 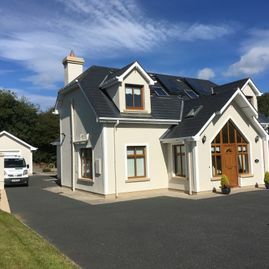 Our outstanding reputation with both domestic and commercial clients is based on our quality workmanship, professionalism and our absolute attention to detail. 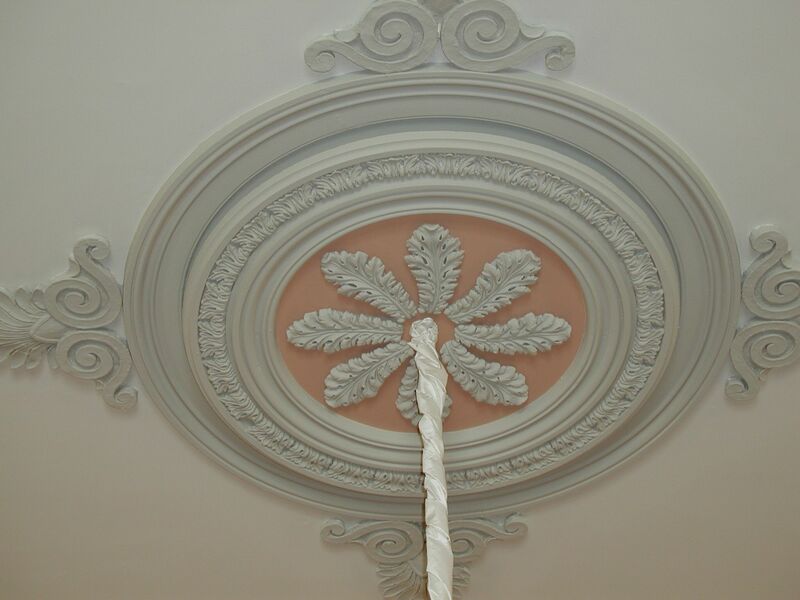 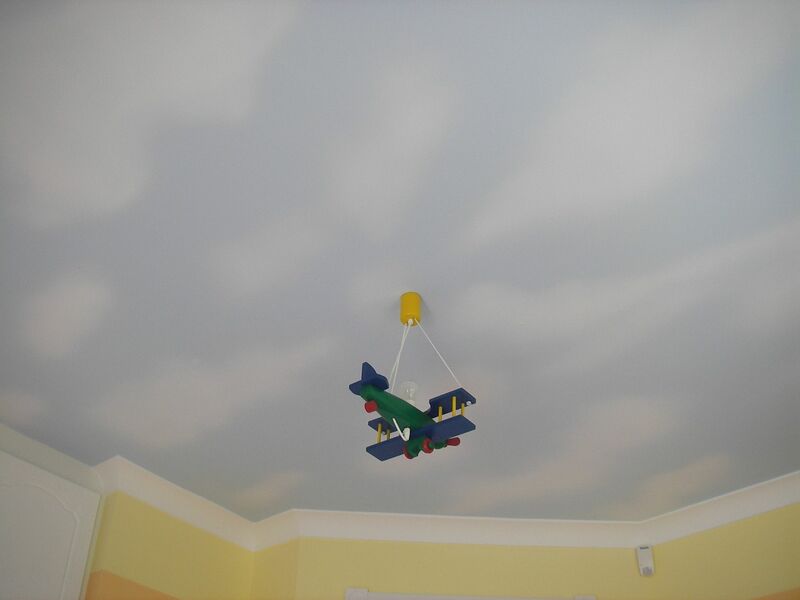 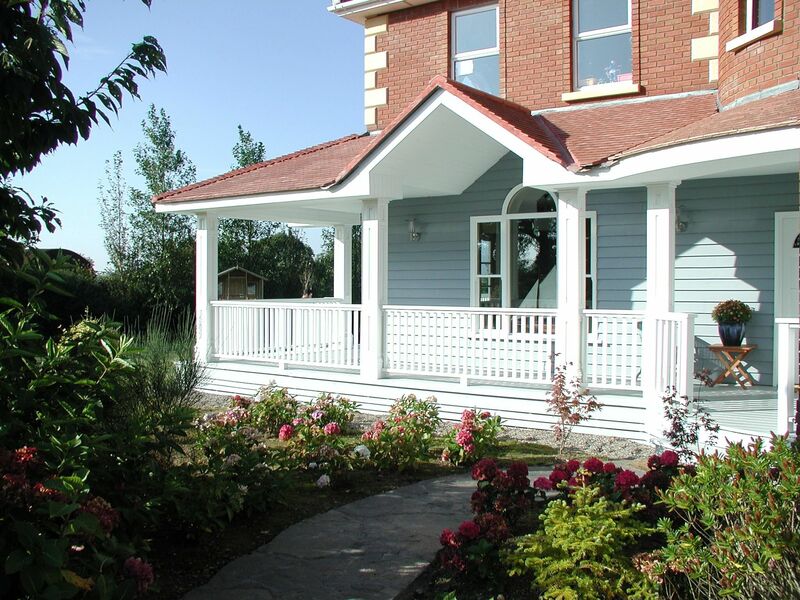 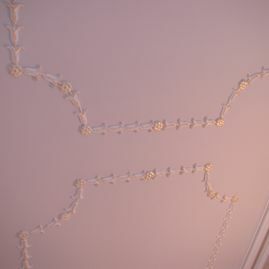 Our craftsmanship is complemented by our use of the finest painting and decorating materials. 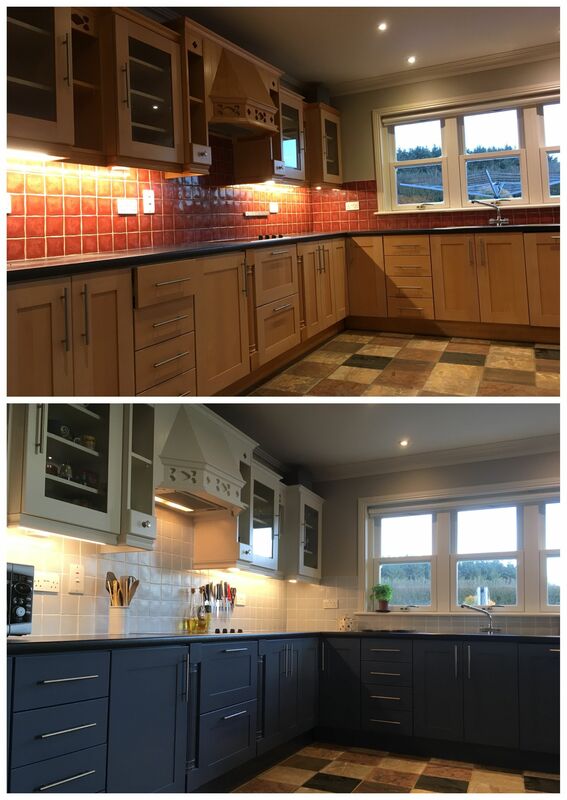 The advanced level of customer service we offer includes a complete colour consultation. 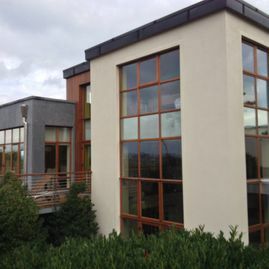 Our recommendations are based on the unique aesthetic considerations of the property, the client’s personal sense of style and the available budget. All surfaces are thoroughly prepped before the paint is applied to ensure absolute quality and longevity. 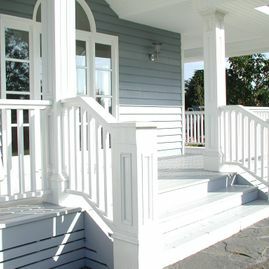 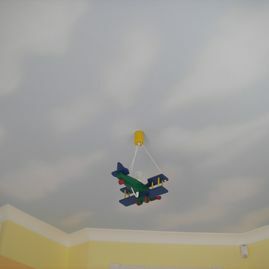 All our painting and decorating projects come with Full Guarantee. 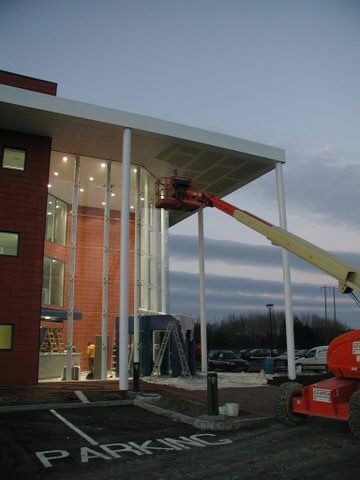 To discuss the requirements of your next project, get in contact with our offices today. 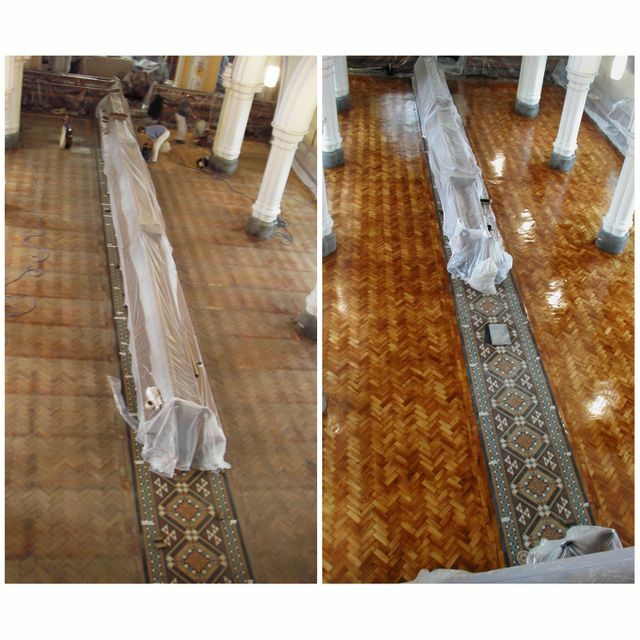 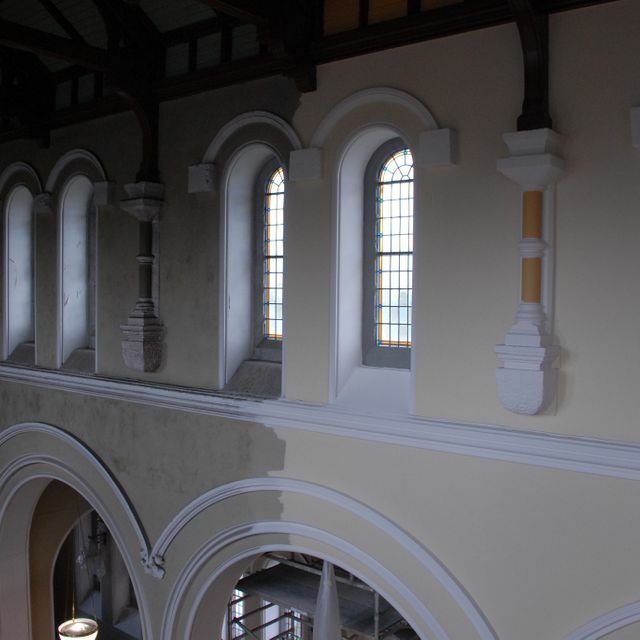 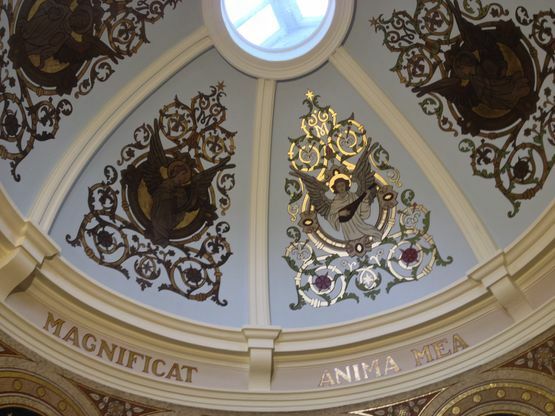 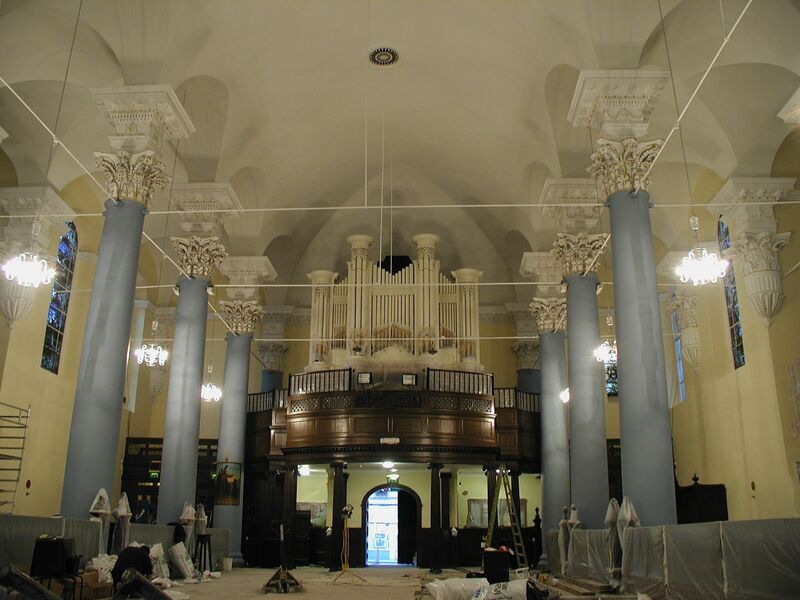 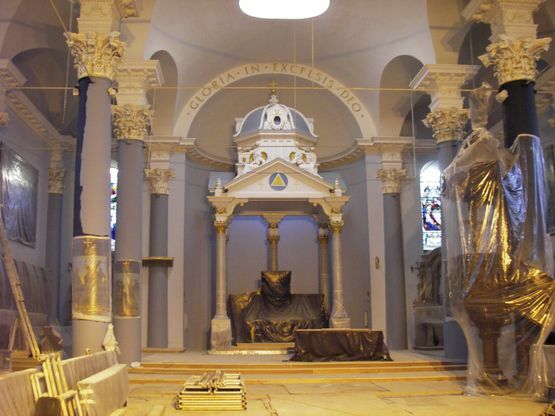 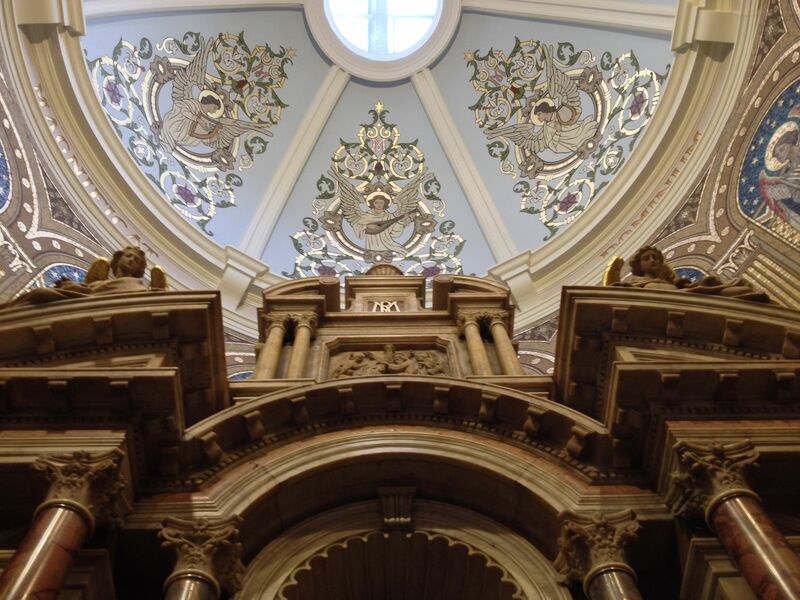 Sinnotts Decorators has extensive experience in the intricate painting and decorating procedures associated with Church and places of worship painting. 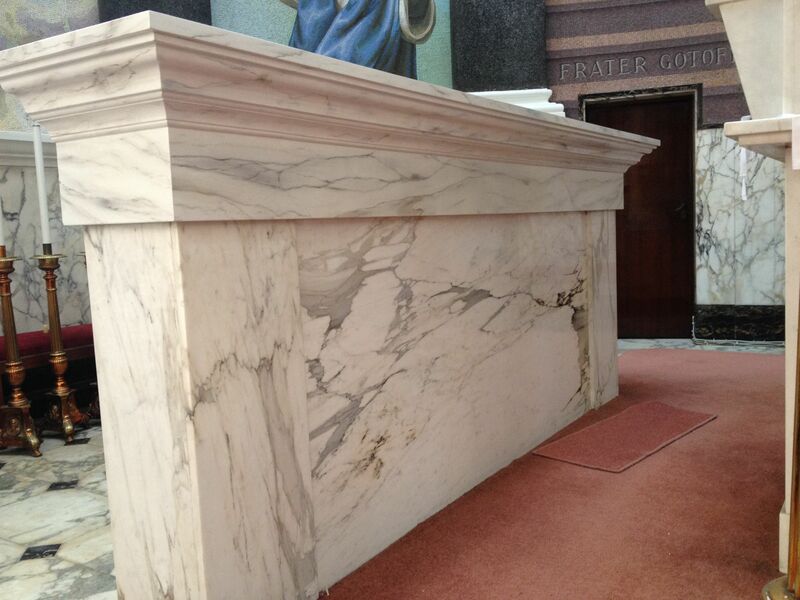 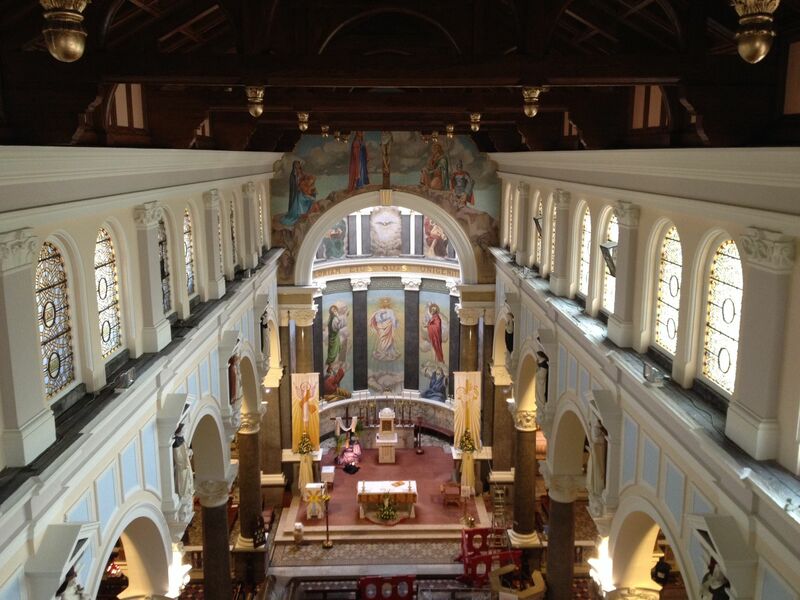 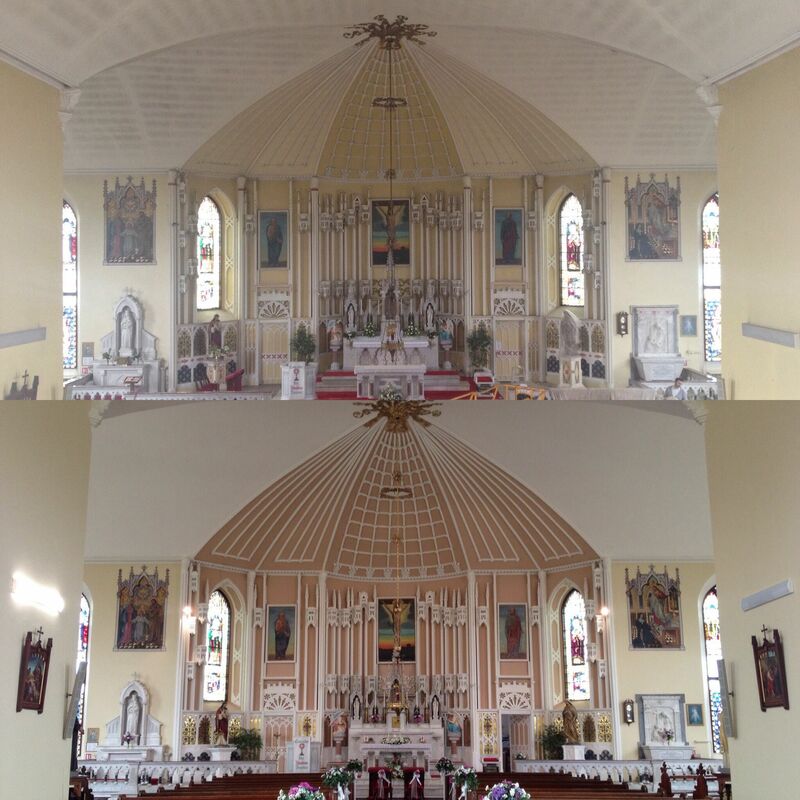 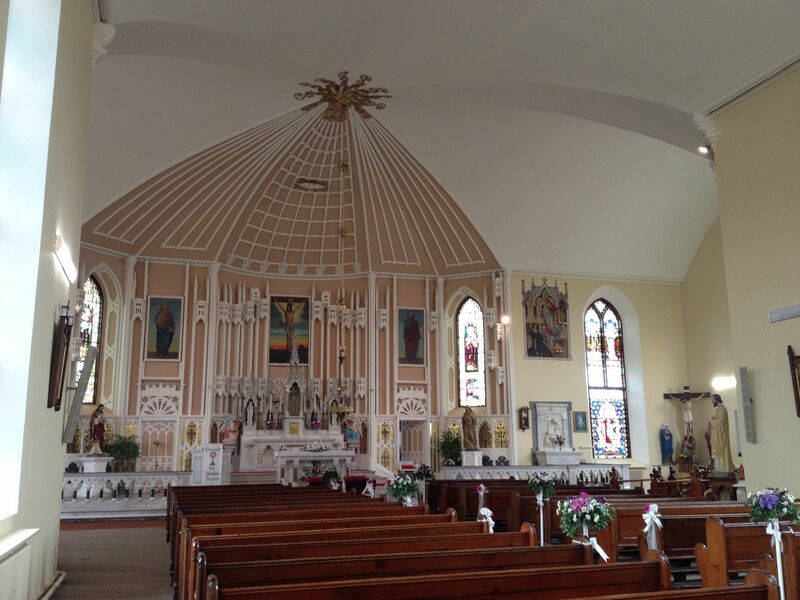 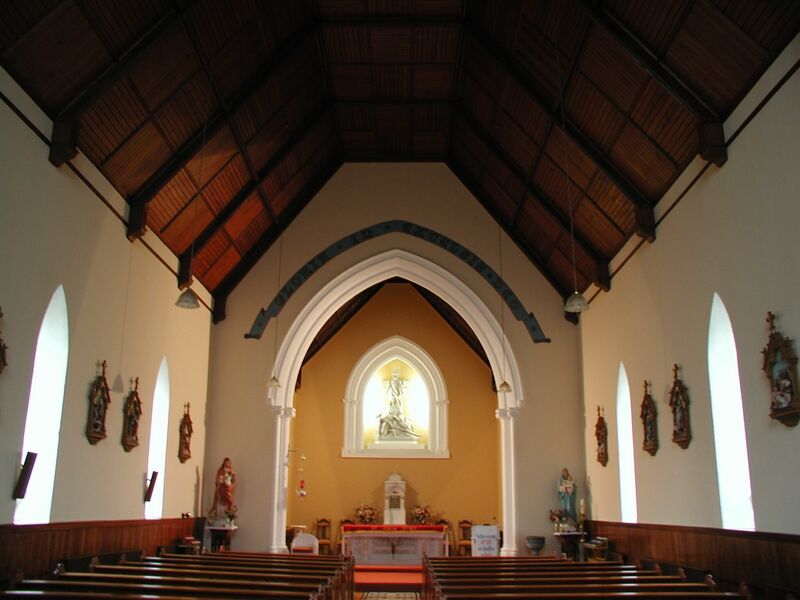 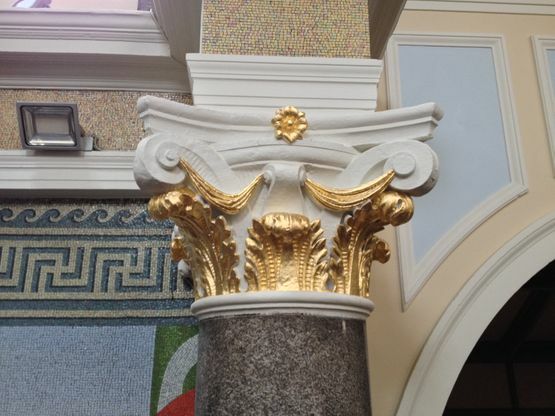 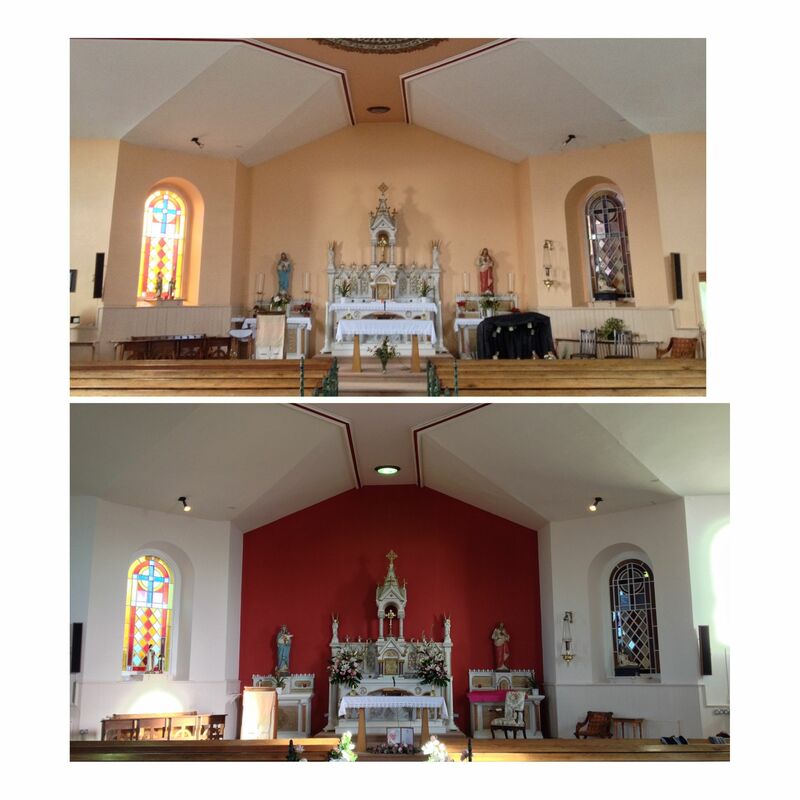 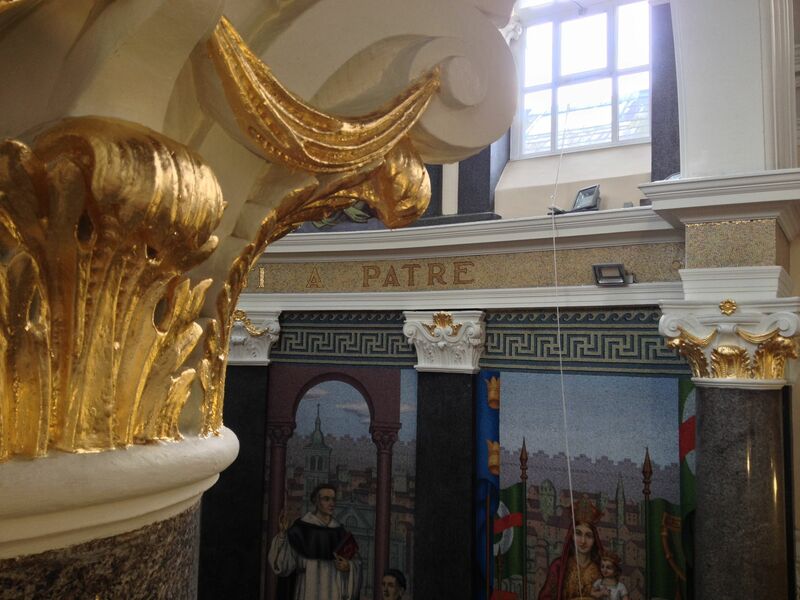 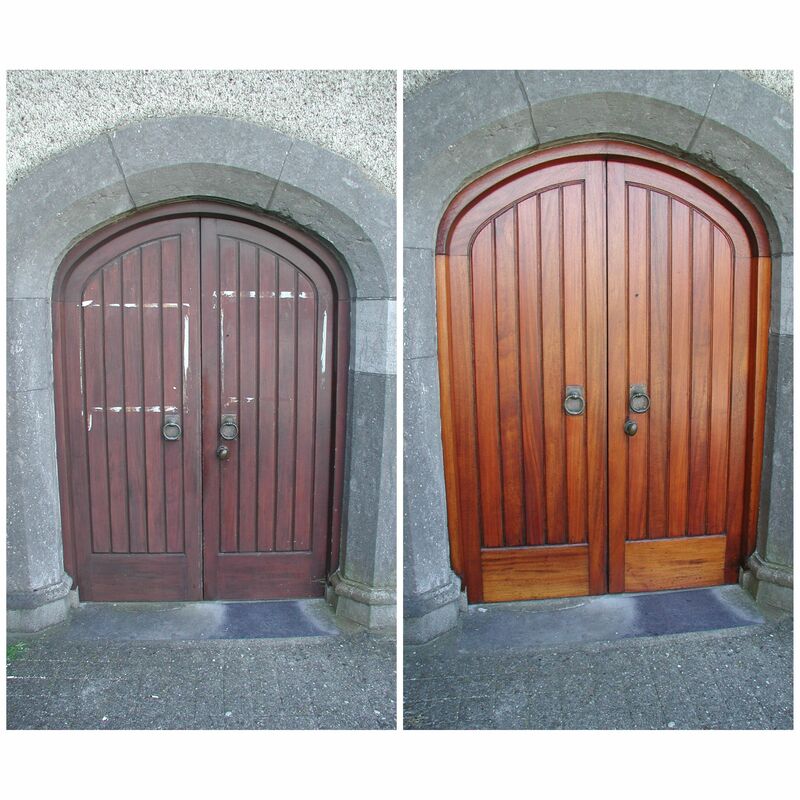 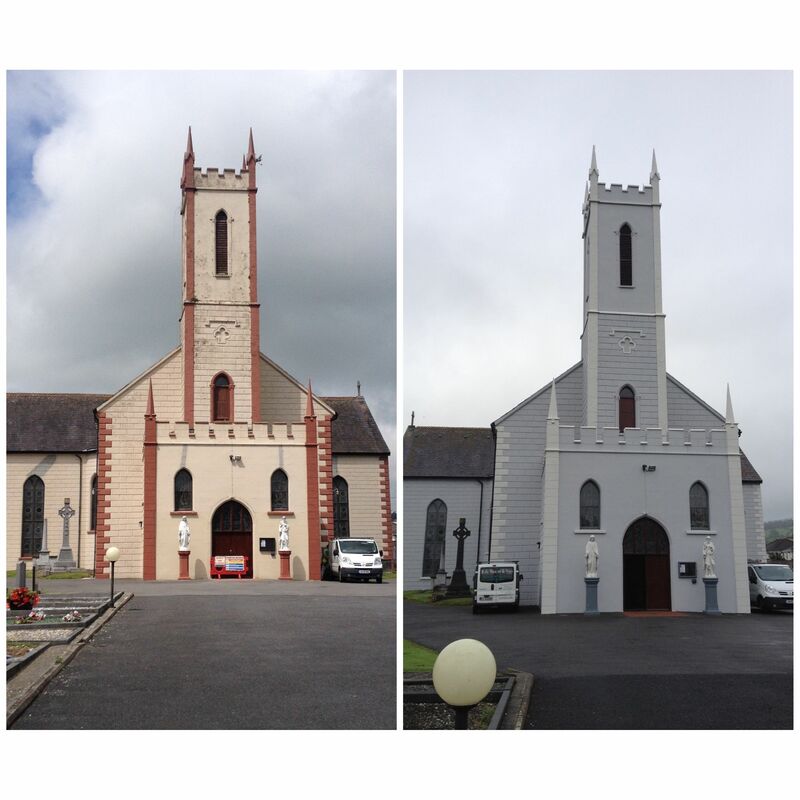 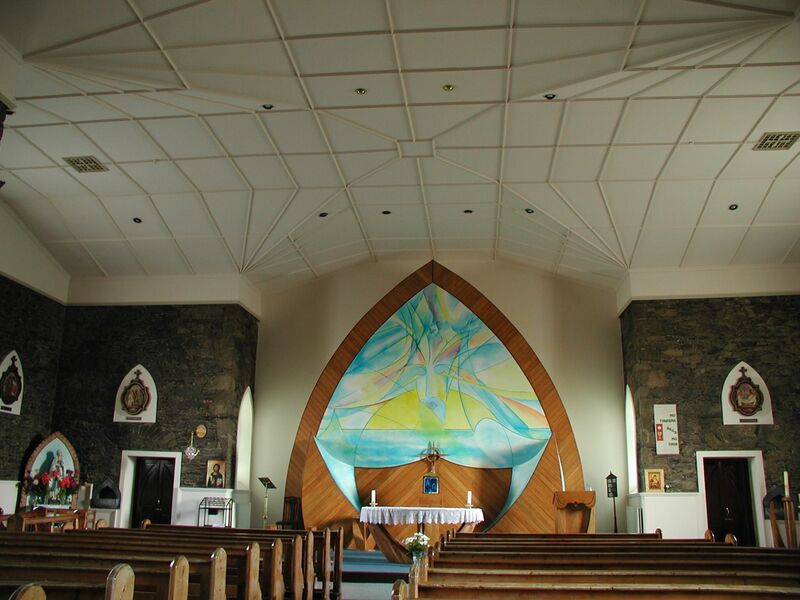 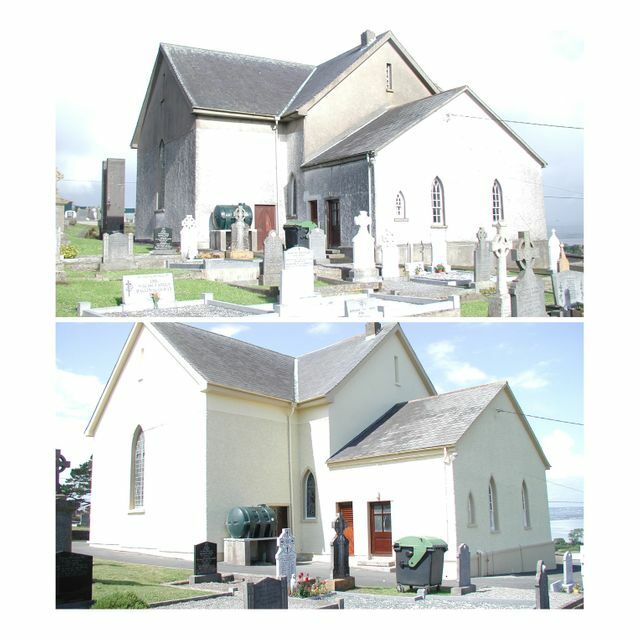 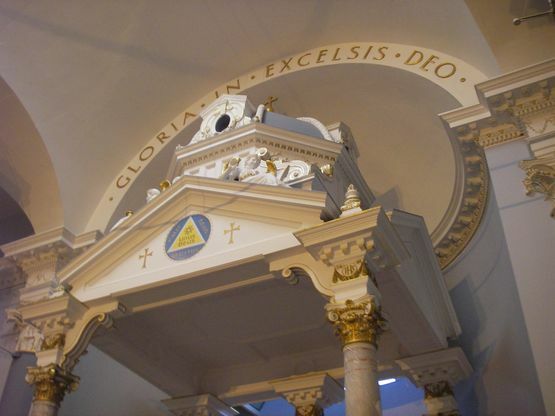 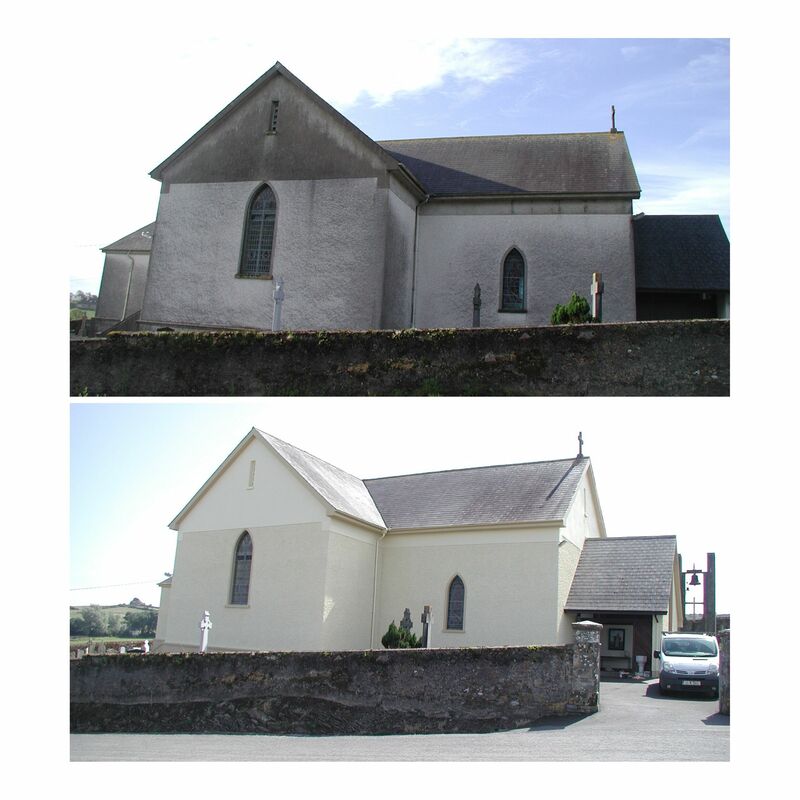 We have decorated numerous Churches in Waterford and the South East. 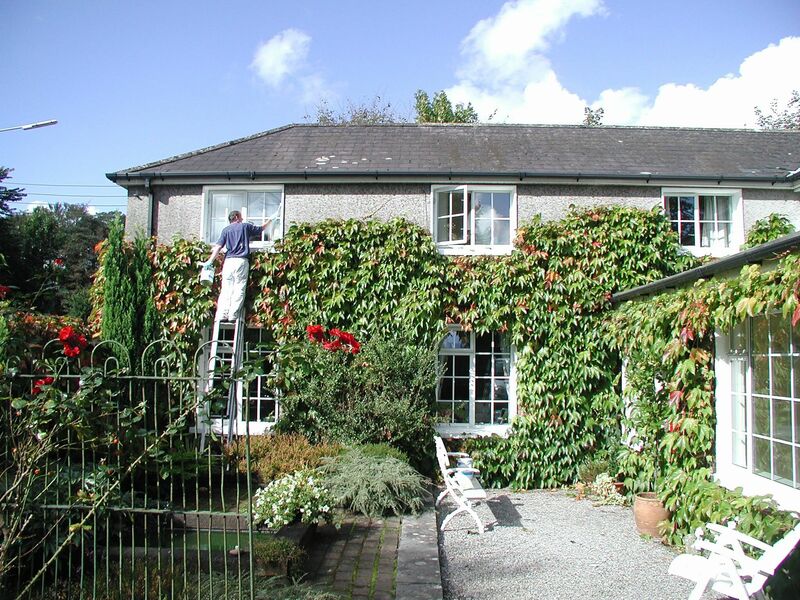 Our friendly team engage directly with the customer to provide an accurate quote. 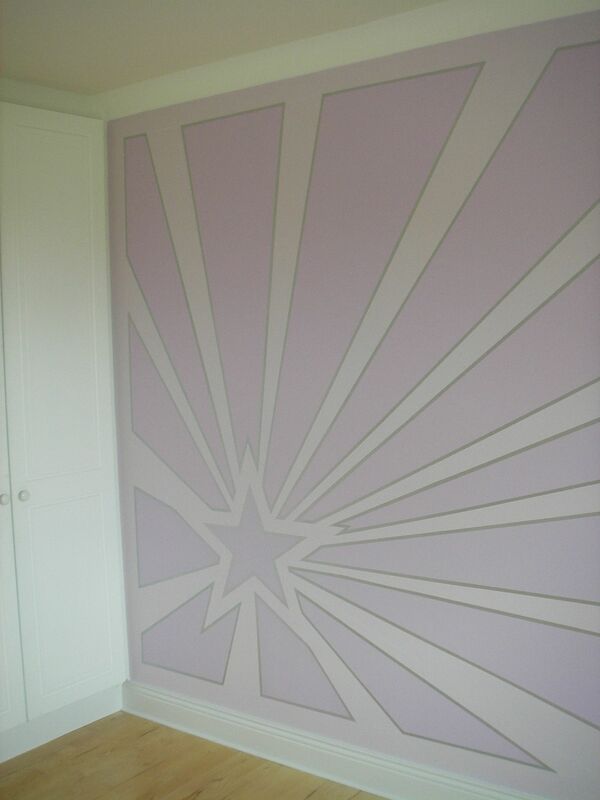 Our consultancy service can involve colour and decorating recommendations. 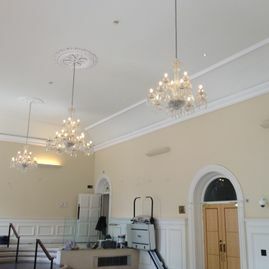 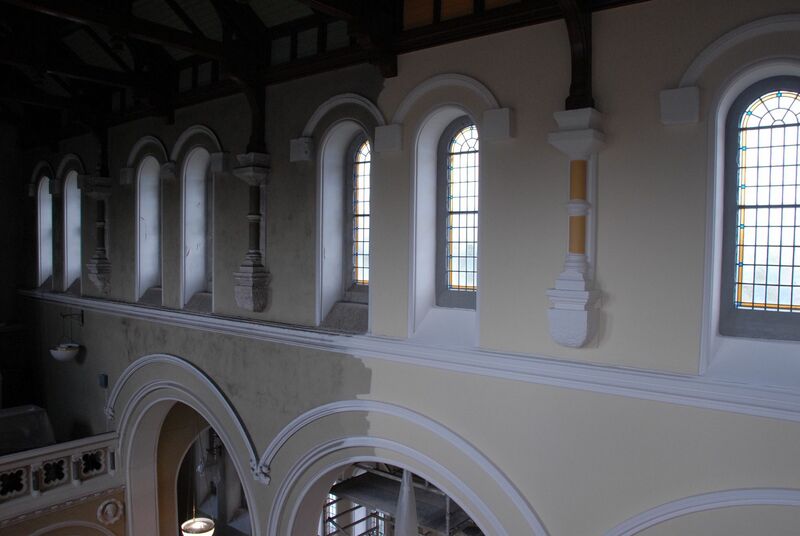 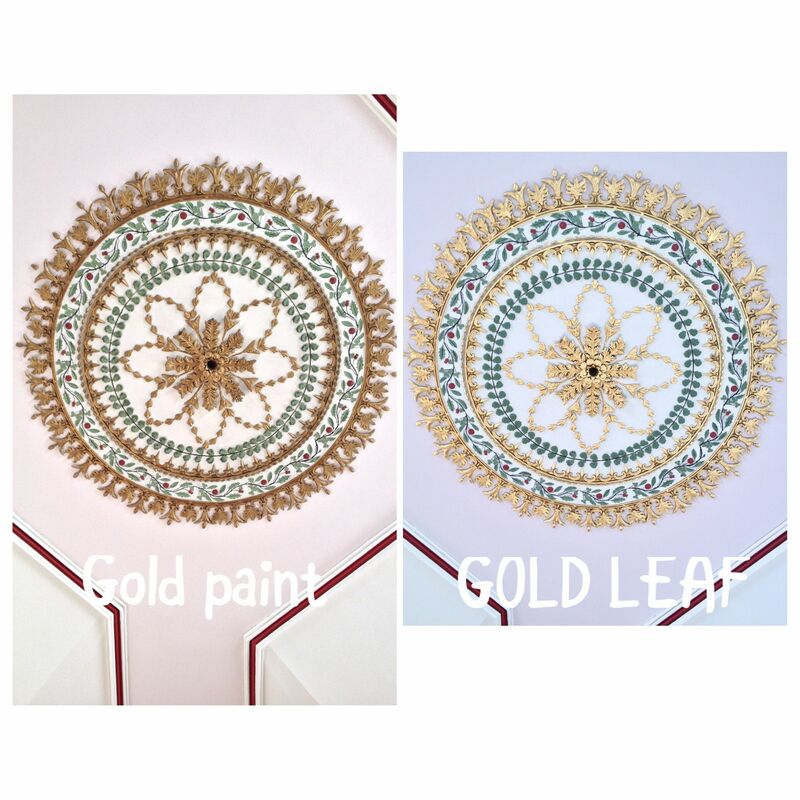 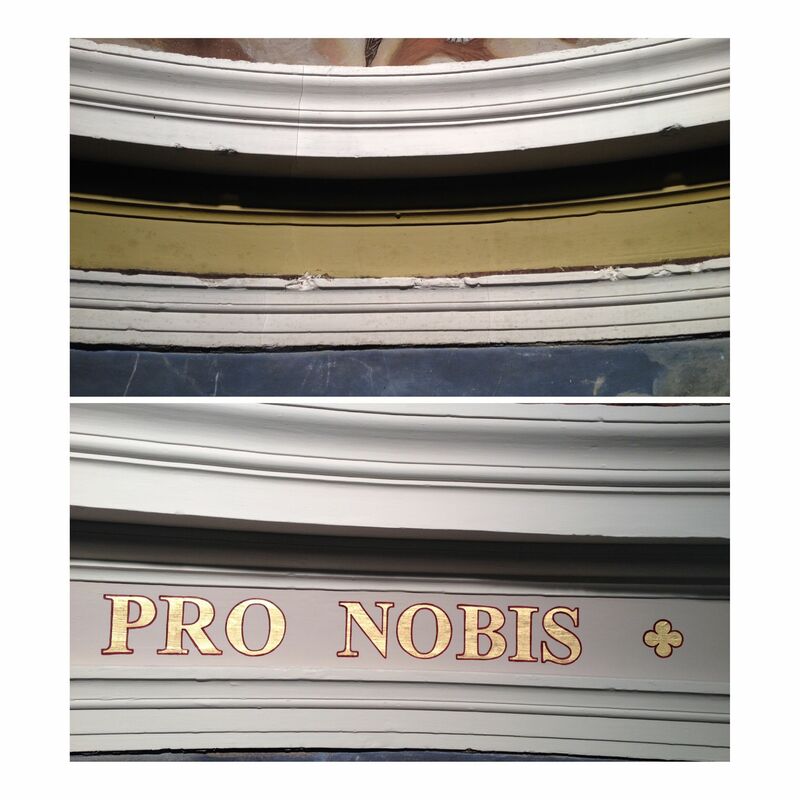 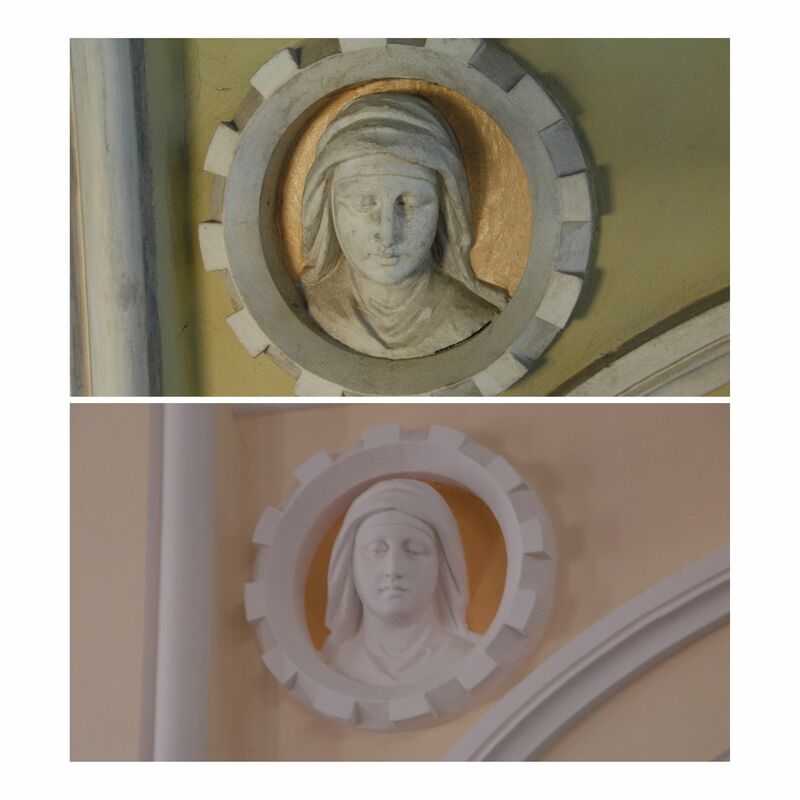 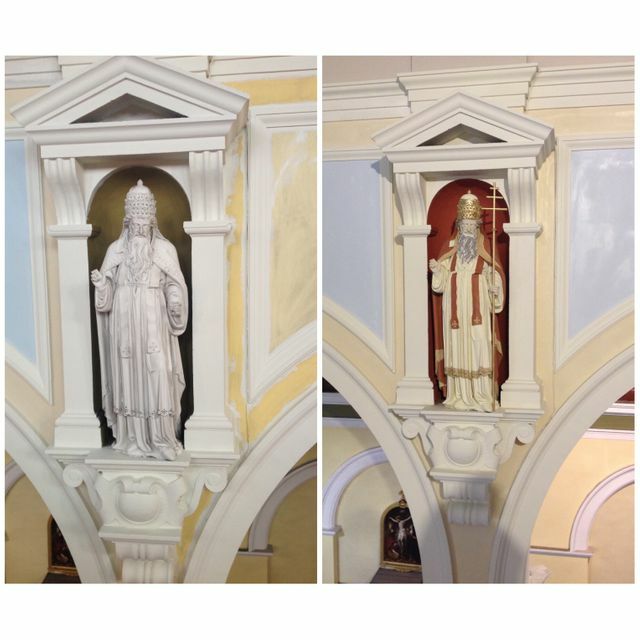 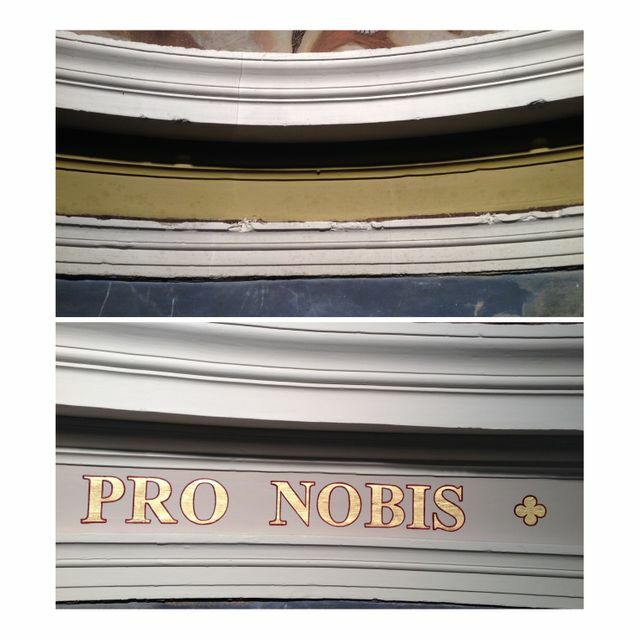 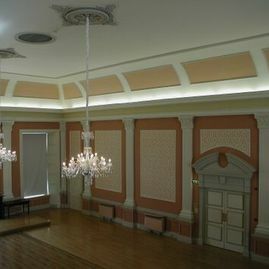 Sinnotts Decorators’s professional, non-invasive painting and decorating techniques ensures that the church can remain open during the restoration. We prioritise absolute safety at all times, ensuring that any work area is inaccessible to worshipers. 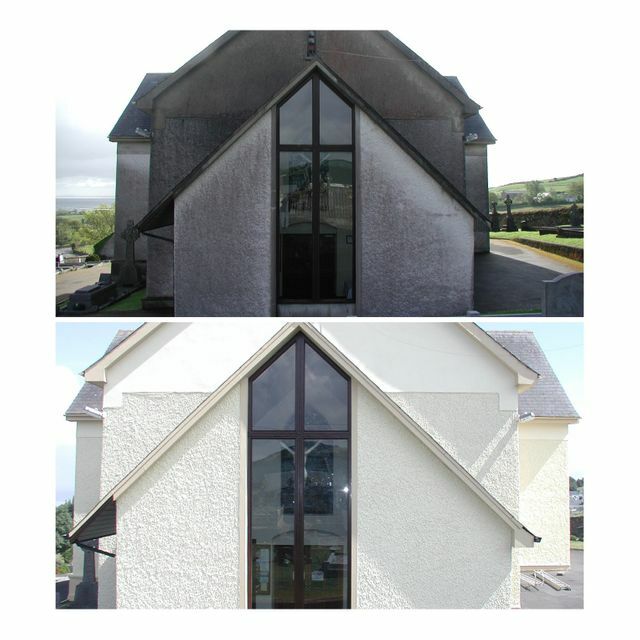 Our clean as you go policy removes all dust from surfaces and leaves a church in pristine condition at the end of the week; allowing for unencumbered weekend services. 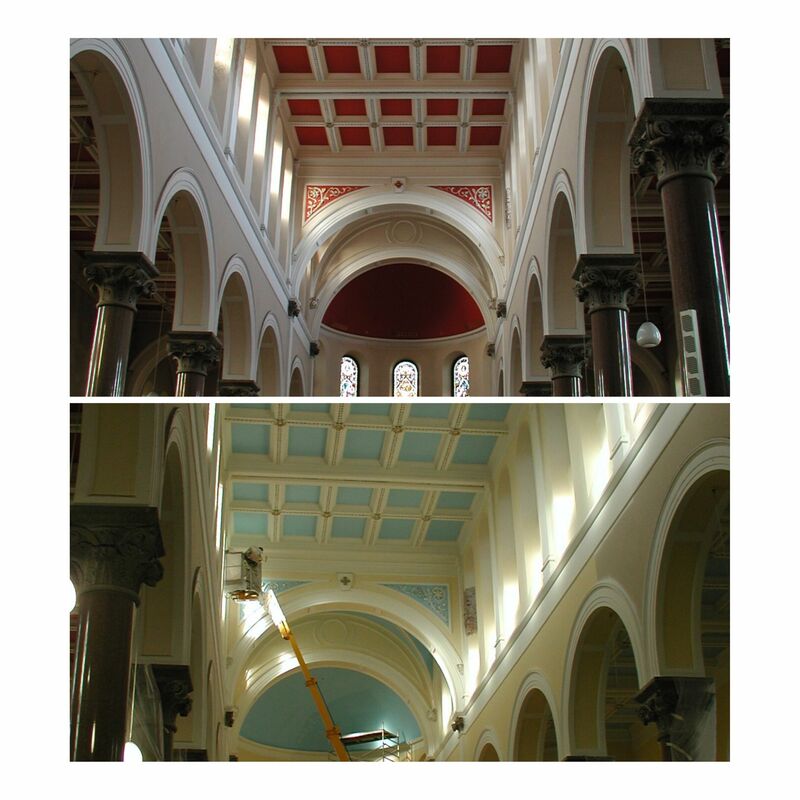 To request a list of our previous Church projects, or to request a no obligation full site survey and consolation, get in contact with our offices today. 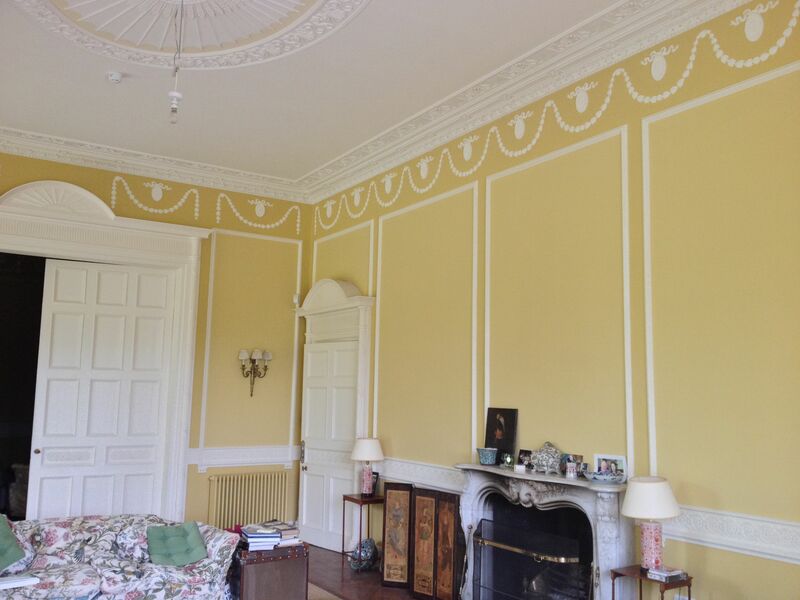 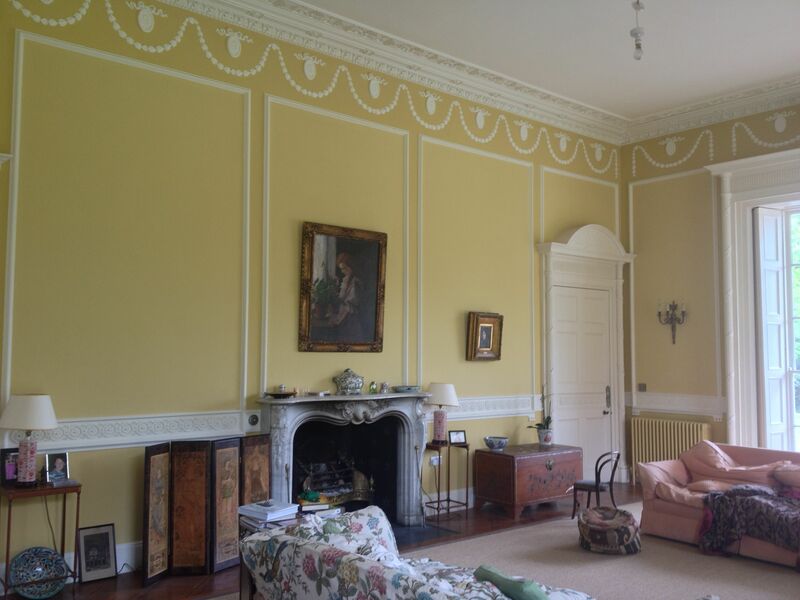 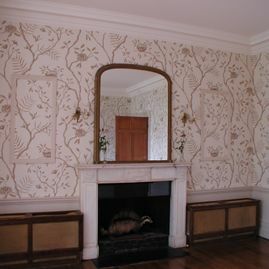 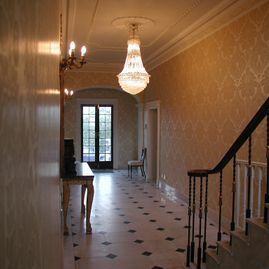 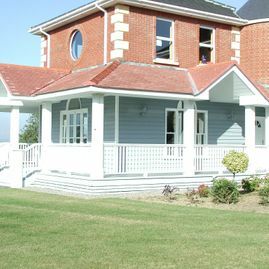 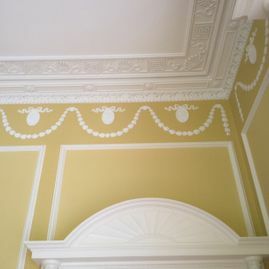 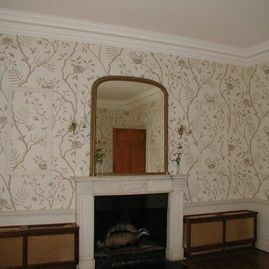 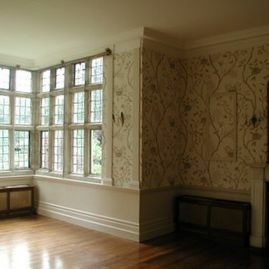 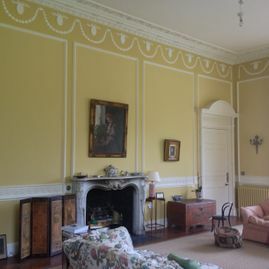 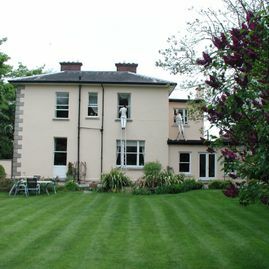 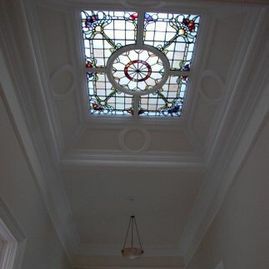 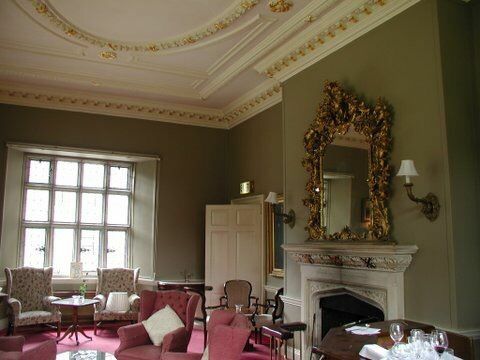 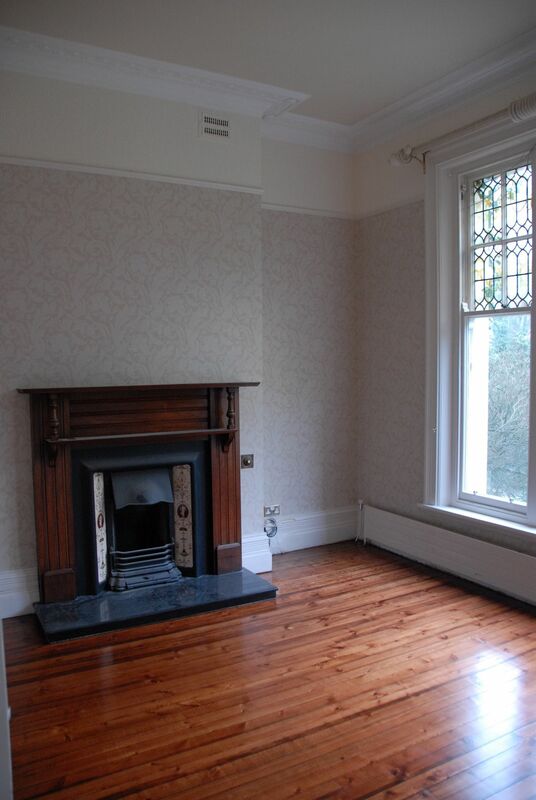 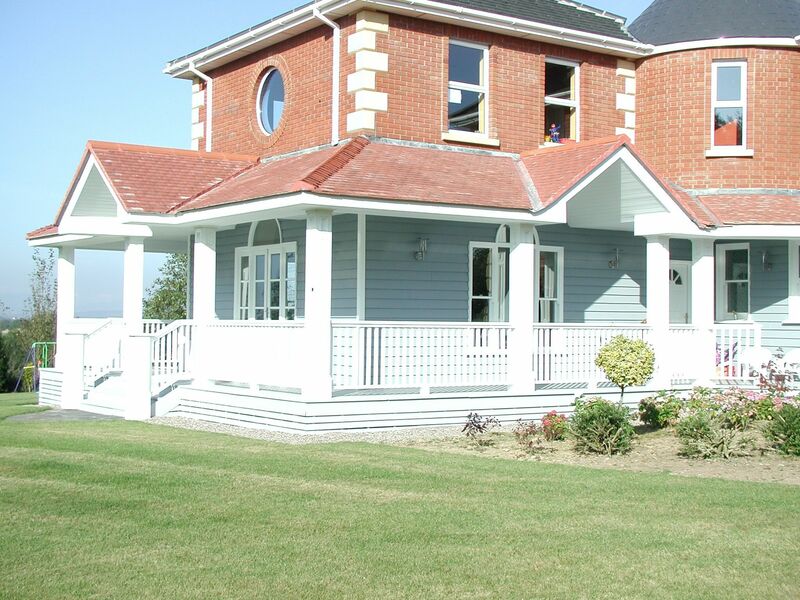 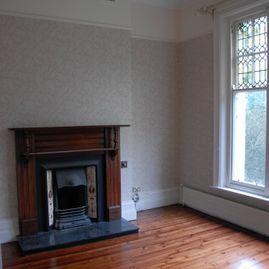 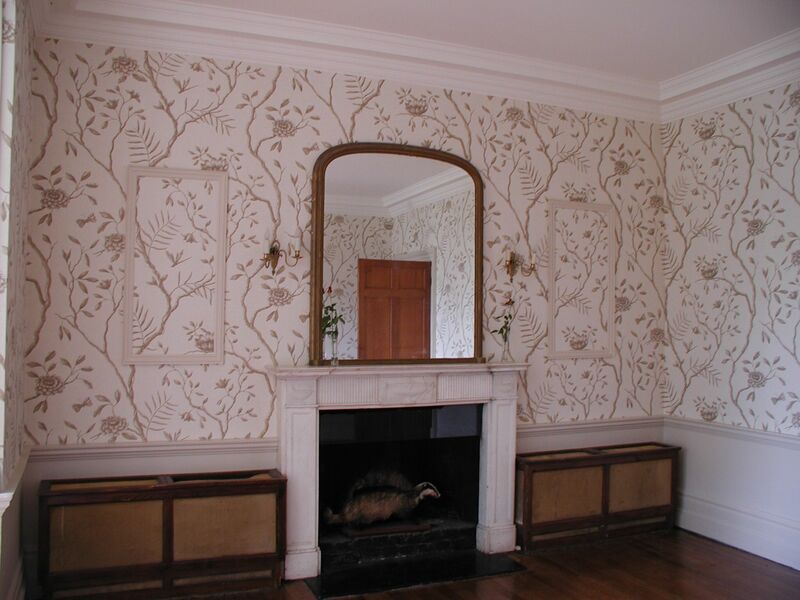 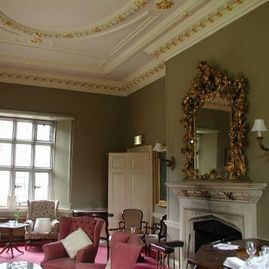 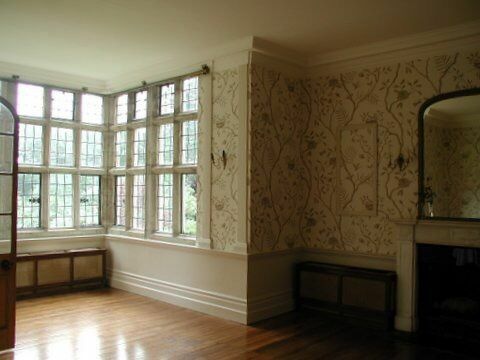 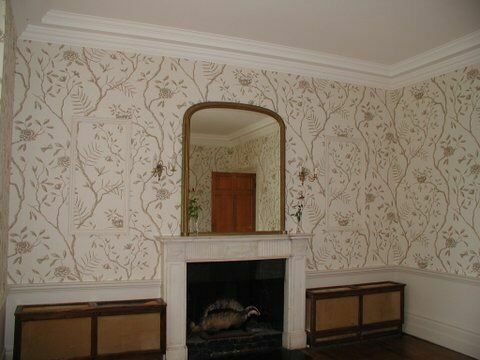 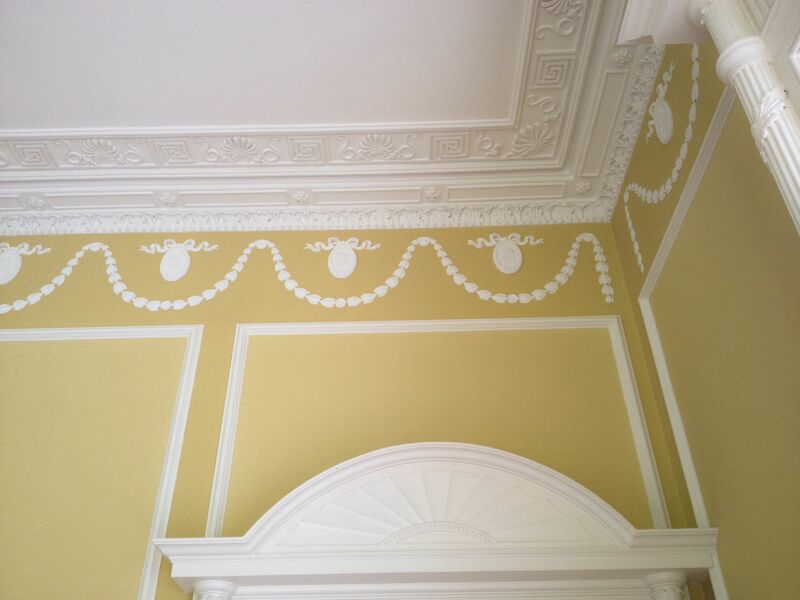 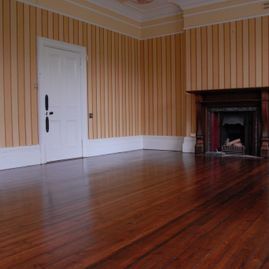 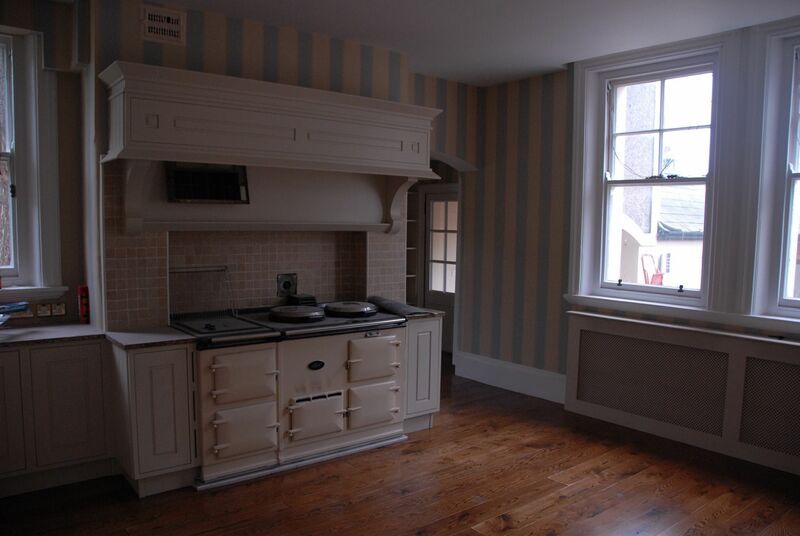 We have been painting and decorating beautiful period houses in the South East since 1940. 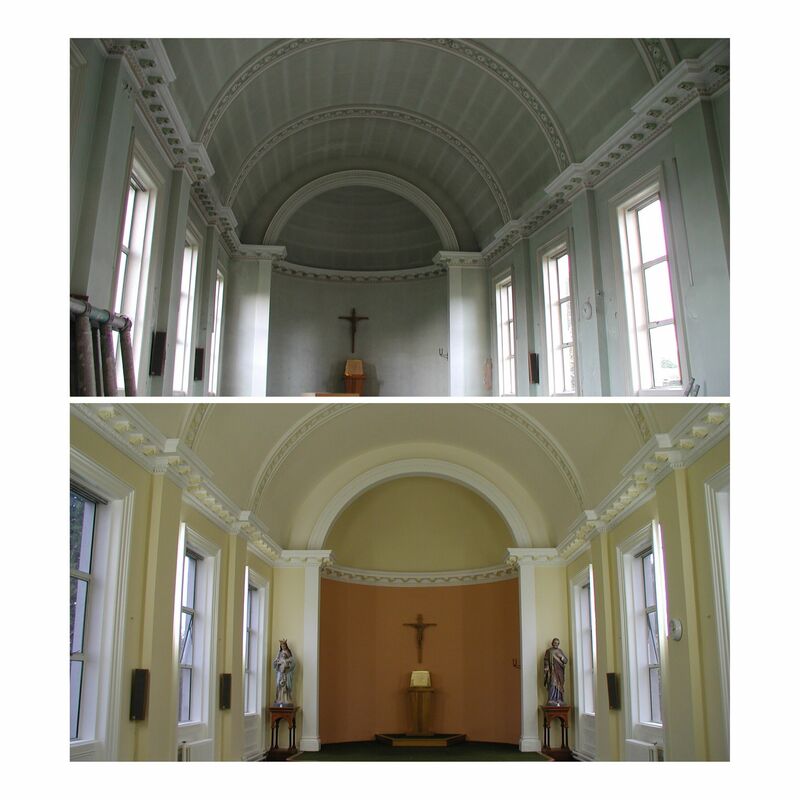 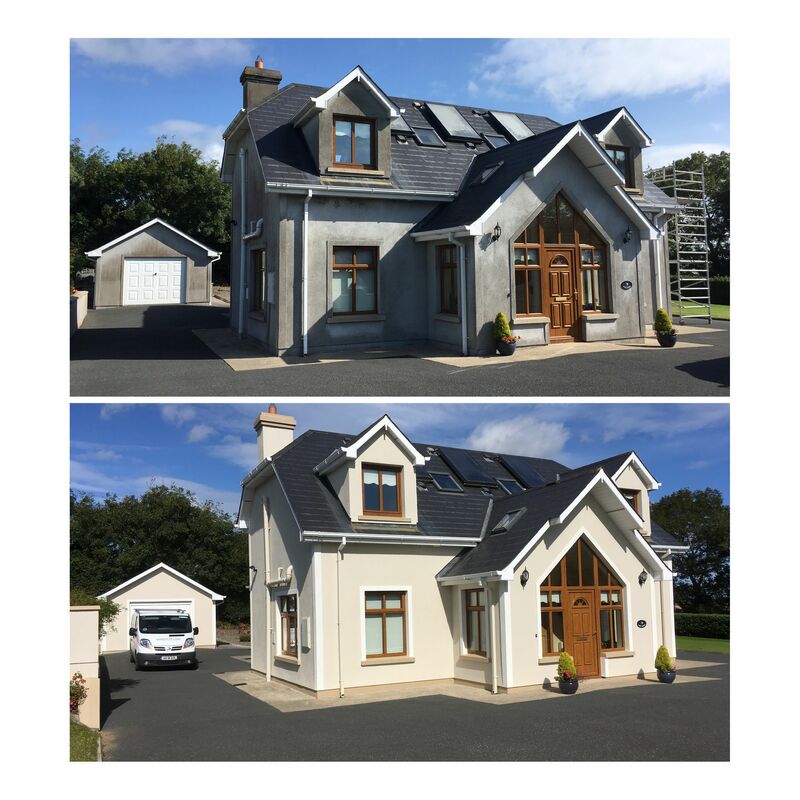 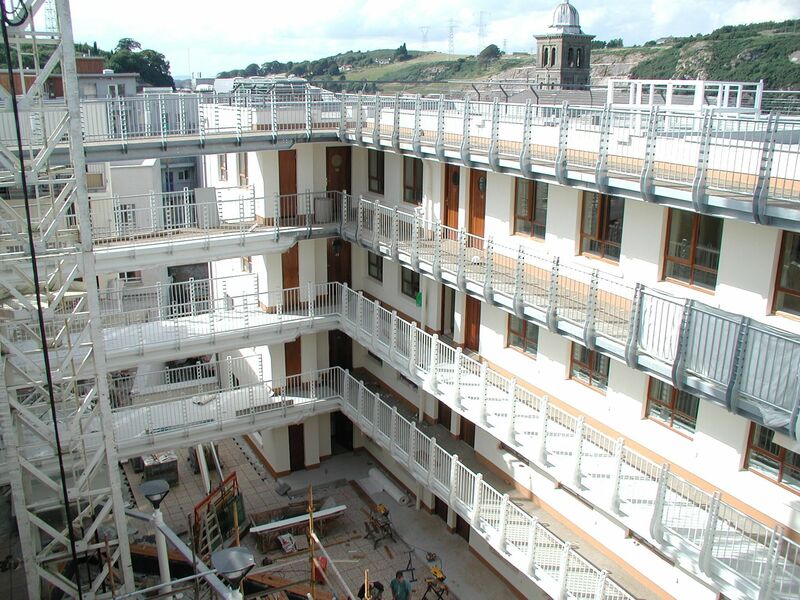 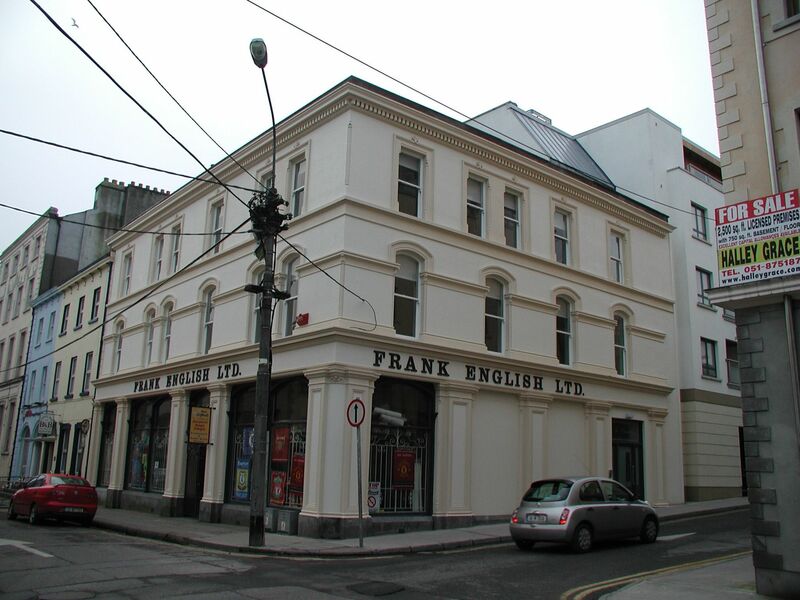 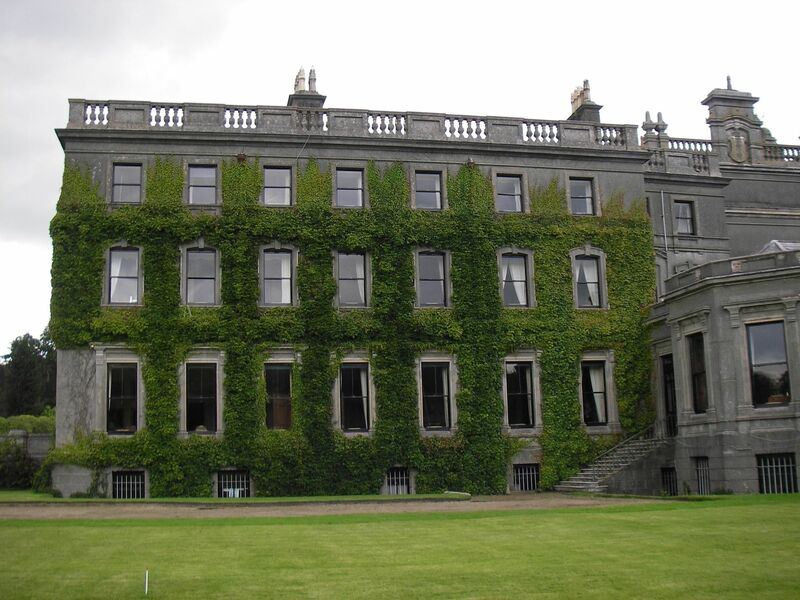 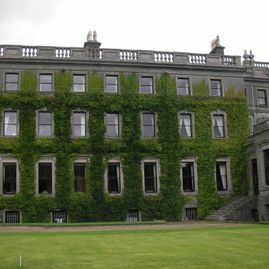 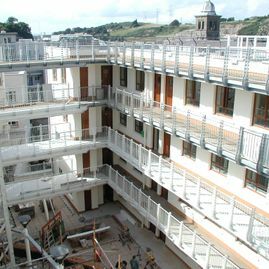 Our team of craftsmen are committed to preserving Ireland’s rich architectural heritage. 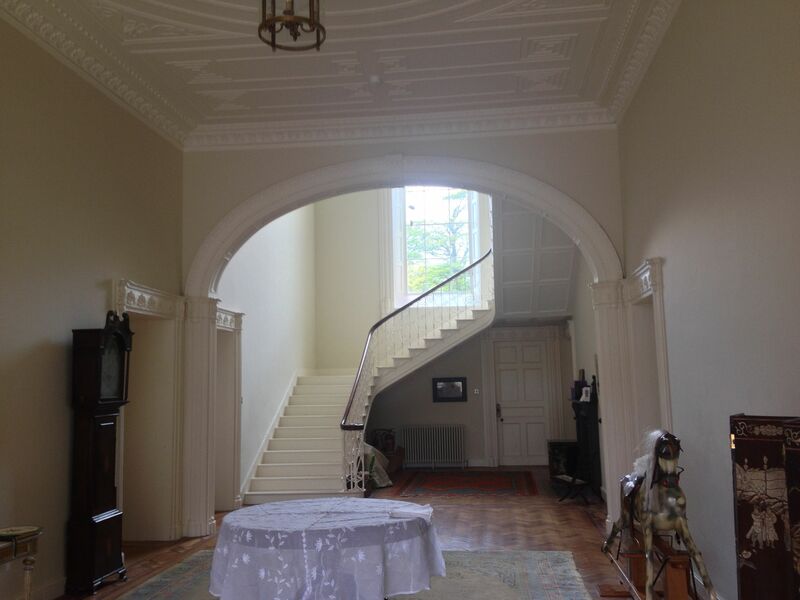 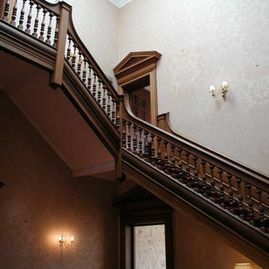 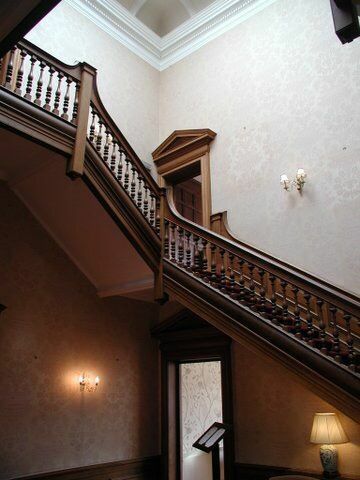 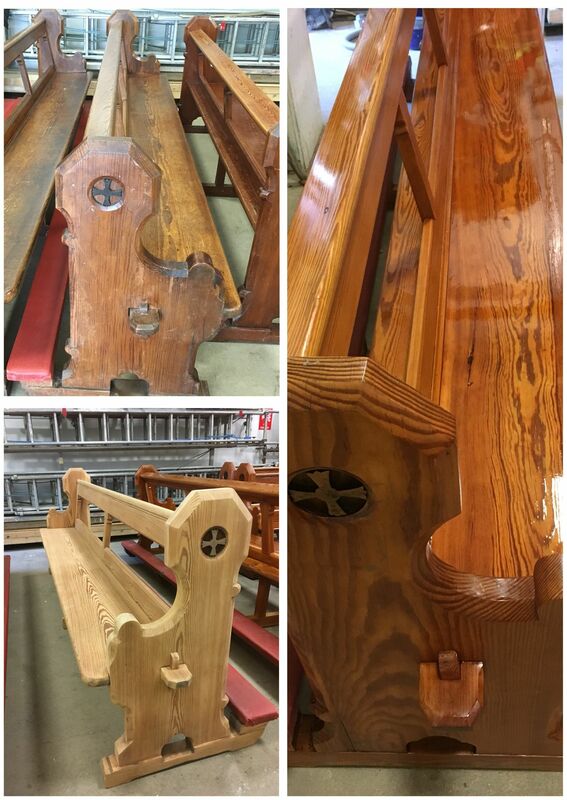 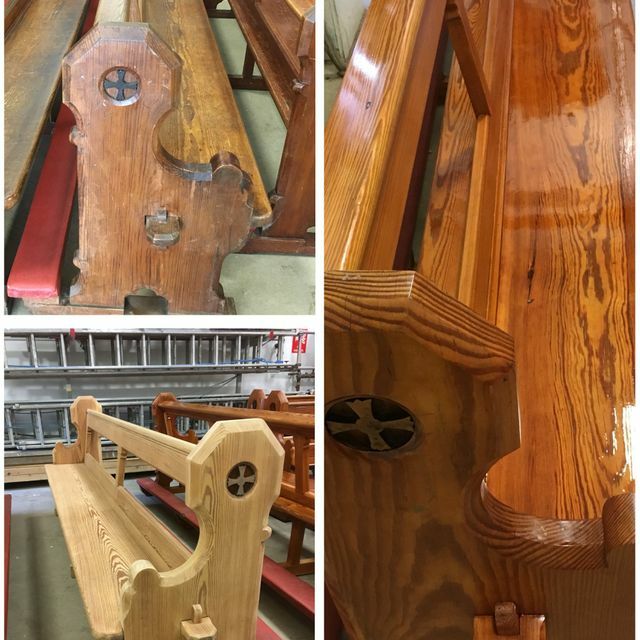 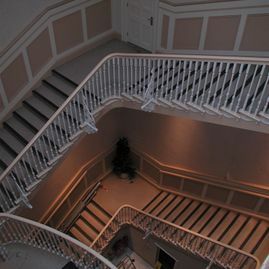 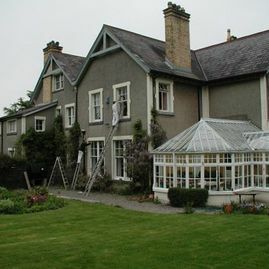 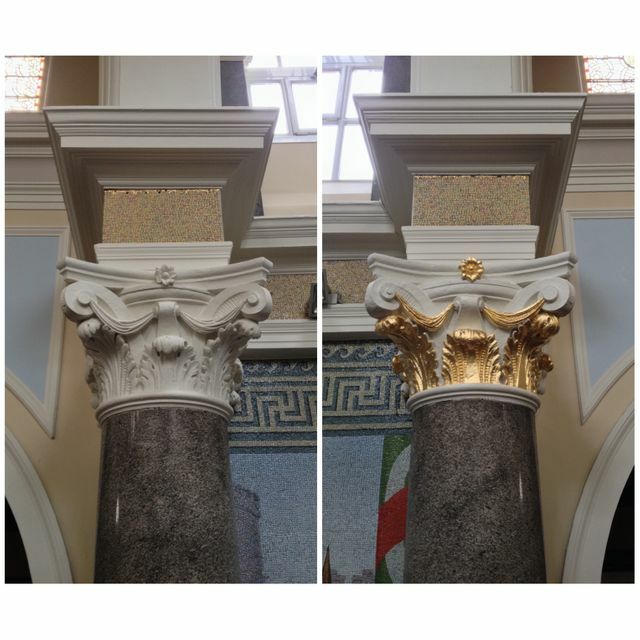 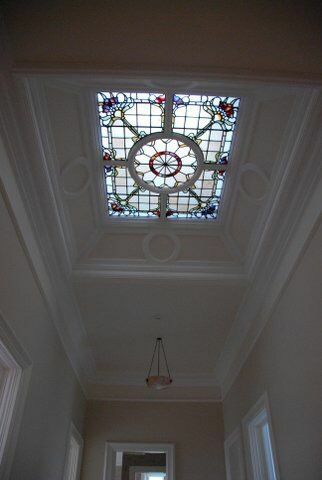 We have extensive experience in restoring and preserving the unique architectural features that give a period building its historical charm and character. Front Door Restoration and Redecorating. 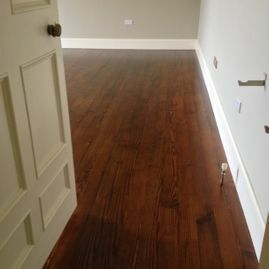 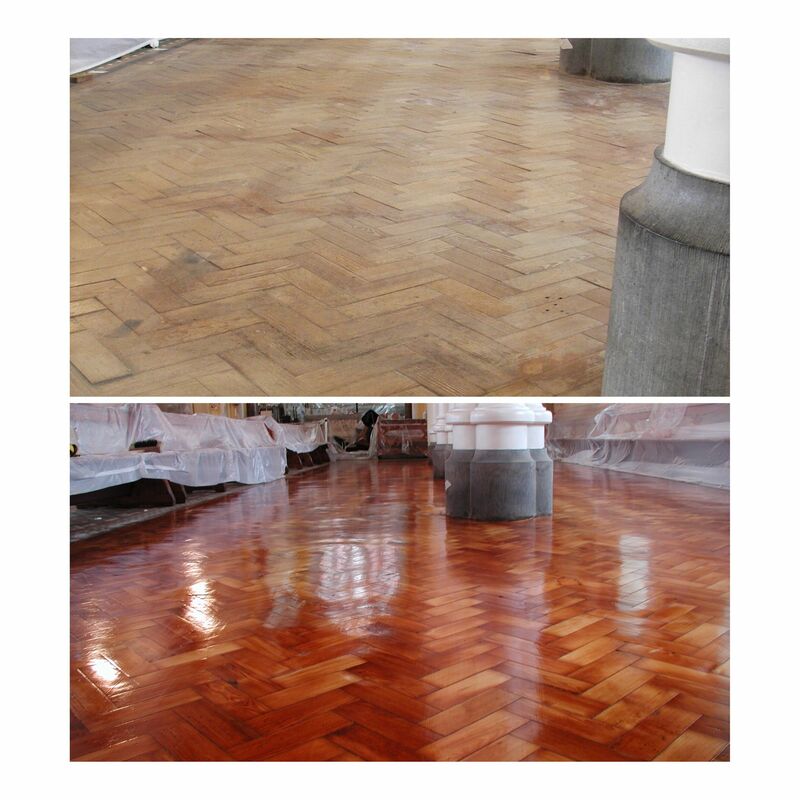 Timber Floor Restoration, Staining and Re-Lacquering. Our team are available for a full-colour consultation service. 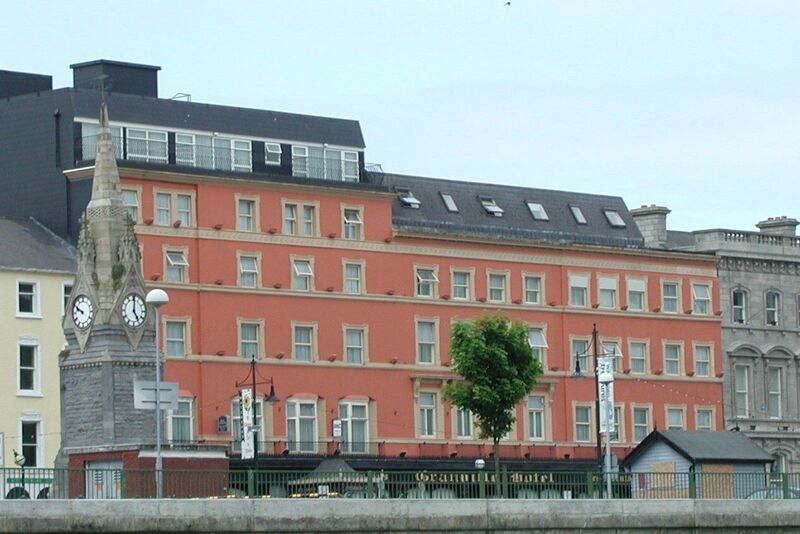 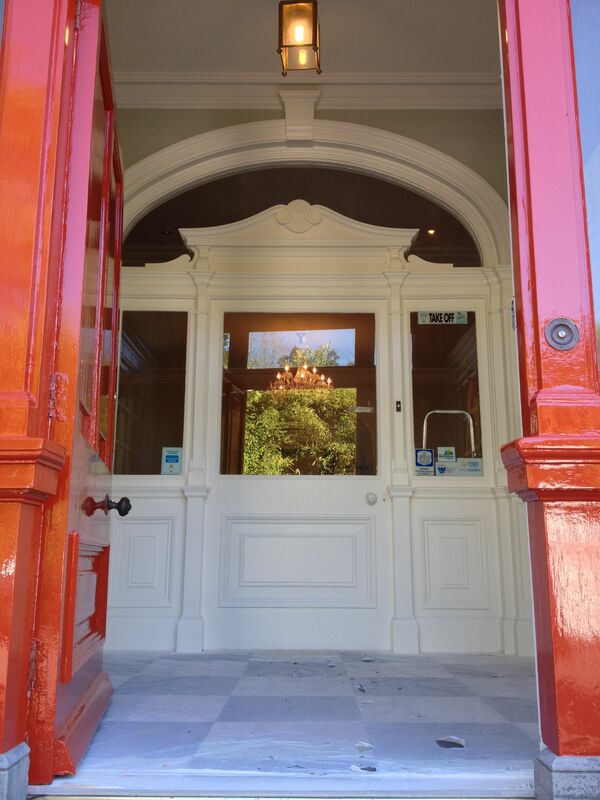 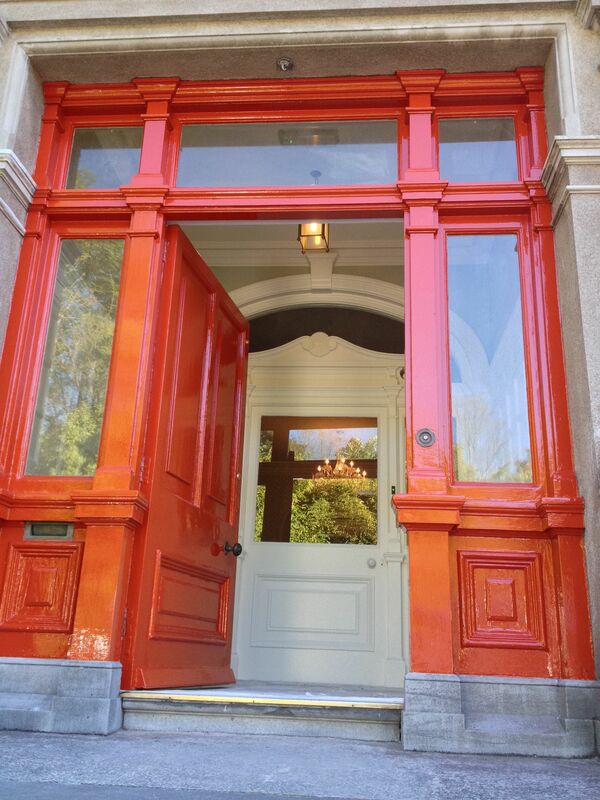 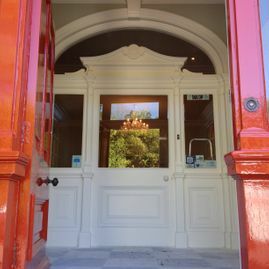 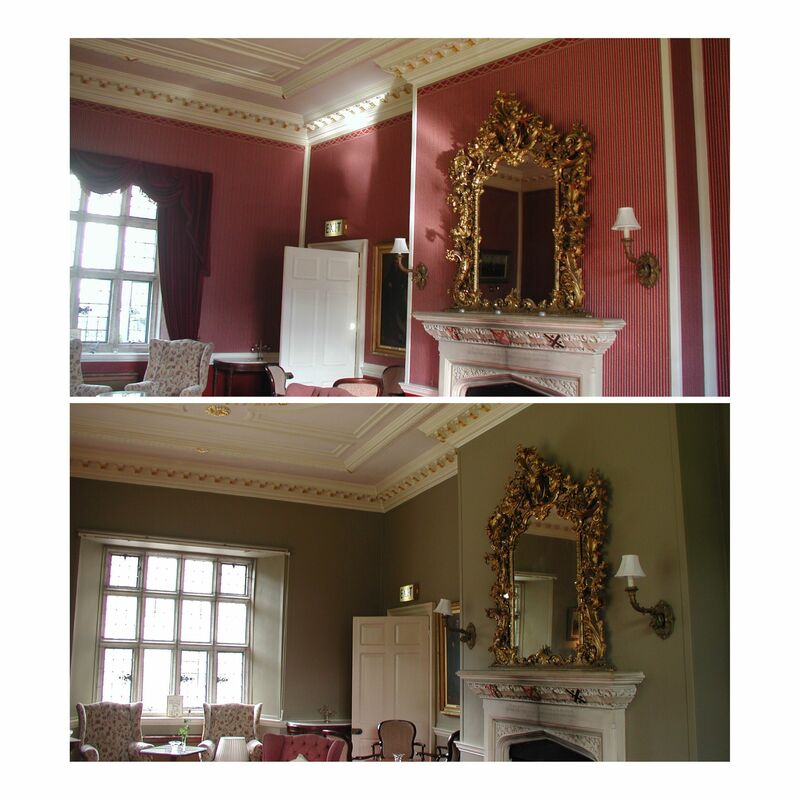 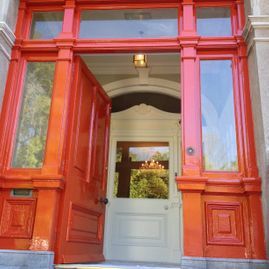 We recommend period appropriate colours to revitalise the innate historical elegance of the building. 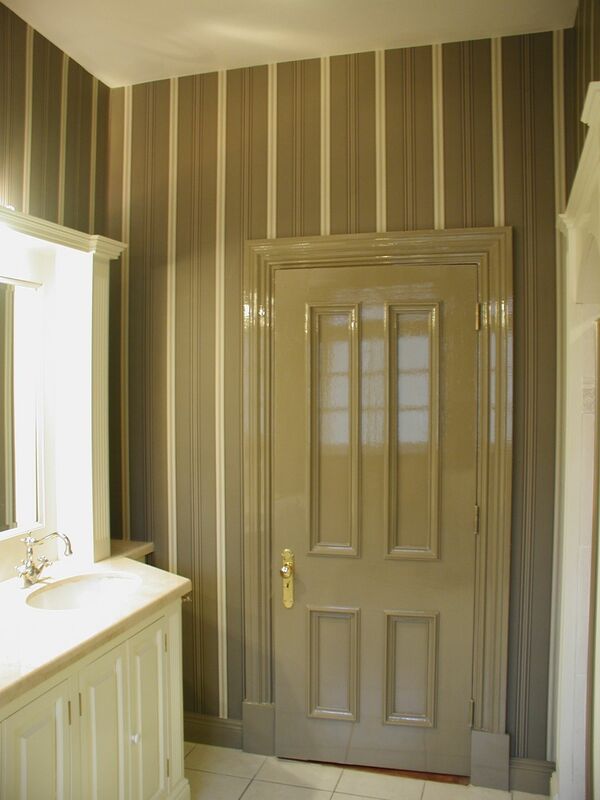 Our period house painting and decorating expertise is complemented by our use of high quality, breathable paints like Farrow & Ball, Little Green, Colourtrend and Earthborn. 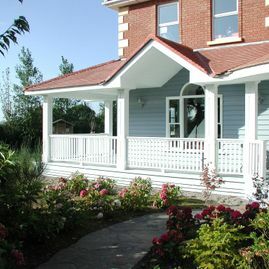 For a no-obligation site survey and colour consultation, please don’t hesitate to get in contact with our offices today. 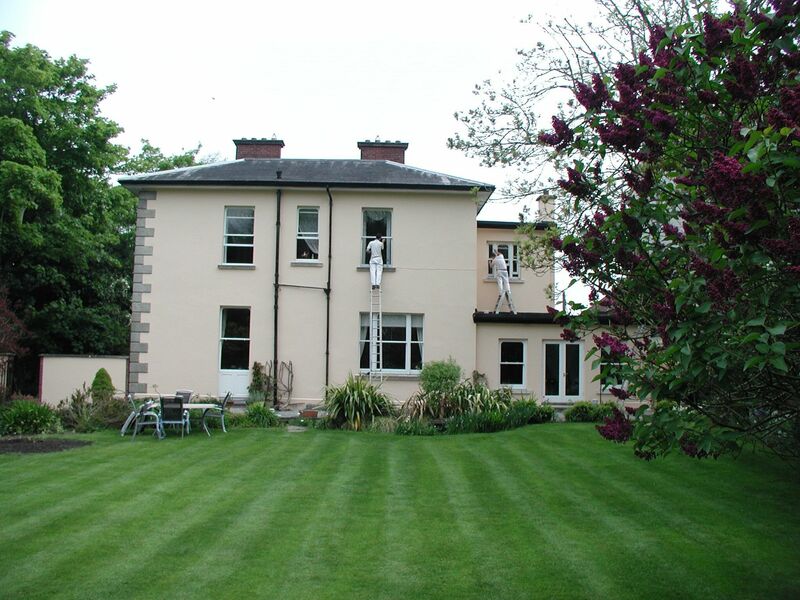 We provide domestic clients with our time-tested painting and decorating expertise. 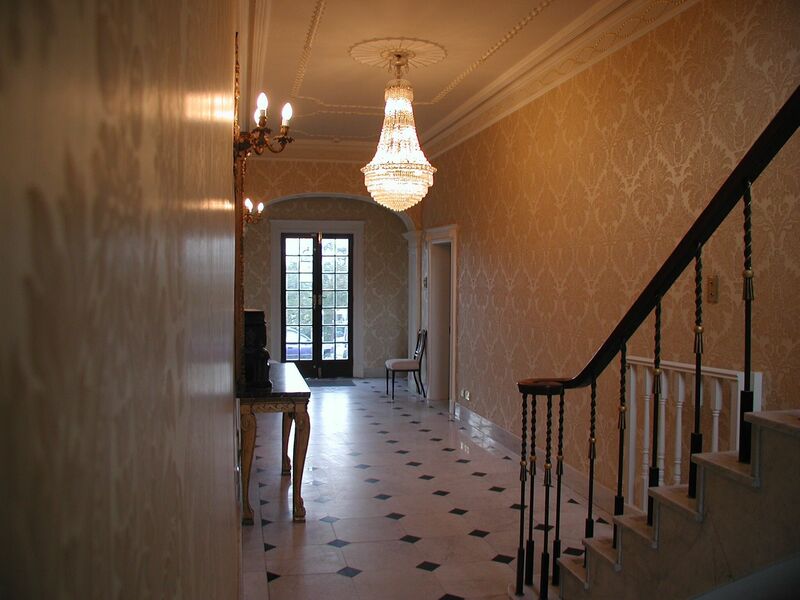 Utilising years of experience and the very best raw materials, we create beautiful finishes that transform the interior or exterior of a domestic property. 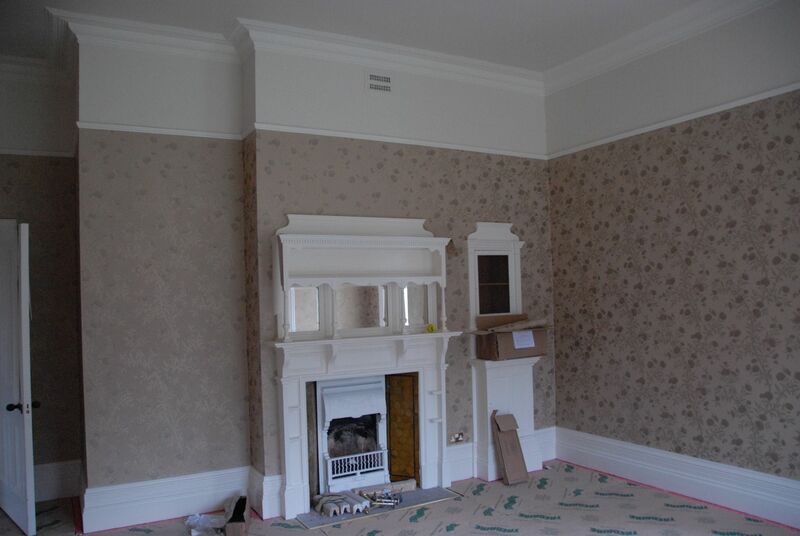 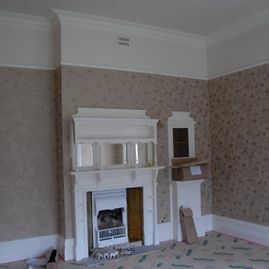 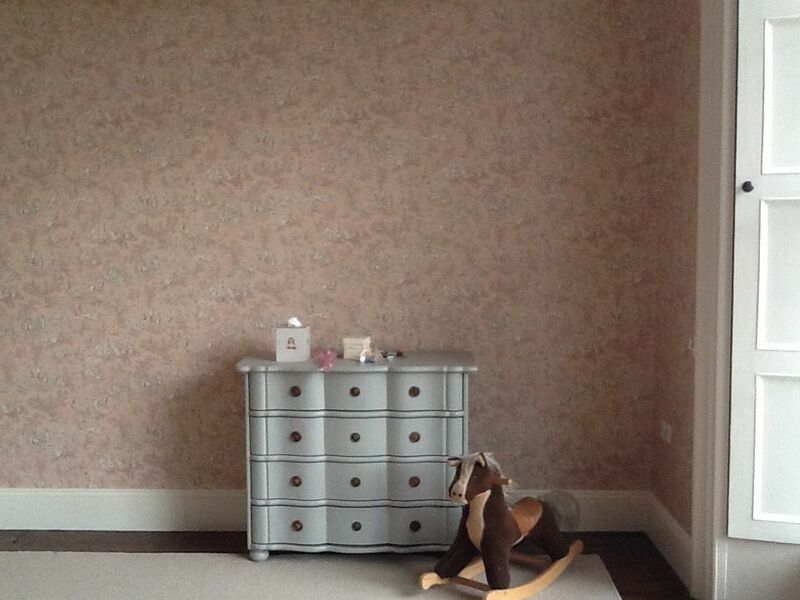 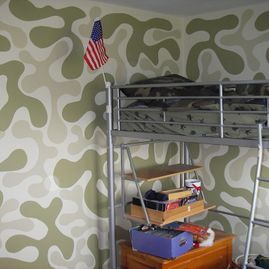 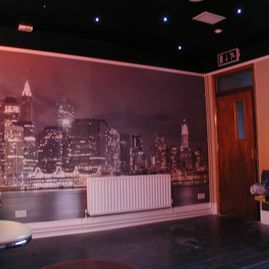 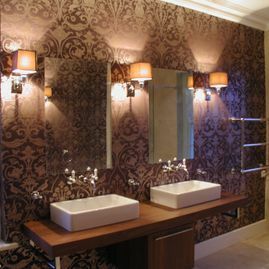 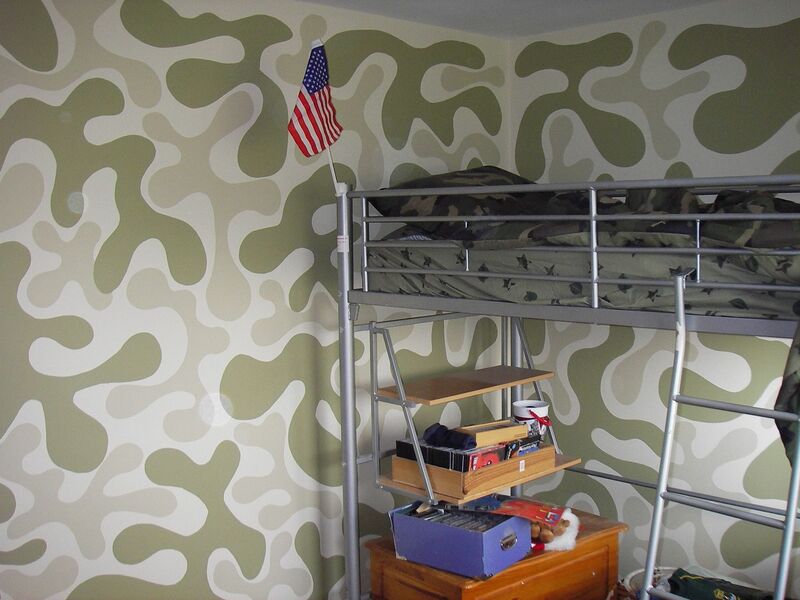 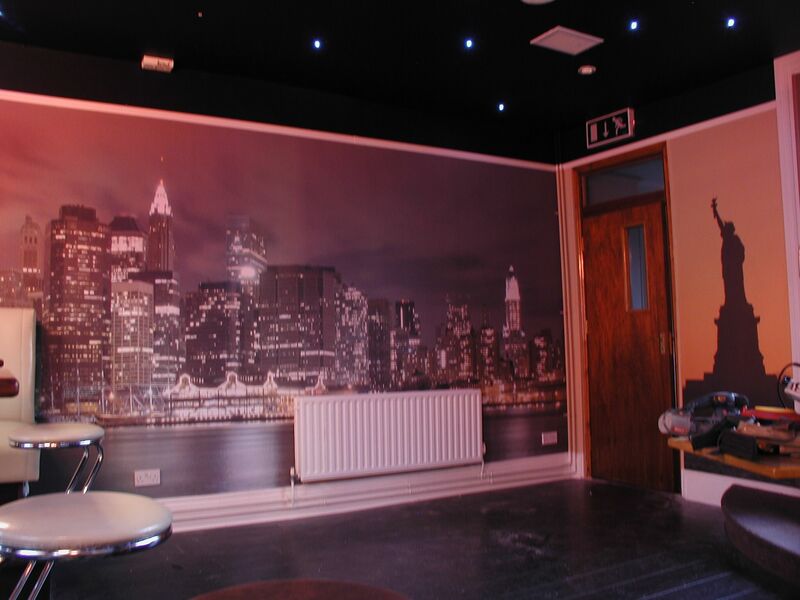 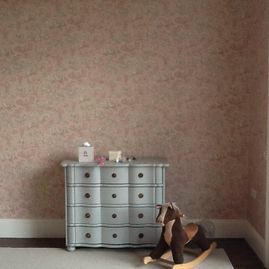 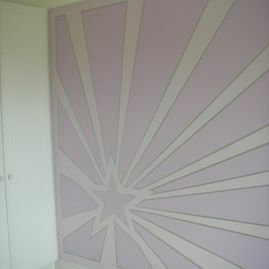 Along with painting and decorating we offer our clients a full professional wallpapering service. 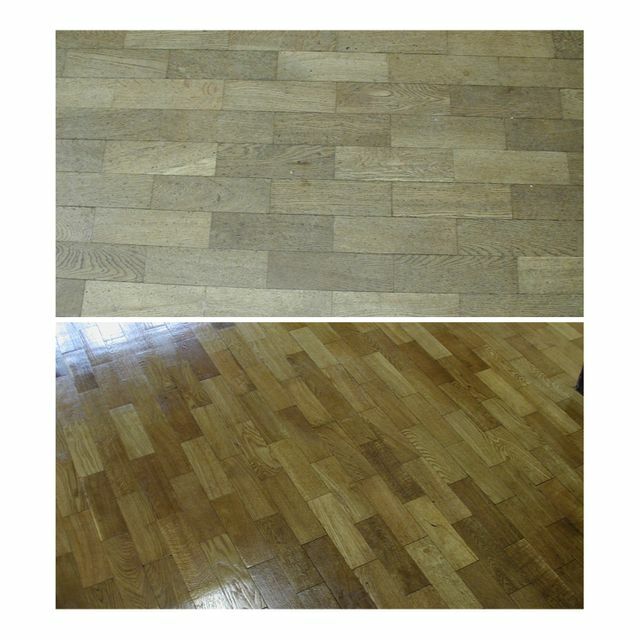 Wooden floors often become worn or discoloured in high traffic areas like hallways or kitchens. 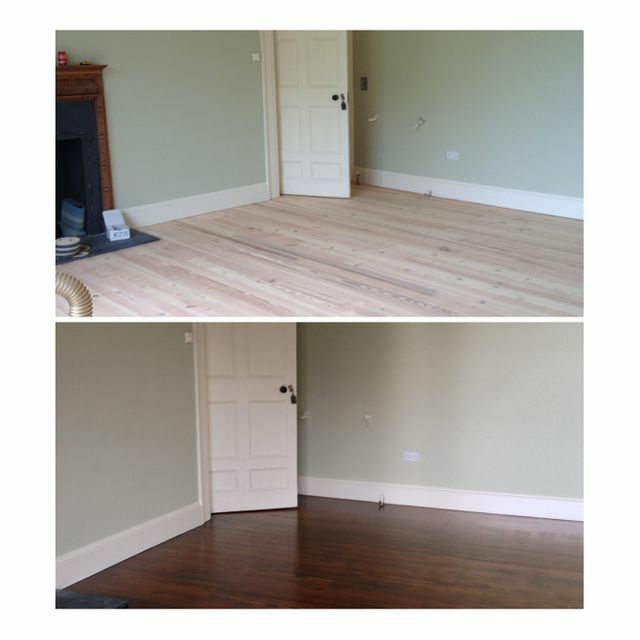 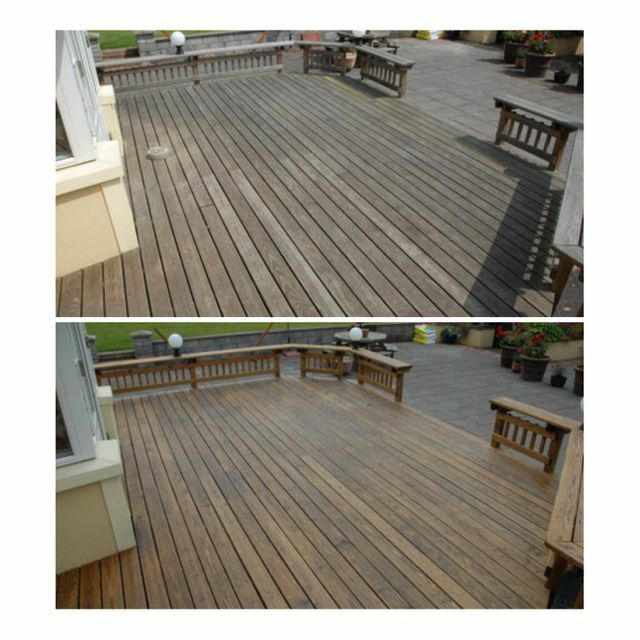 As such, Sinnotts Decorators offers a full sanding and re-varnishing service designed to revitalise even the most threadbare of wooden floors. 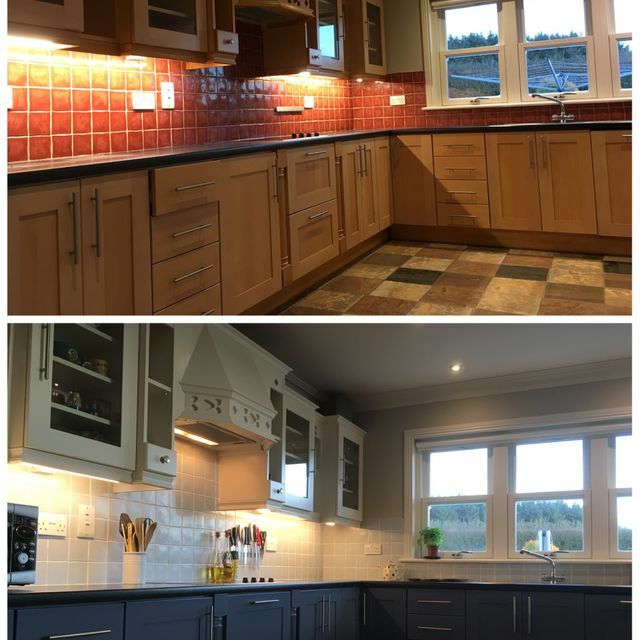 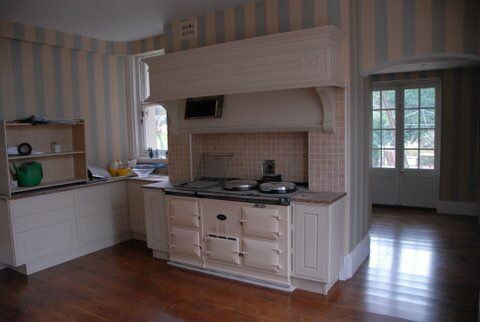 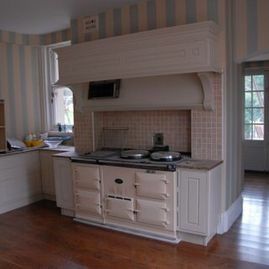 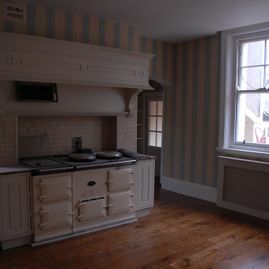 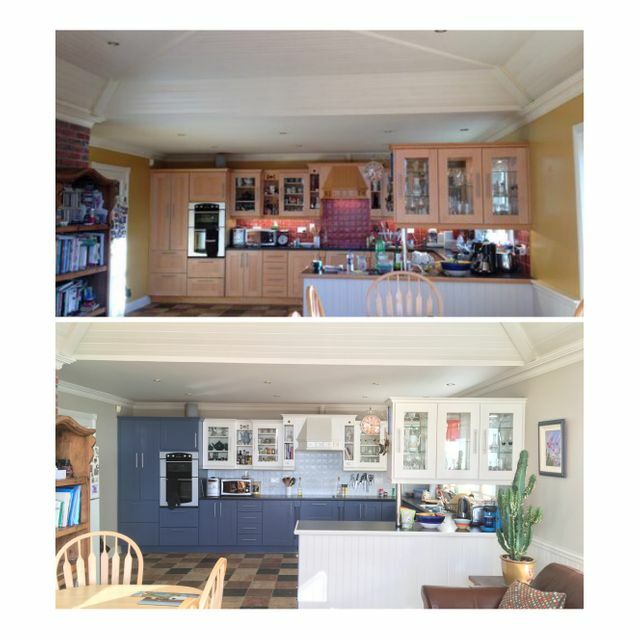 We also provide a complete kitchen unit and furniture repainting service. 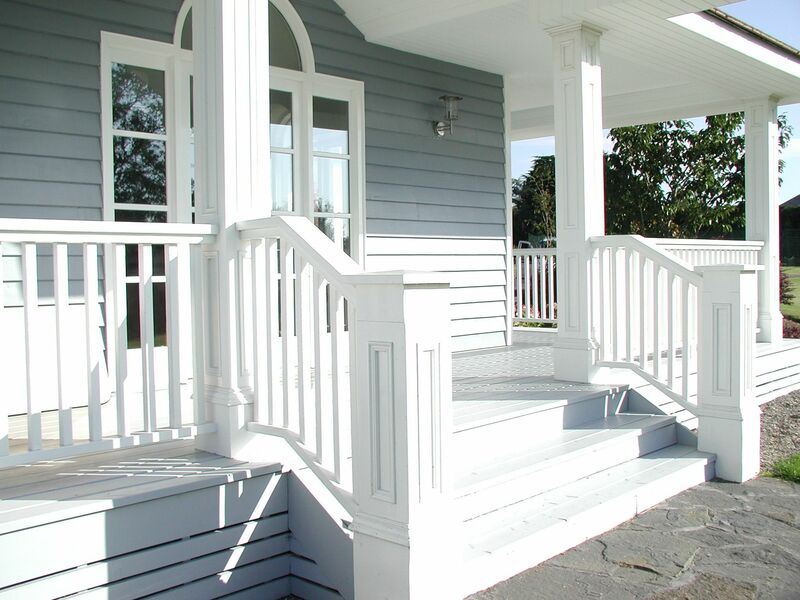 Our service is tailored to clients seeking a smooth spray paint finish along with clients seeking a more traditional, brush stroke paint finish. 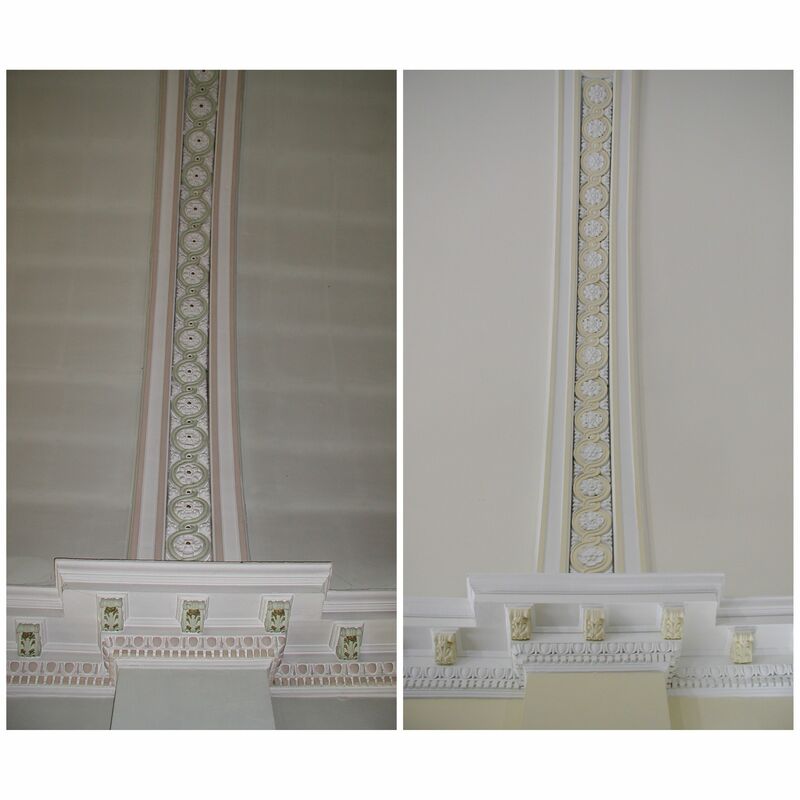 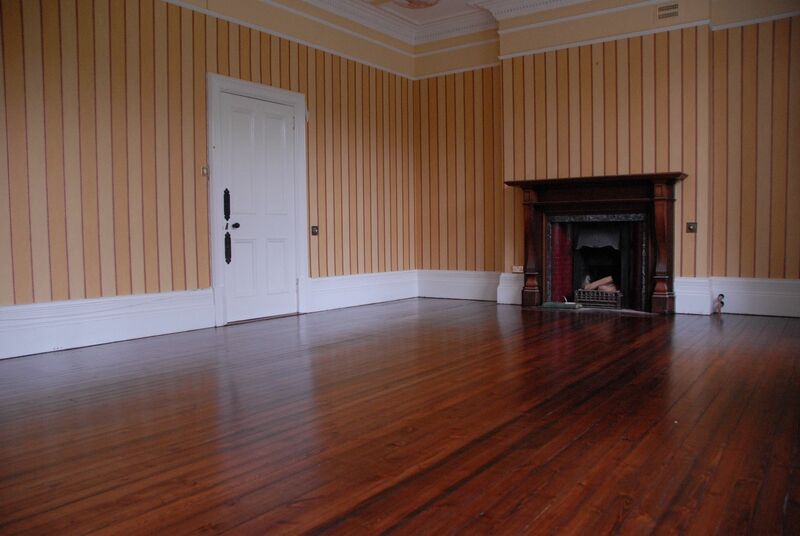 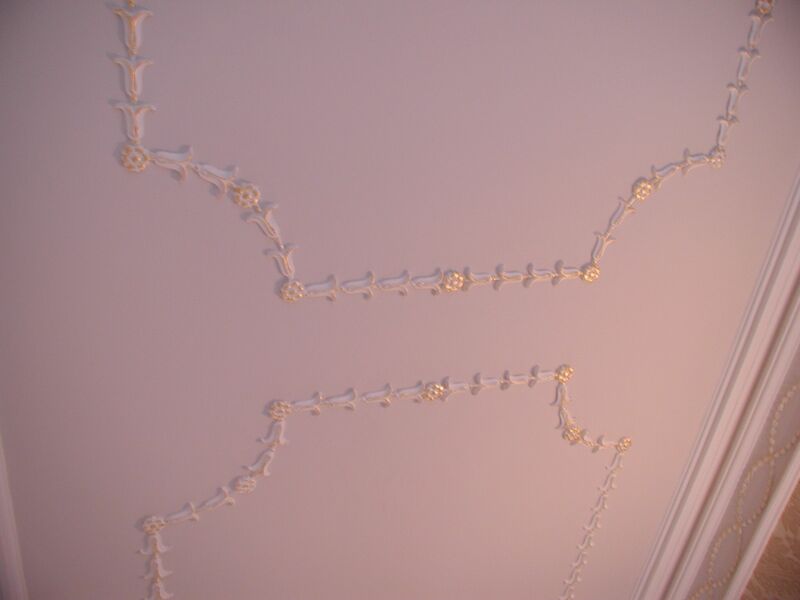 For domestic property owners seeking a more specialised painting service, we provide intricate faux finishes. 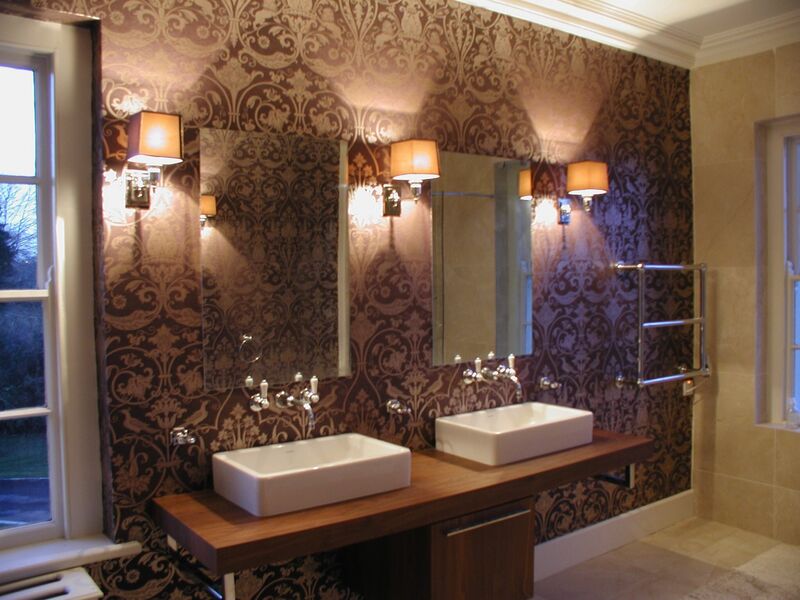 Our faux finished are a cost-effective alternative to expensive marble and wood. 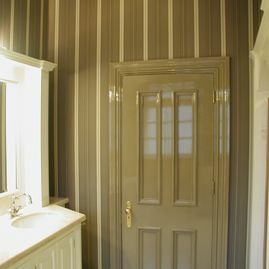 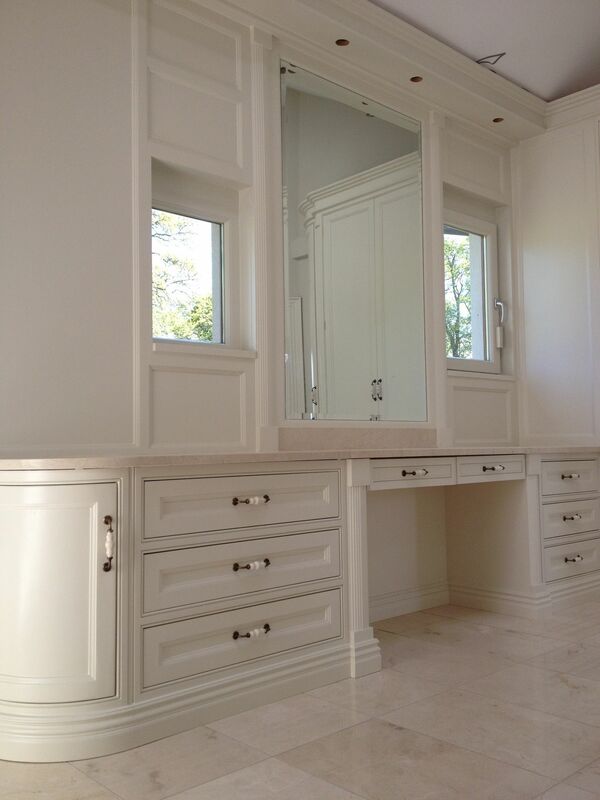 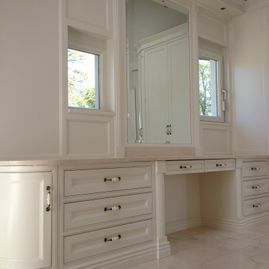 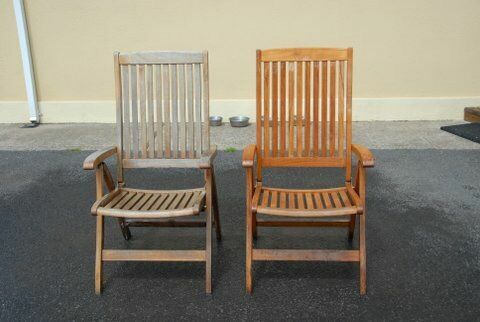 The skill of our painters makes our faux finishers indistinguishable from real timber or marble. 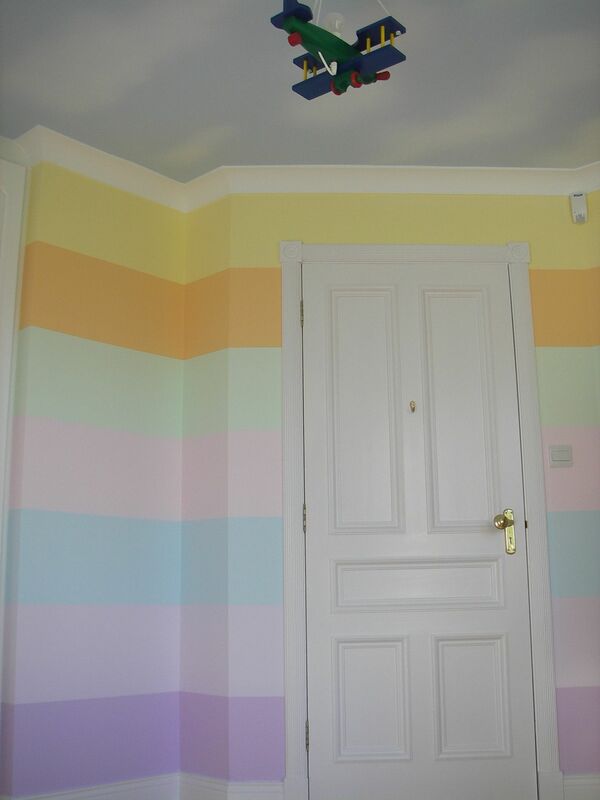 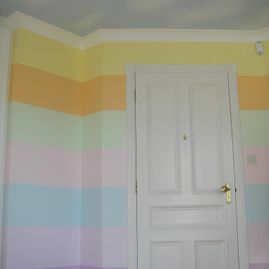 For a no-obligation colour consultation, please feel free to organise an appointment with Sinnotts Decorators today. 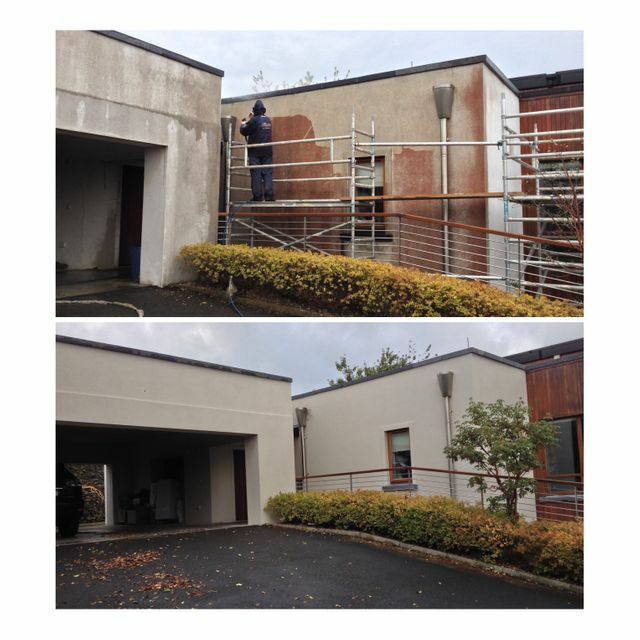 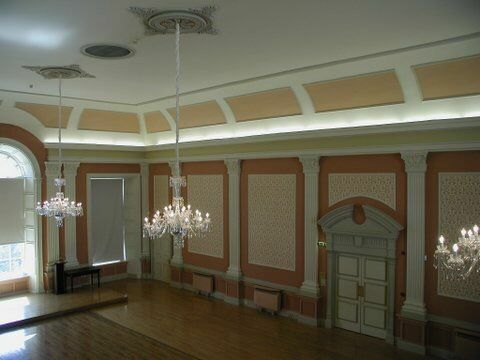 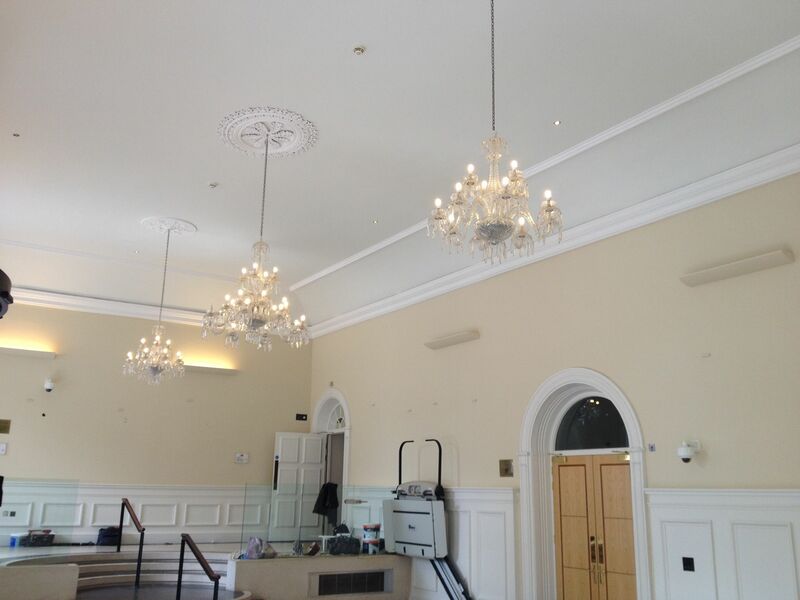 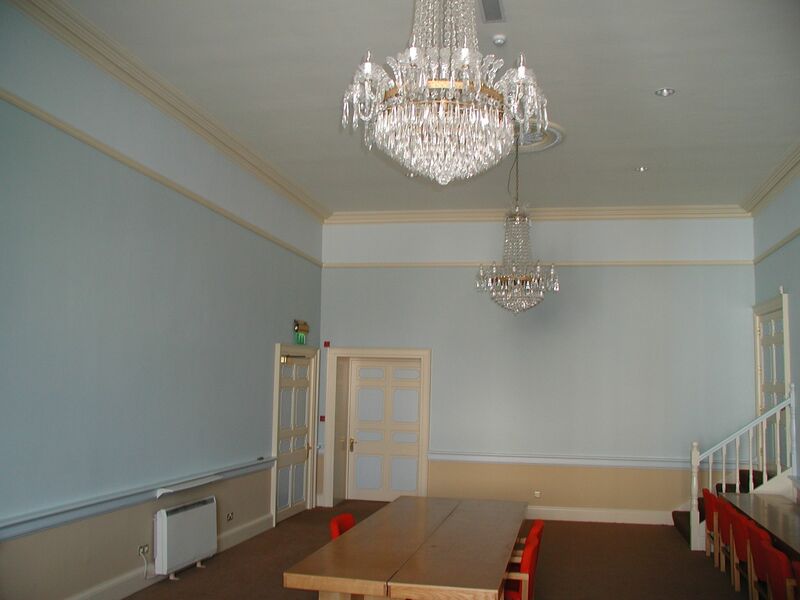 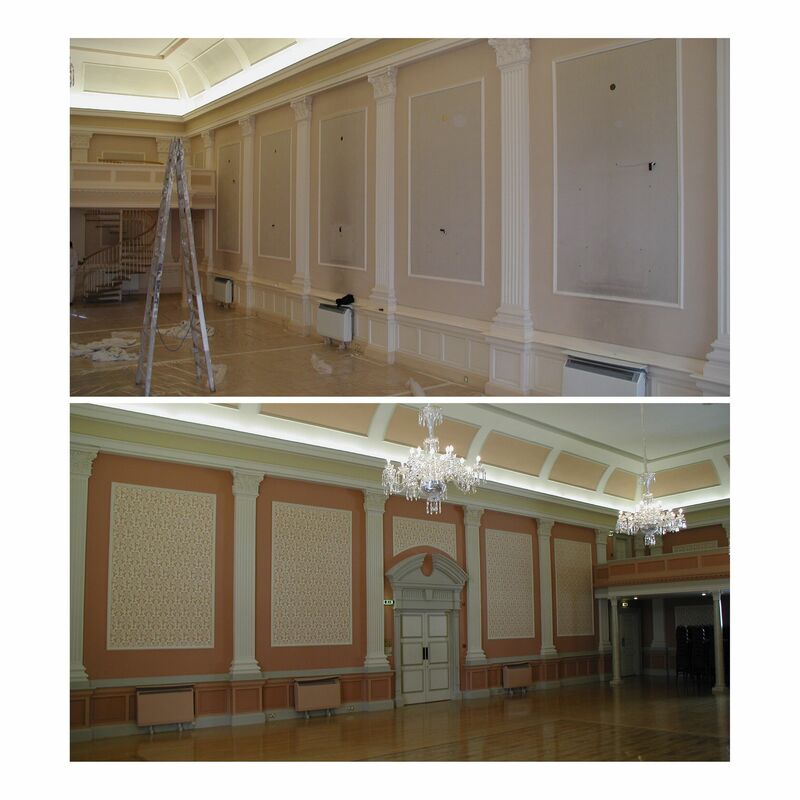 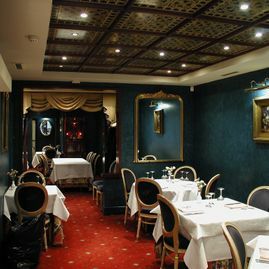 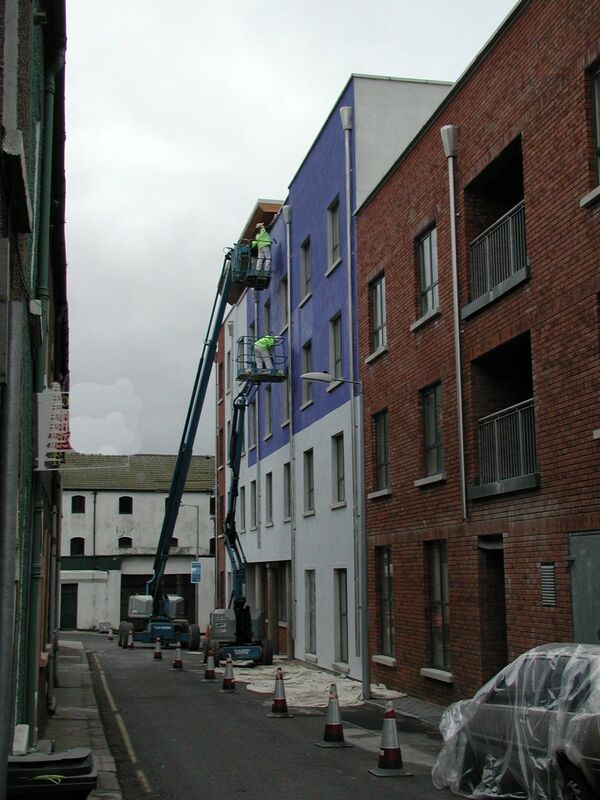 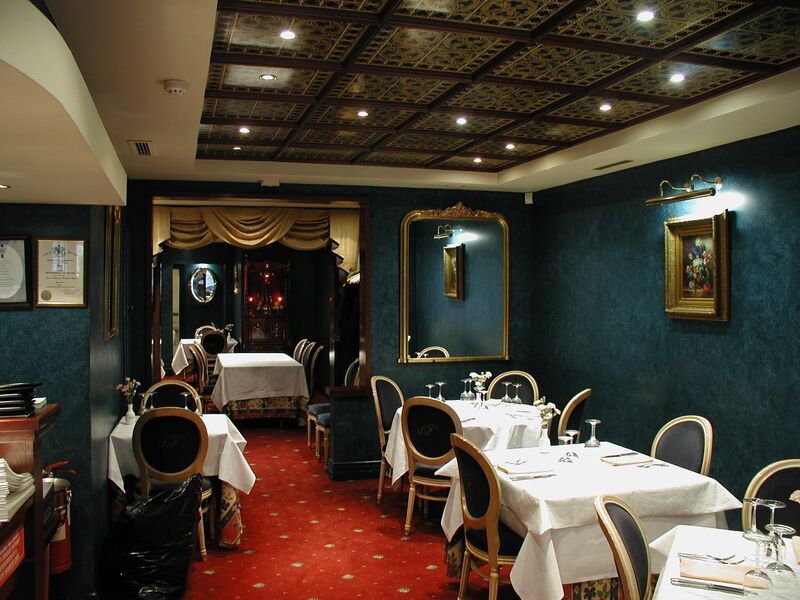 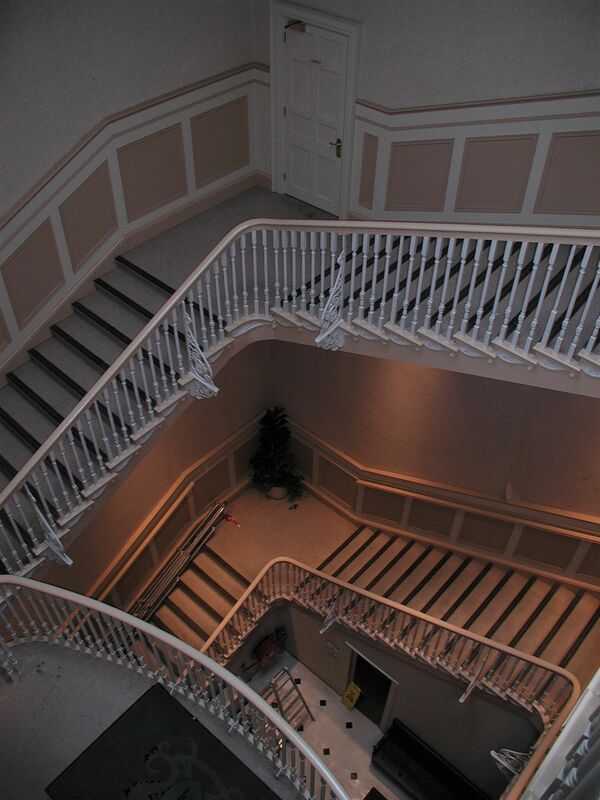 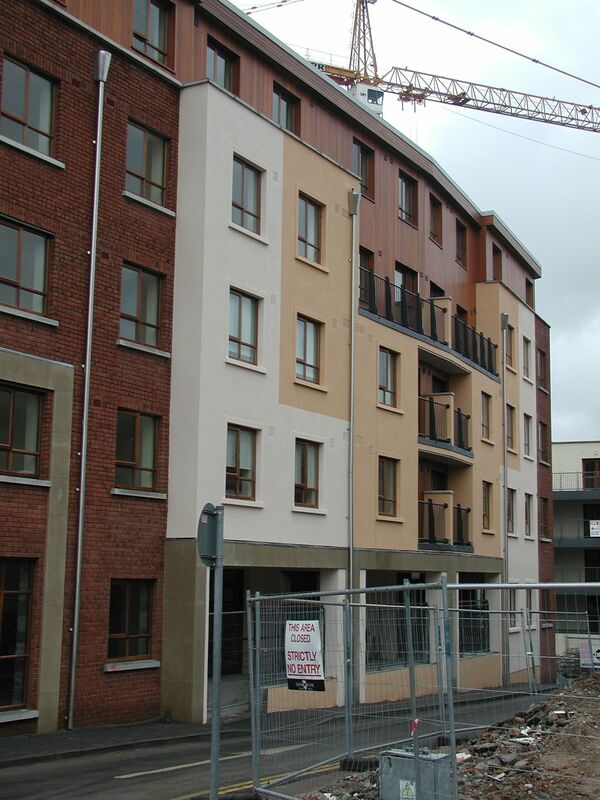 We offer all our professional painting and decorating services to the commercial sector. 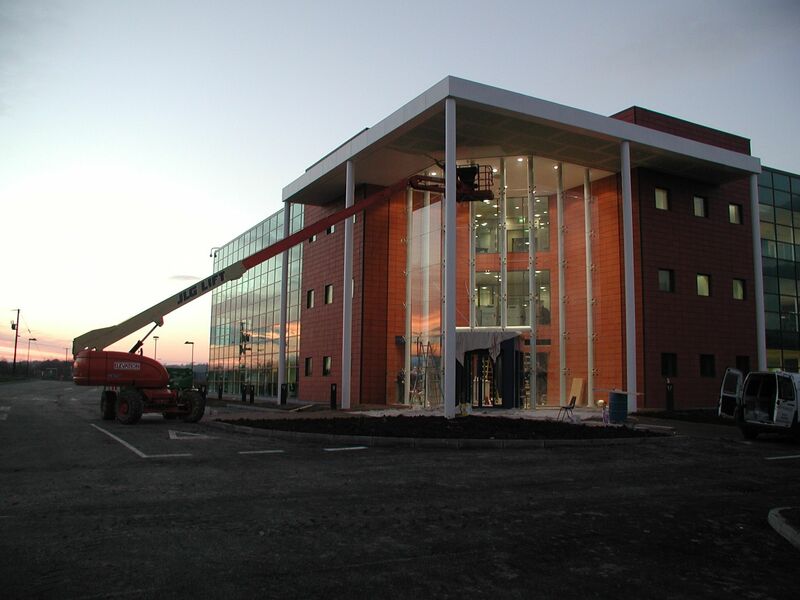 Since 1940 we have developed a sterling reputation within the business community. 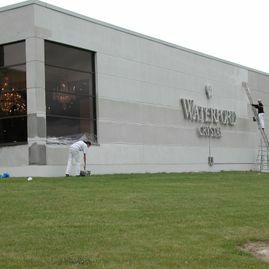 A reputation that's based on the unrivalled quality of our craftsmanship. 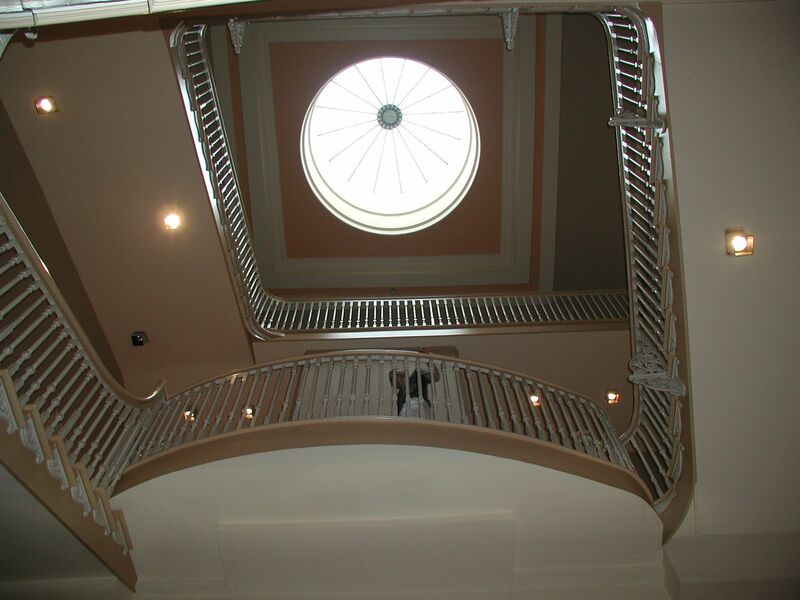 We have worked with a range of prestigious clients in a variety of sectors. 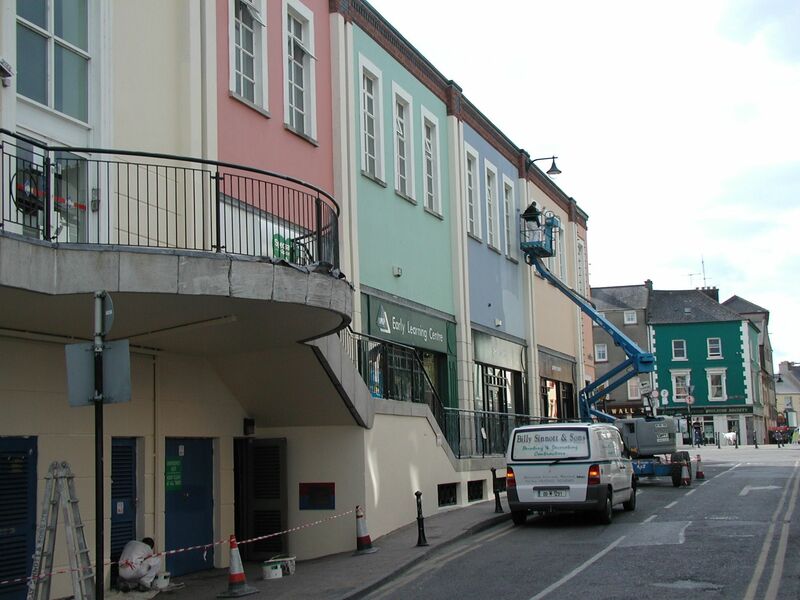 For a no-obligation site survey and colour consultation of your commercial property, get in contact with our offices today.